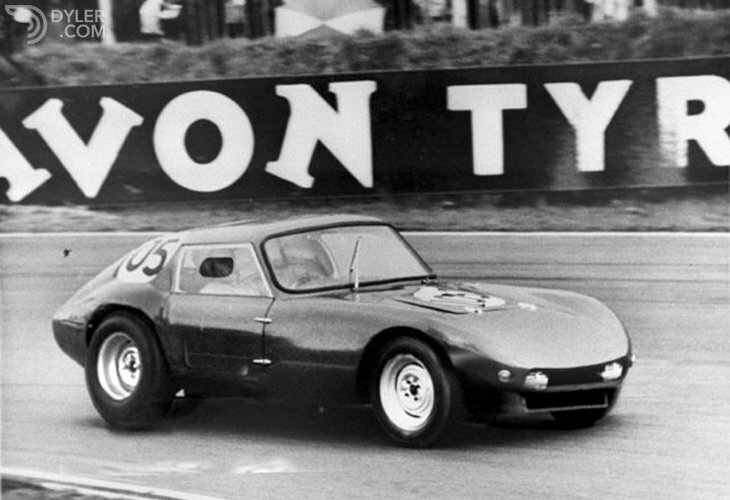 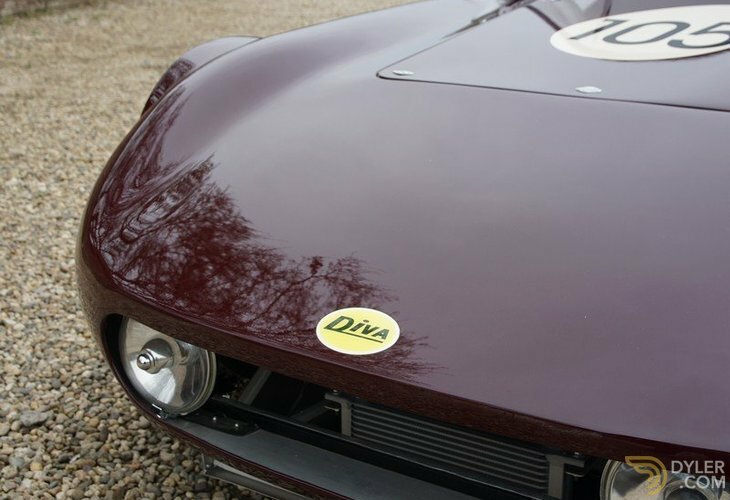 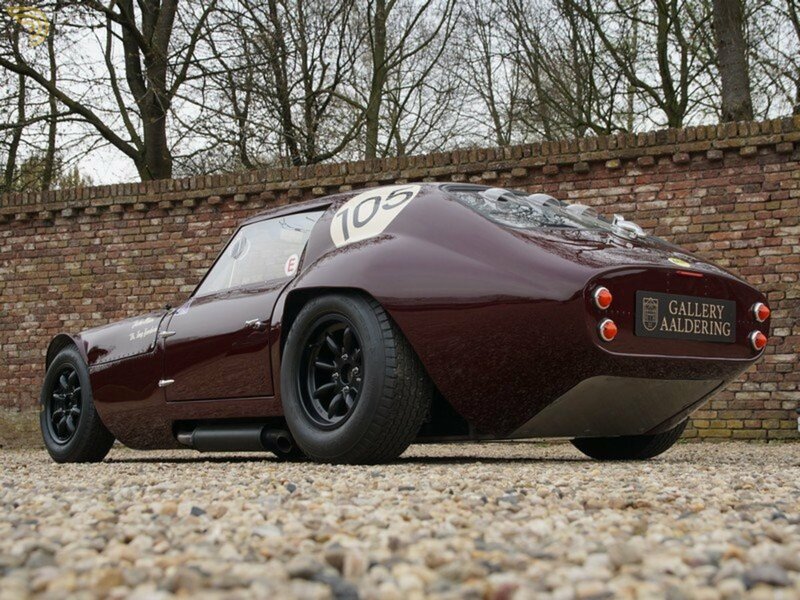 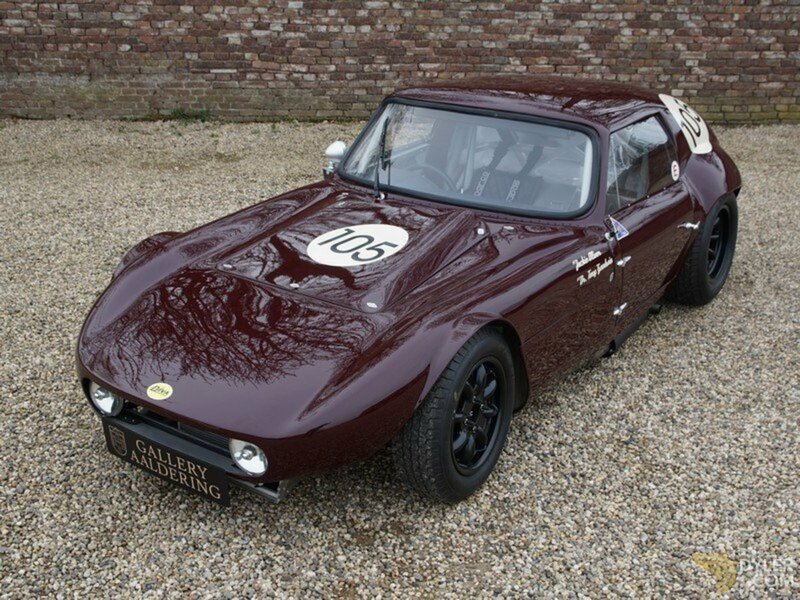 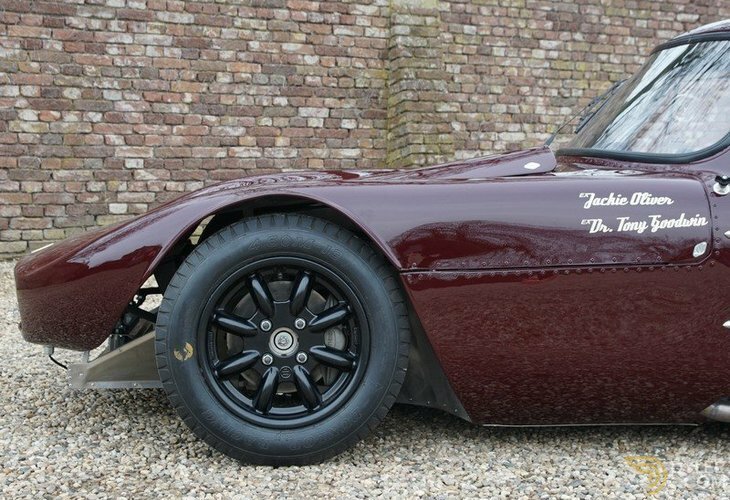 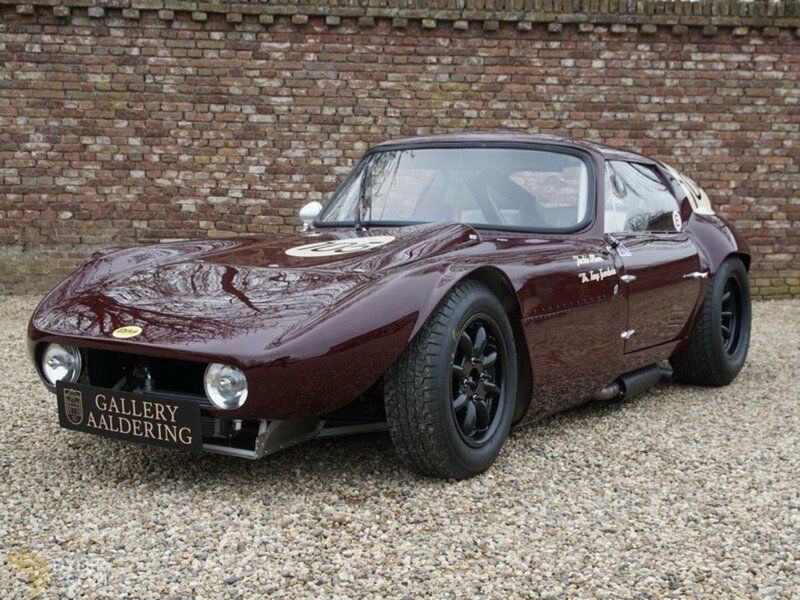 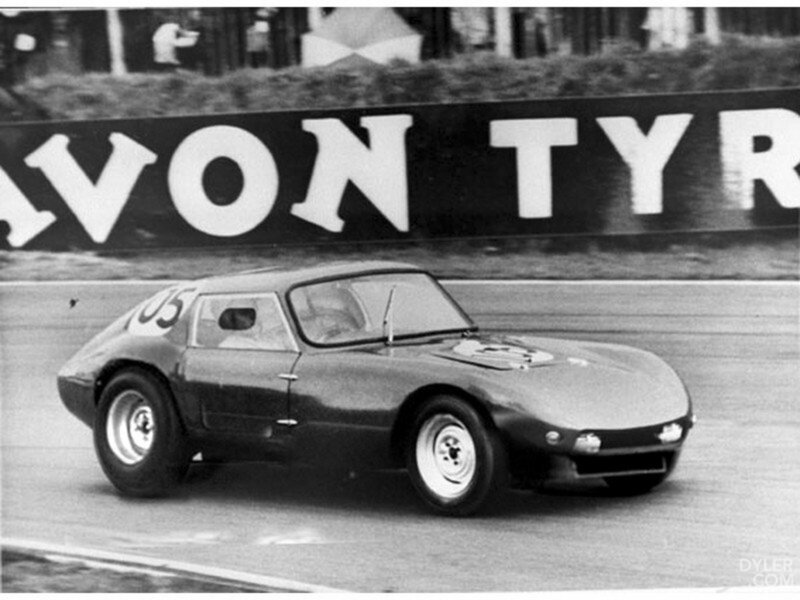 This unique 1964 Diva GT Typ C Prototype was supplied by Tunex to no one less than Jackie Oliver. 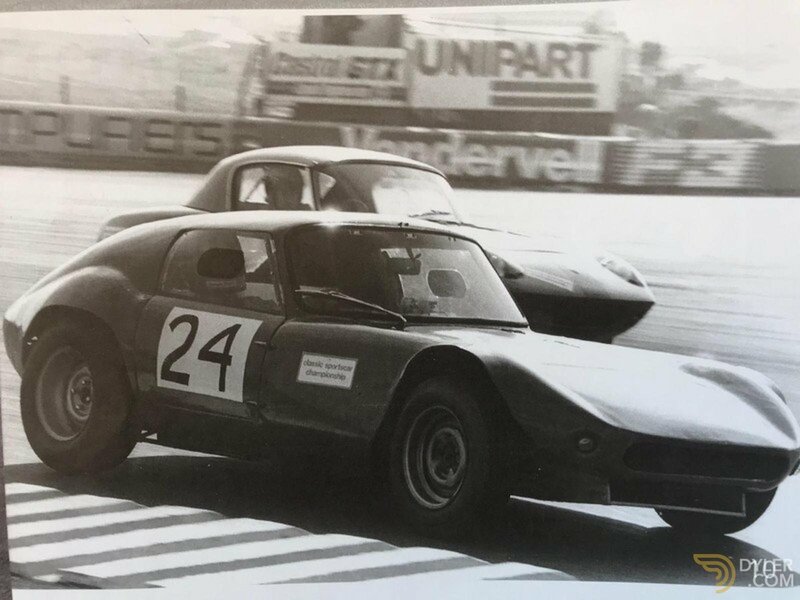 He is a famous F1 driver who drove for Lotus, BRM, McLaren and Shadow winner of the Le Mans 24 H and Arrows F1 team owner. 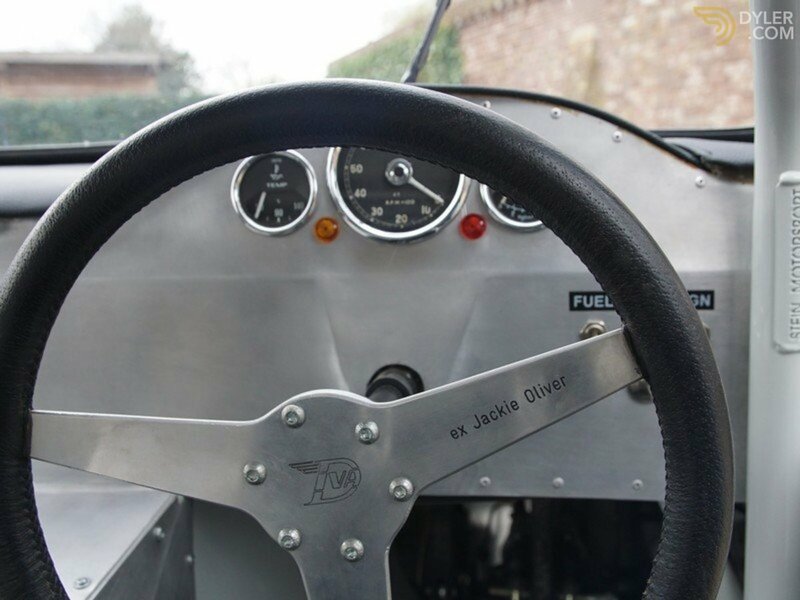 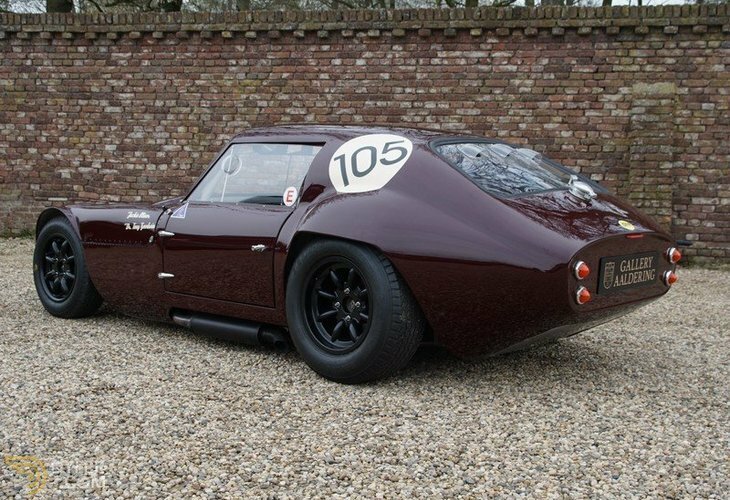 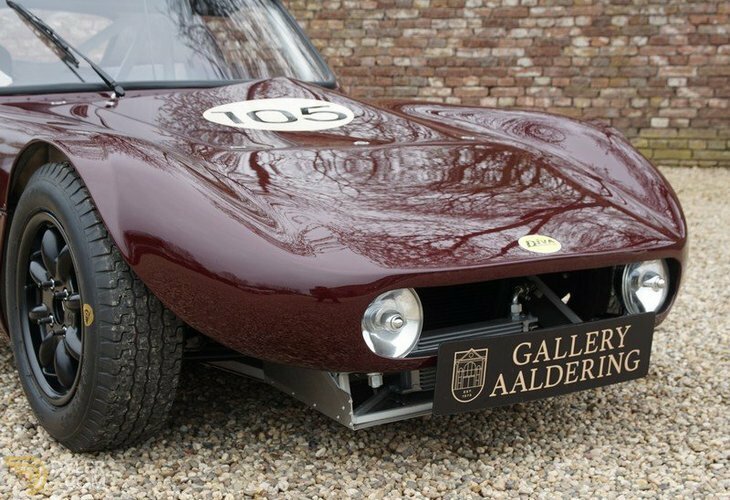 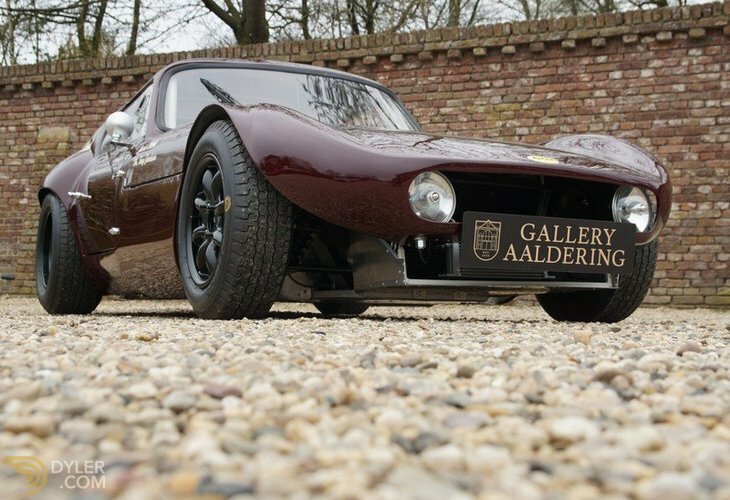 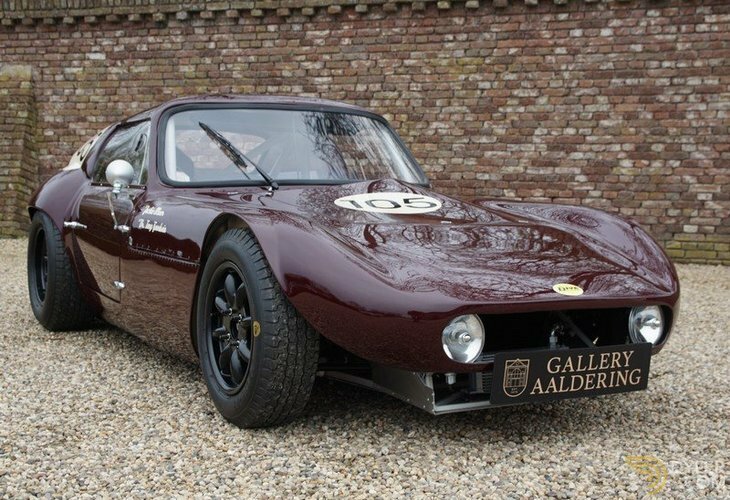 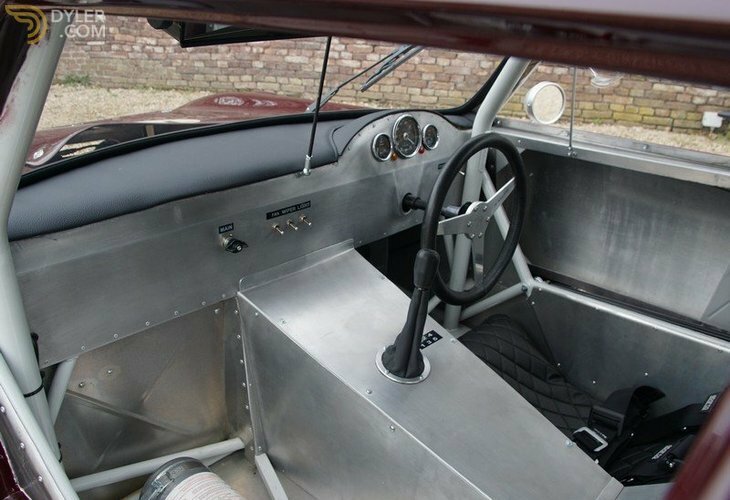 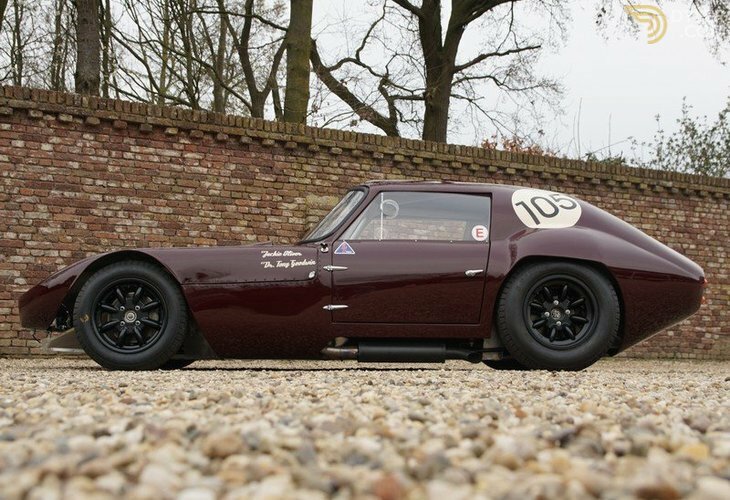 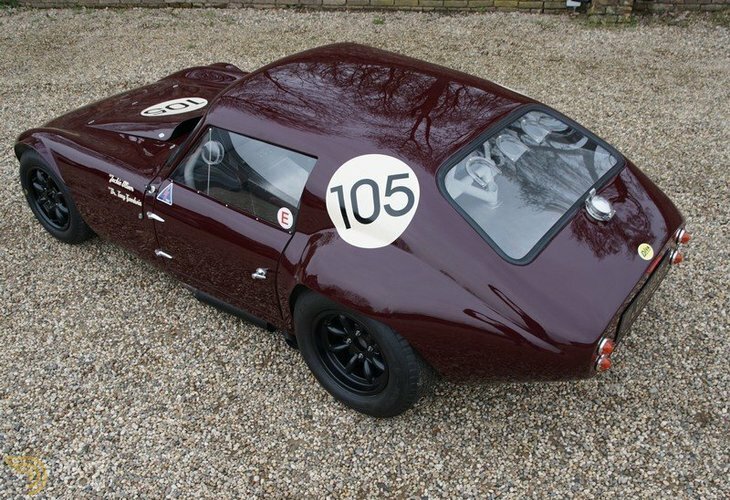 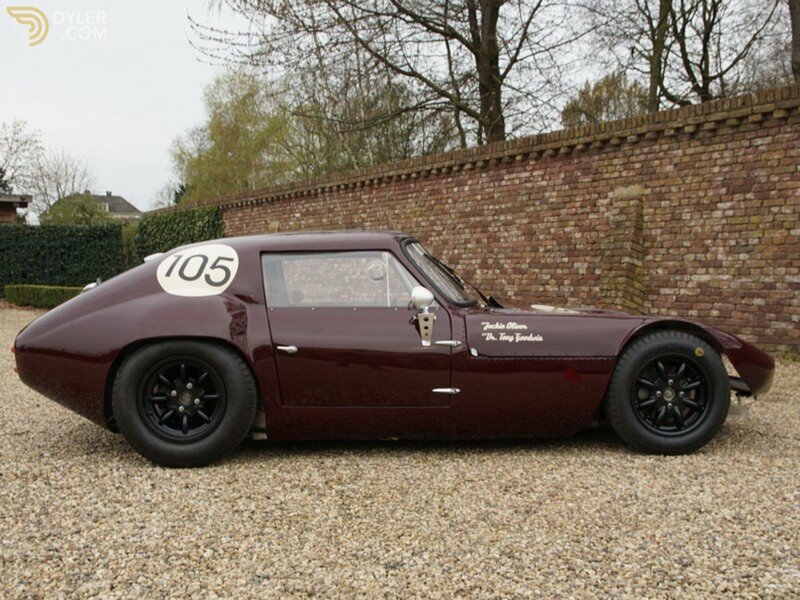 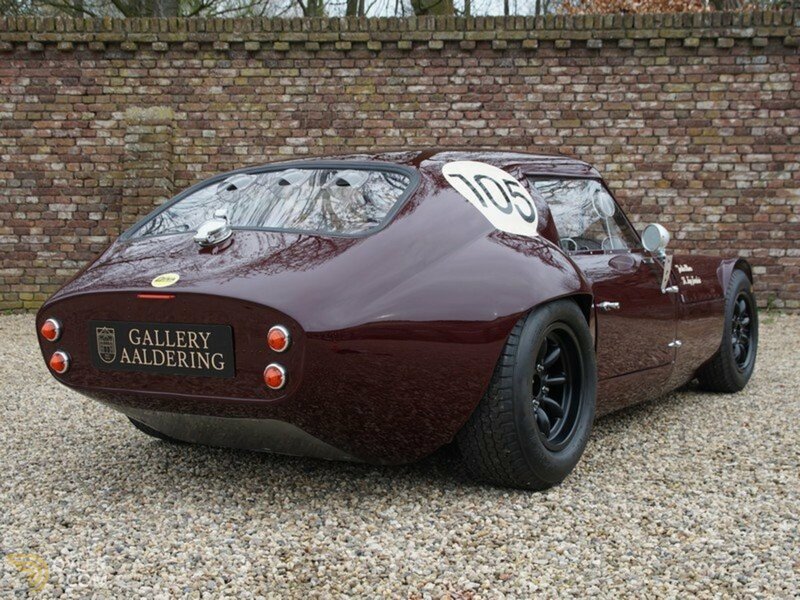 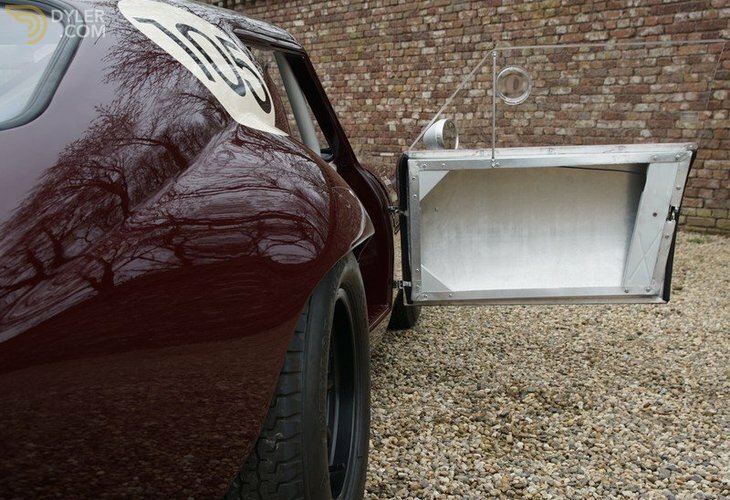 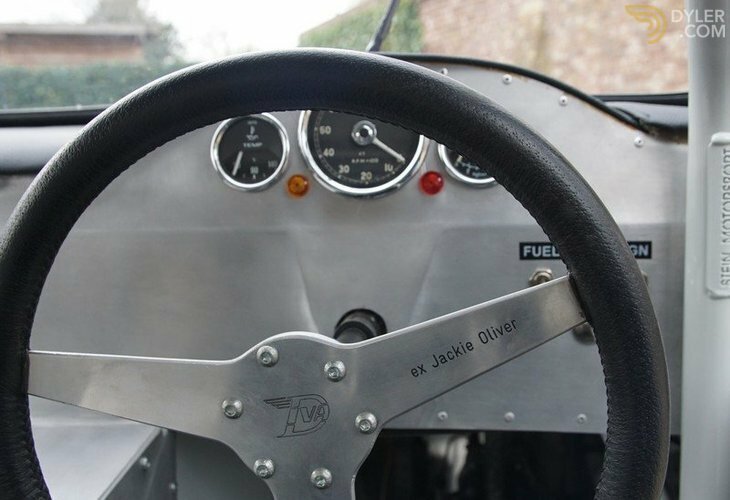 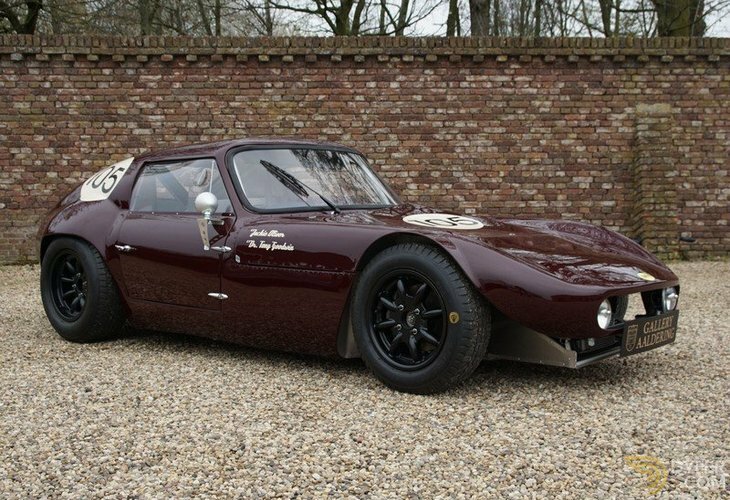 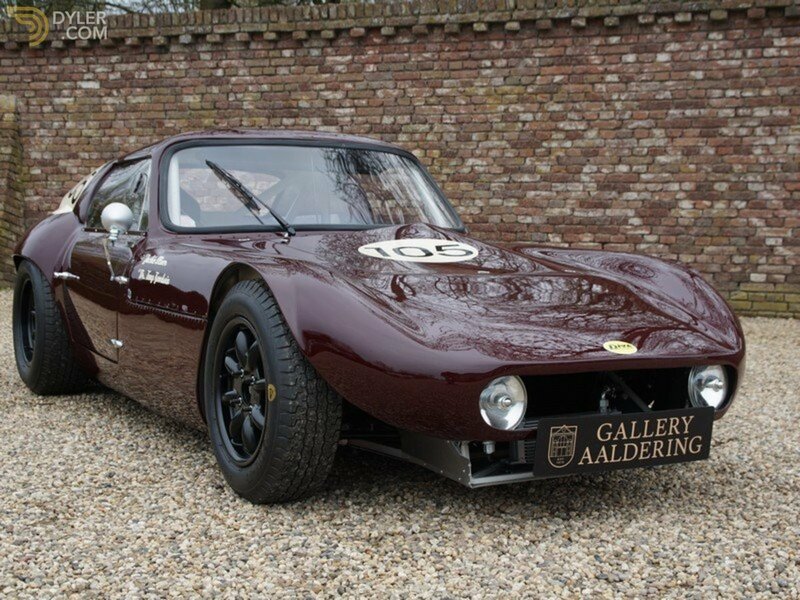 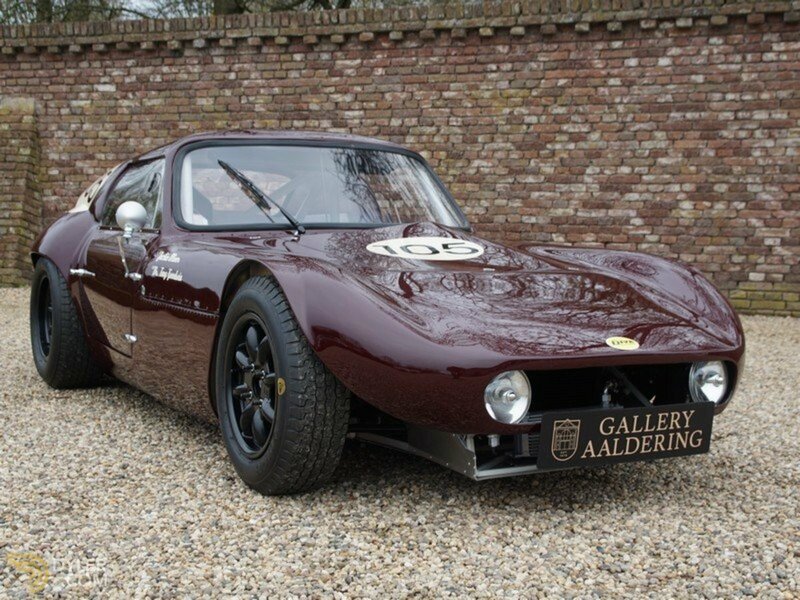 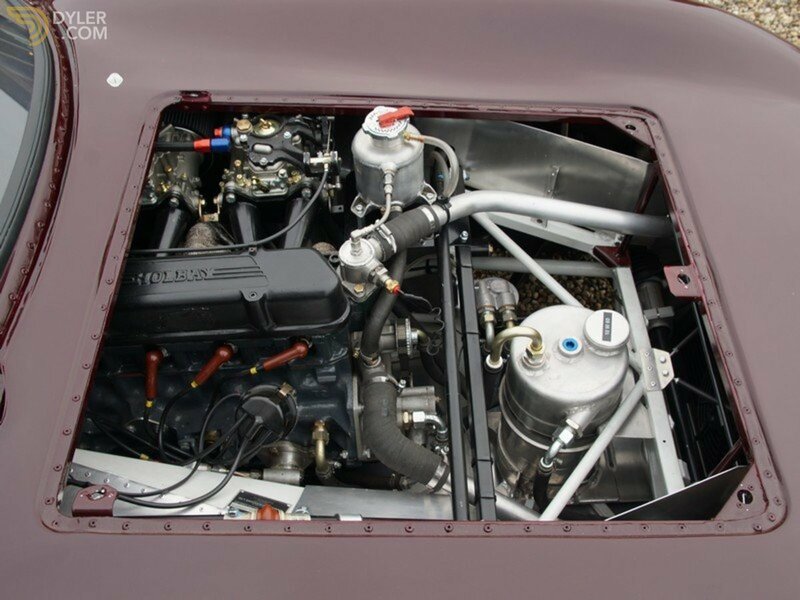 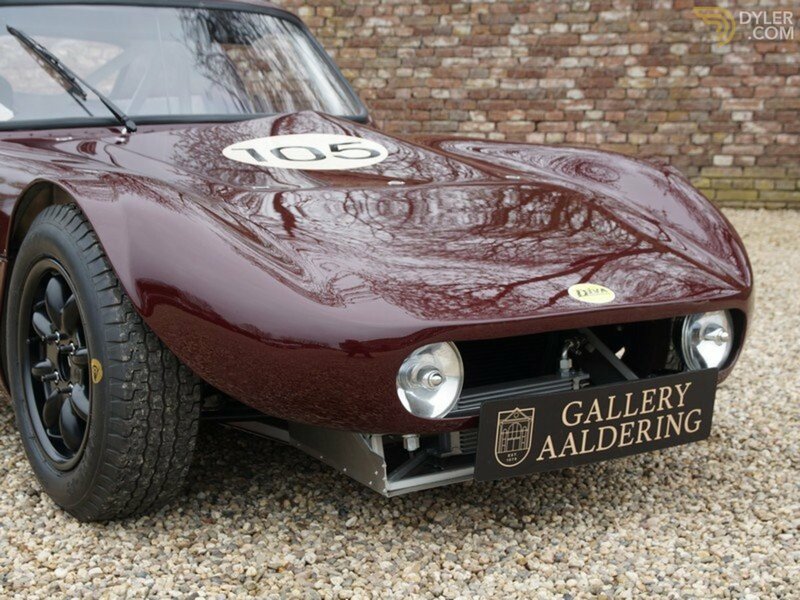 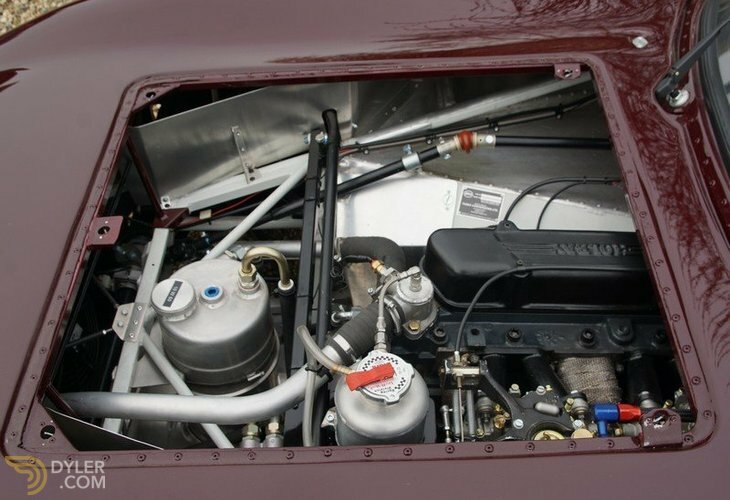 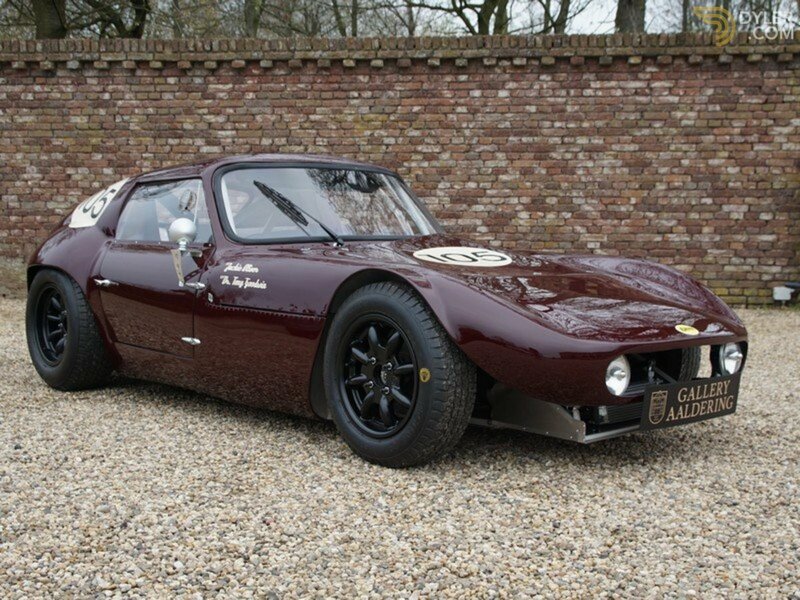 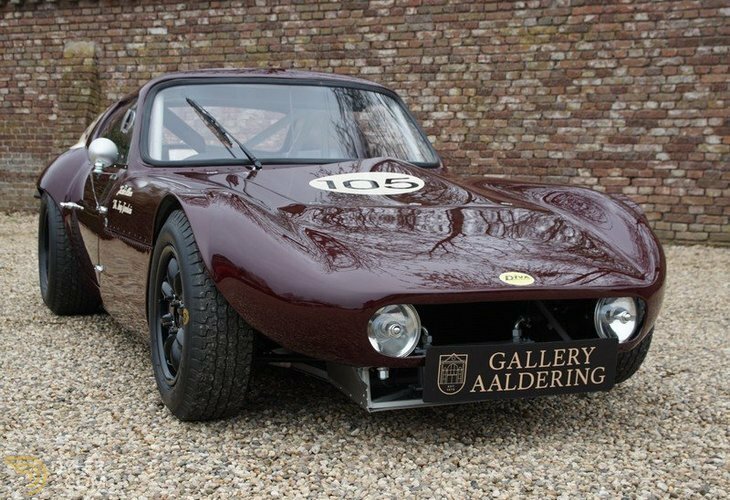 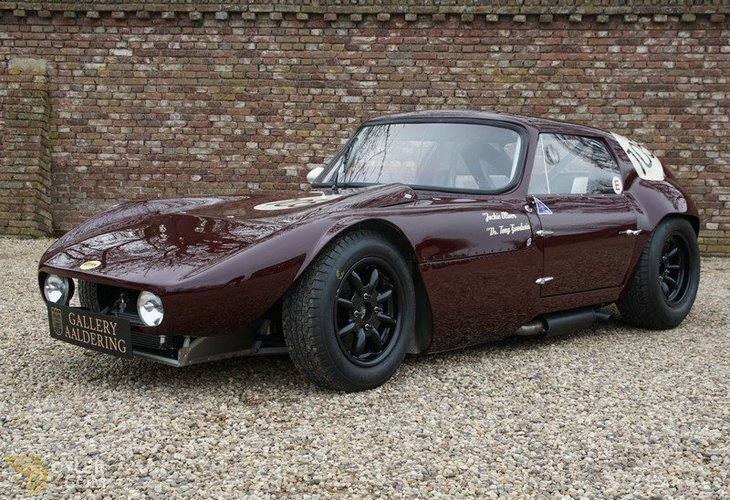 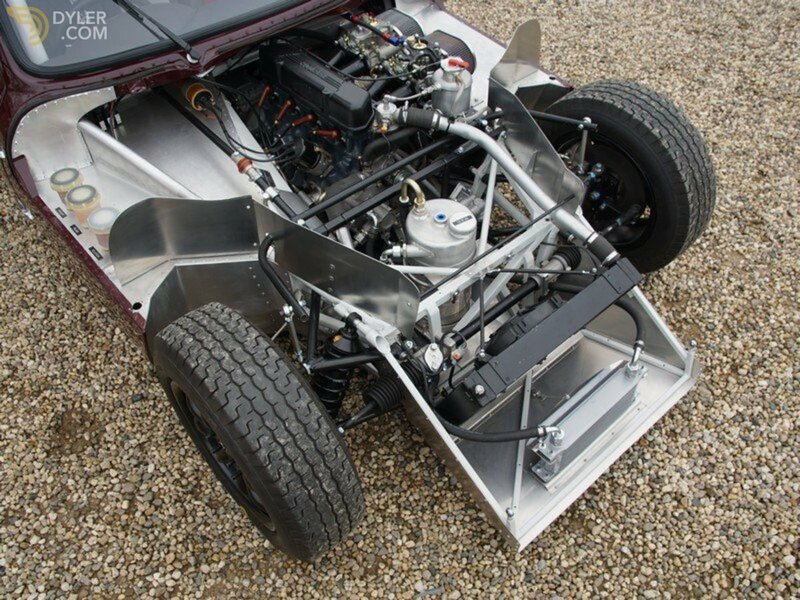 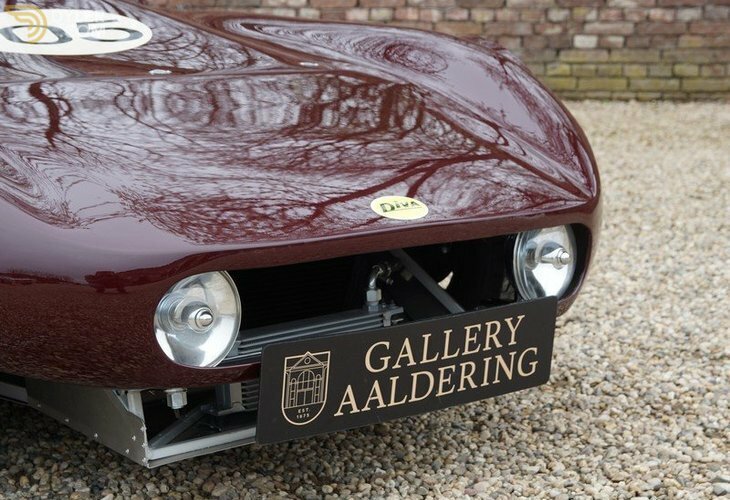 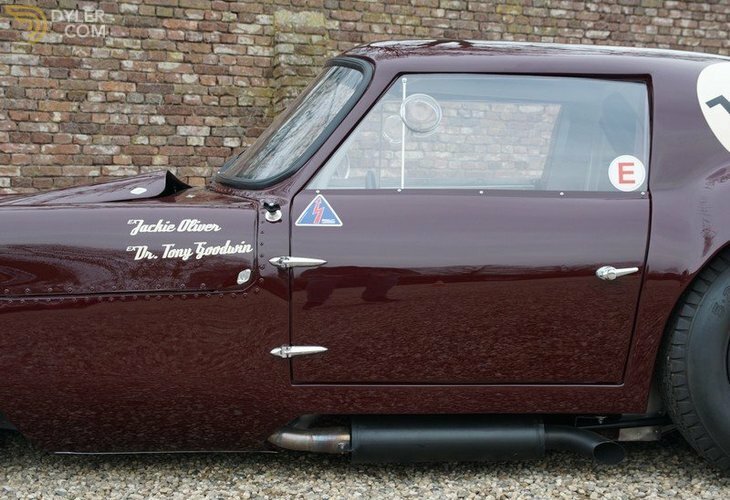 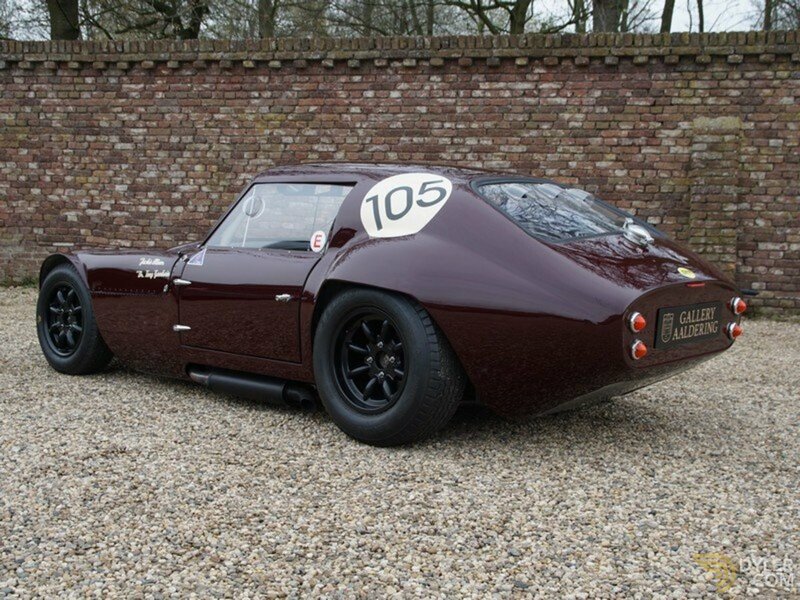 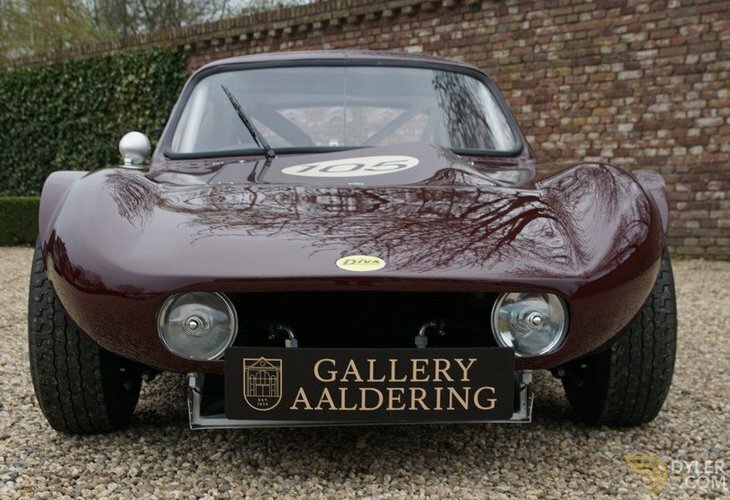 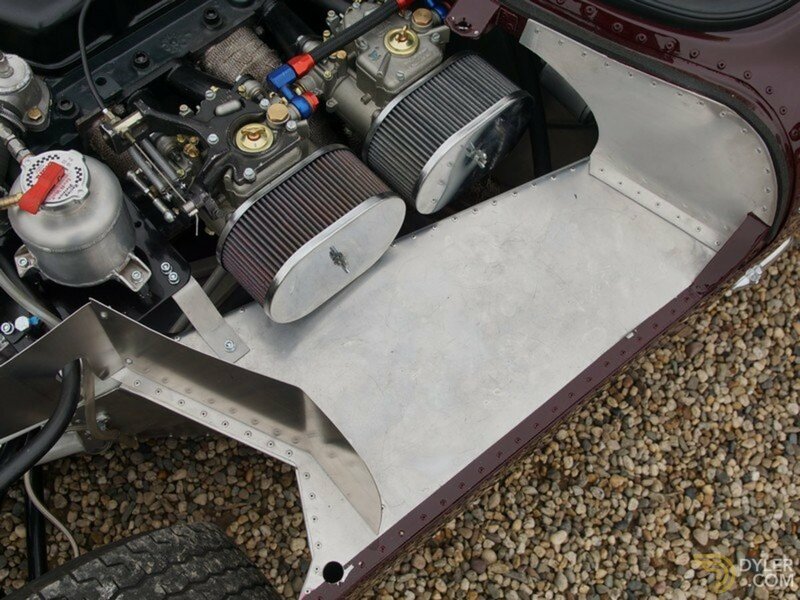 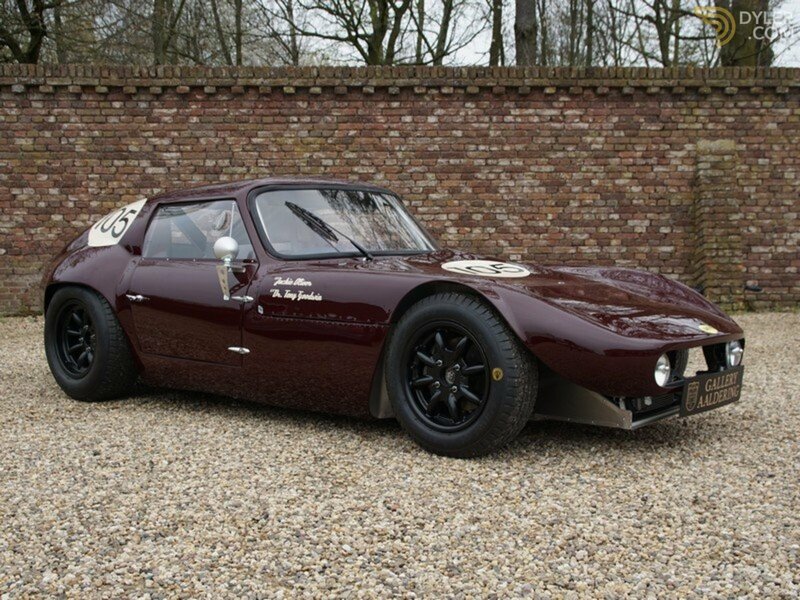 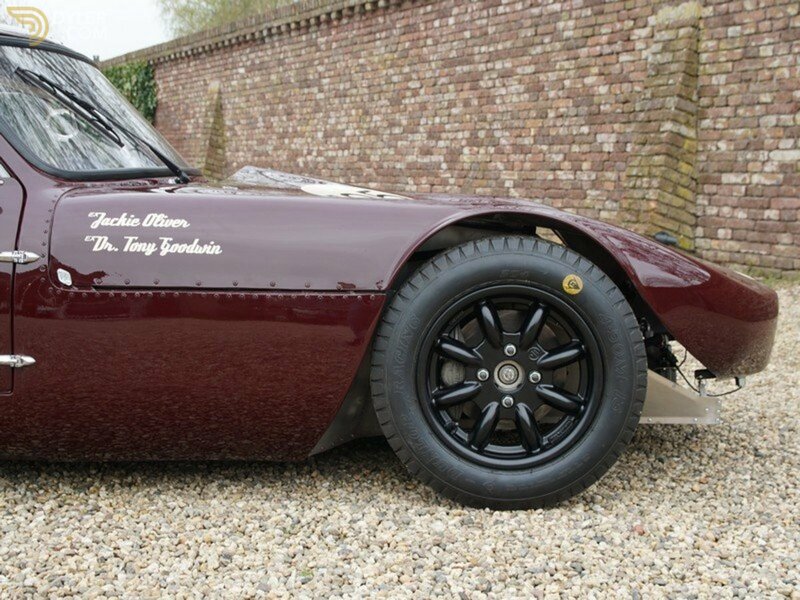 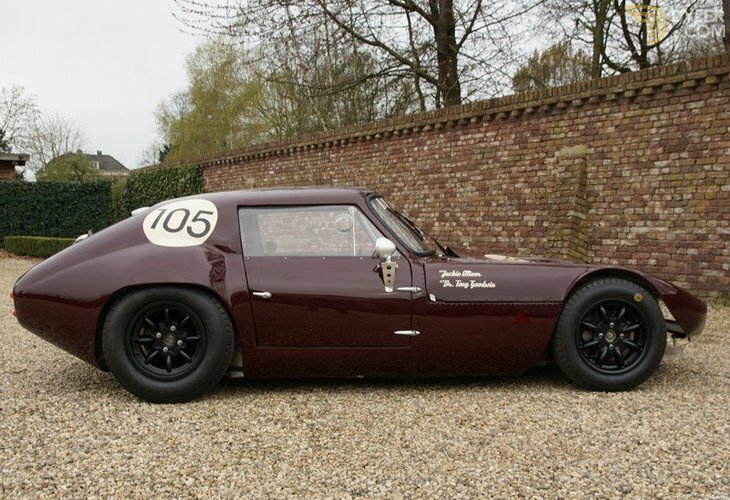 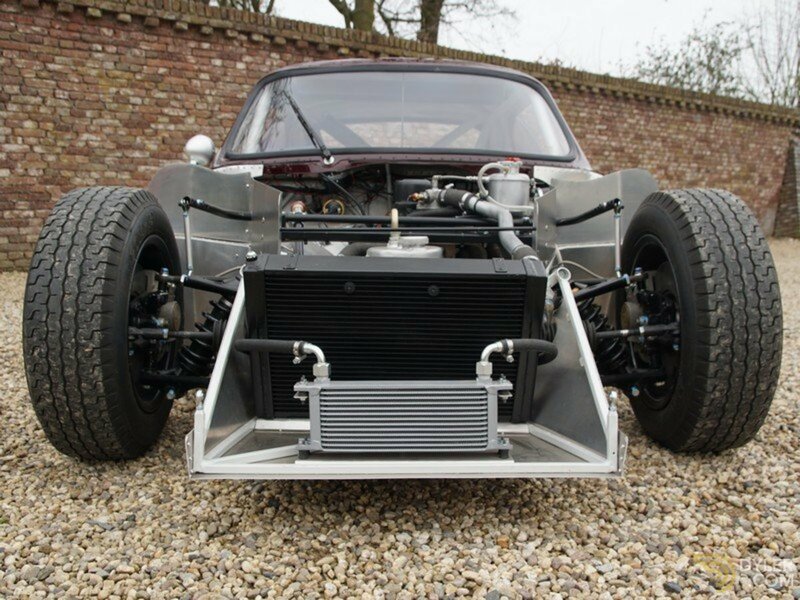 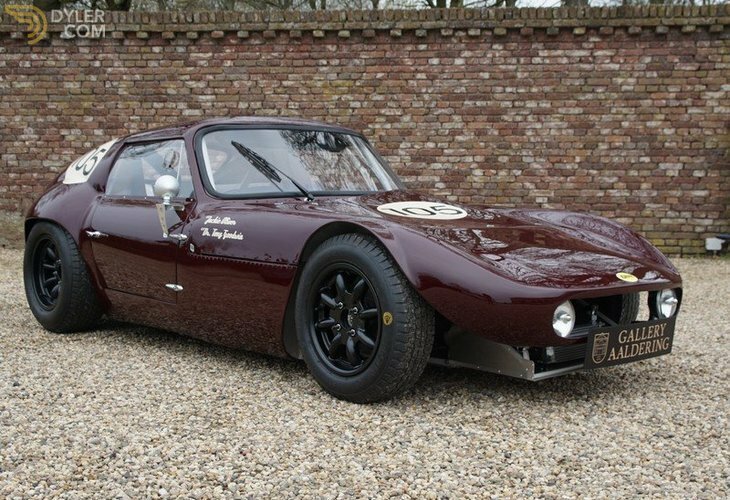 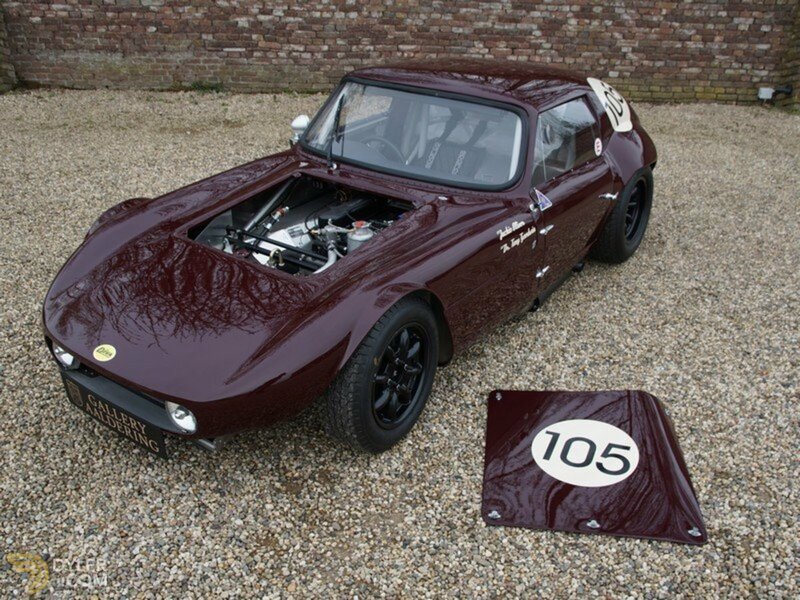 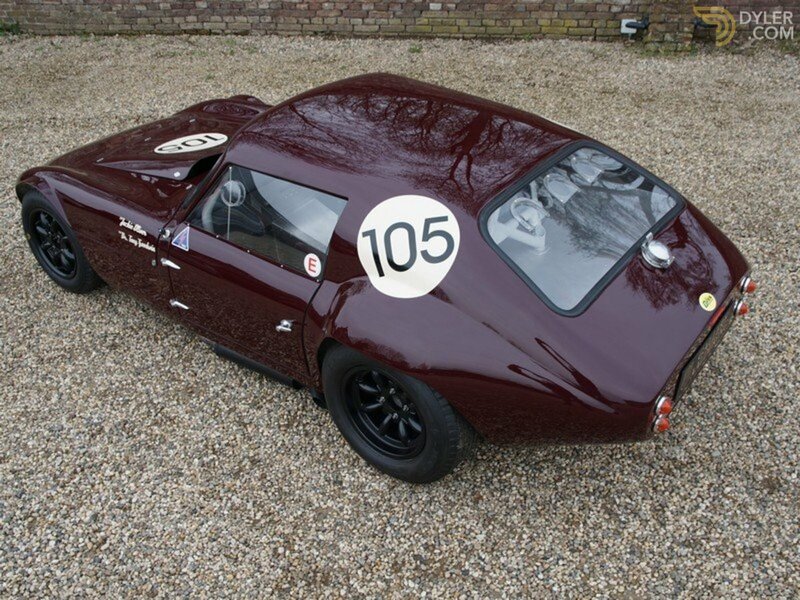 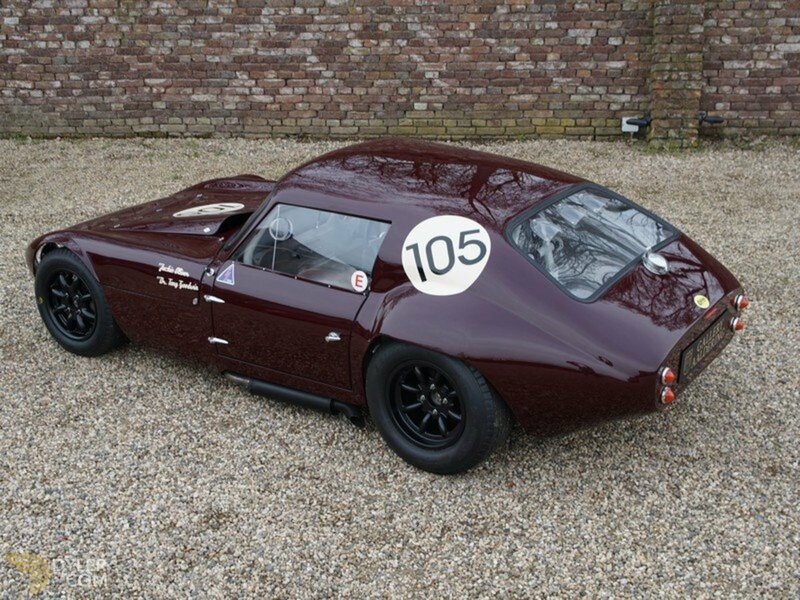 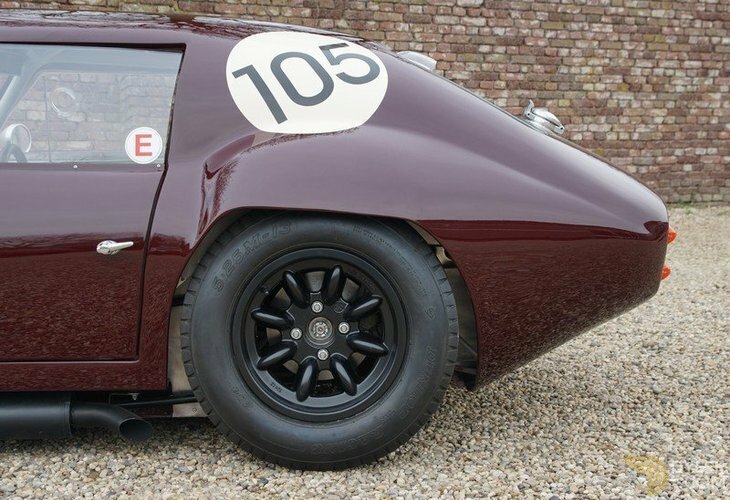 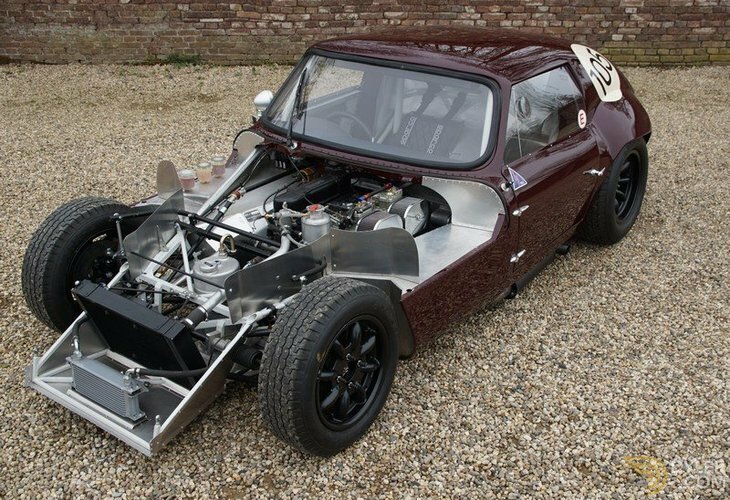 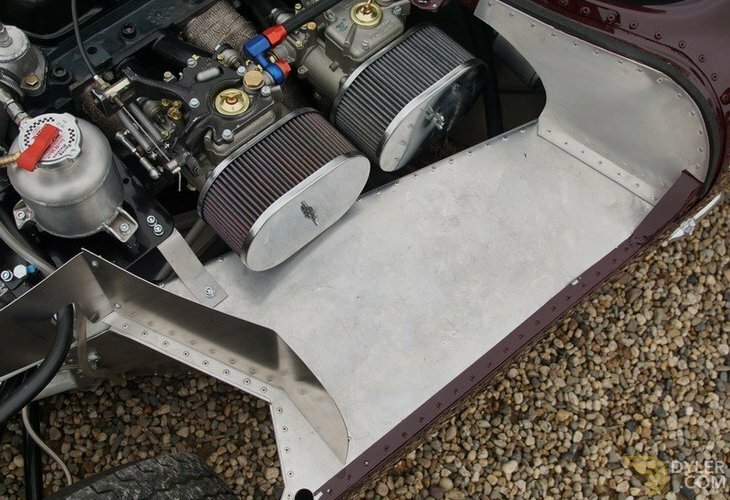 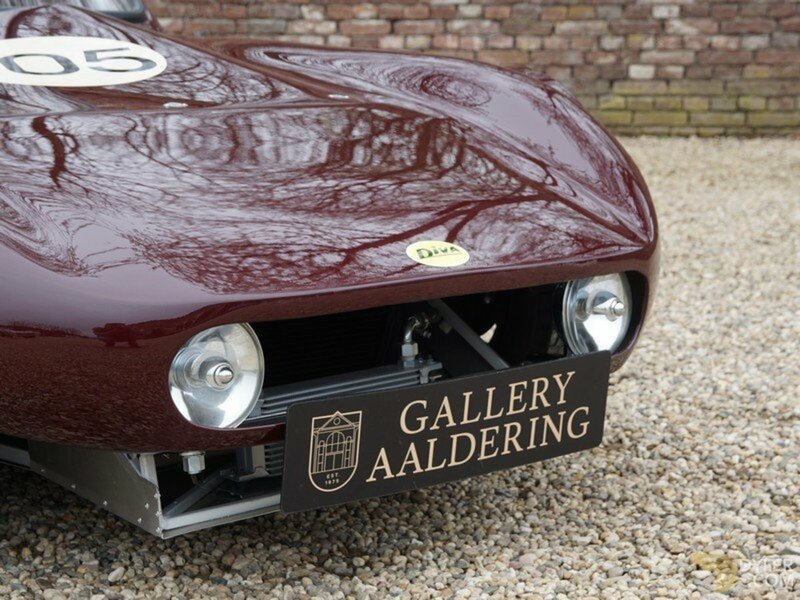 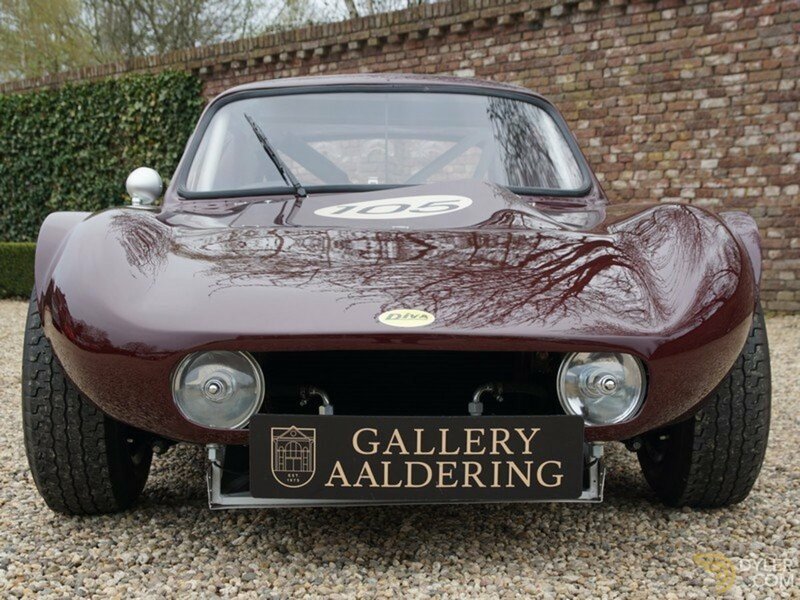 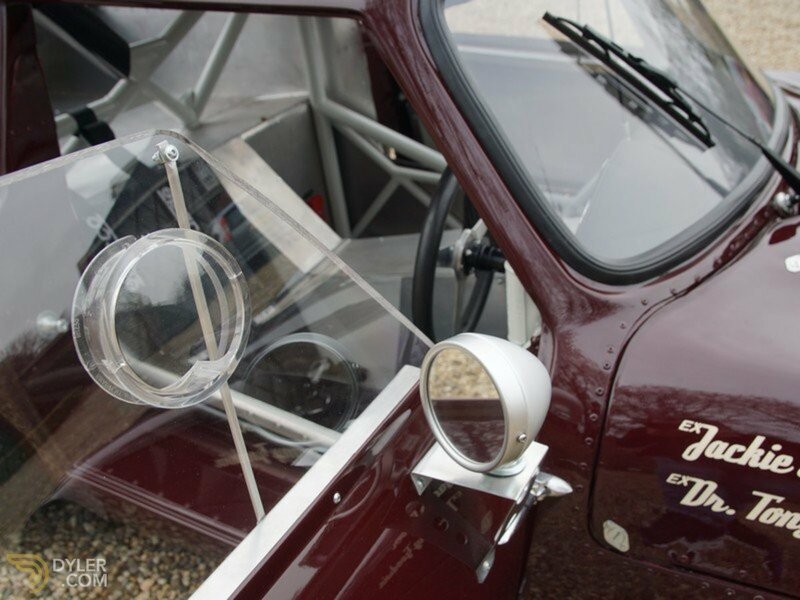 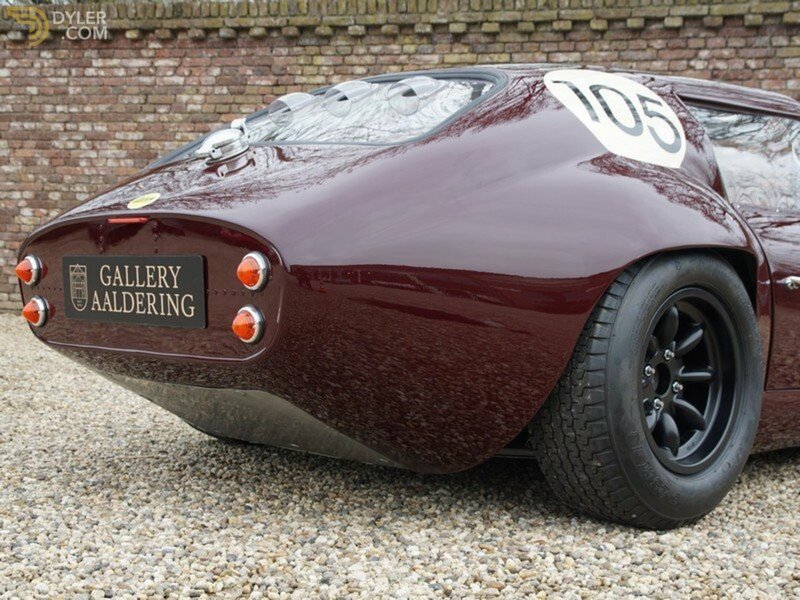 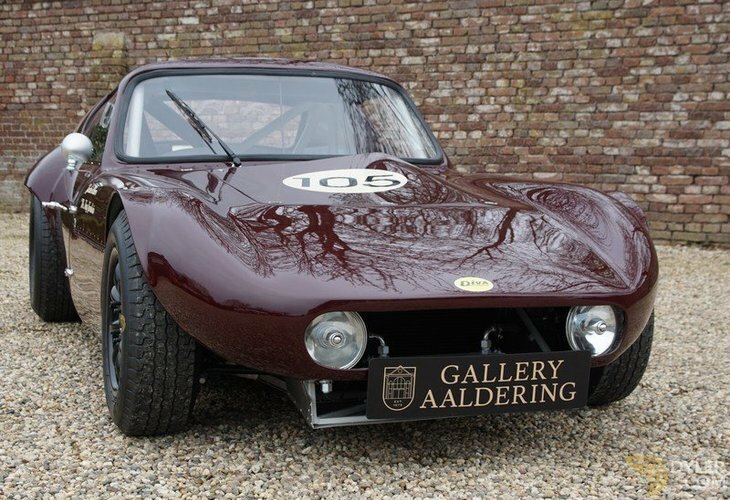 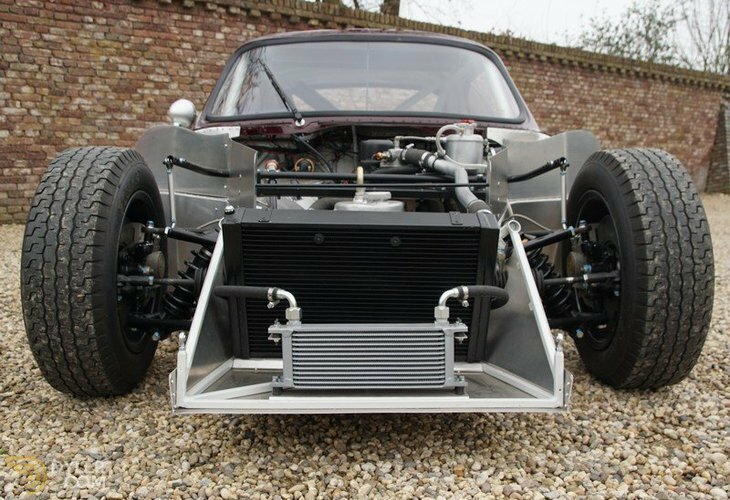 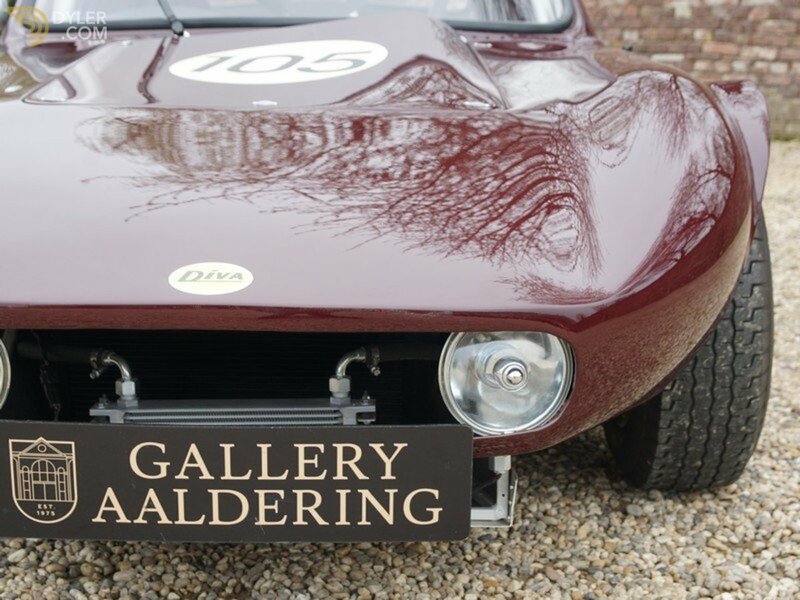 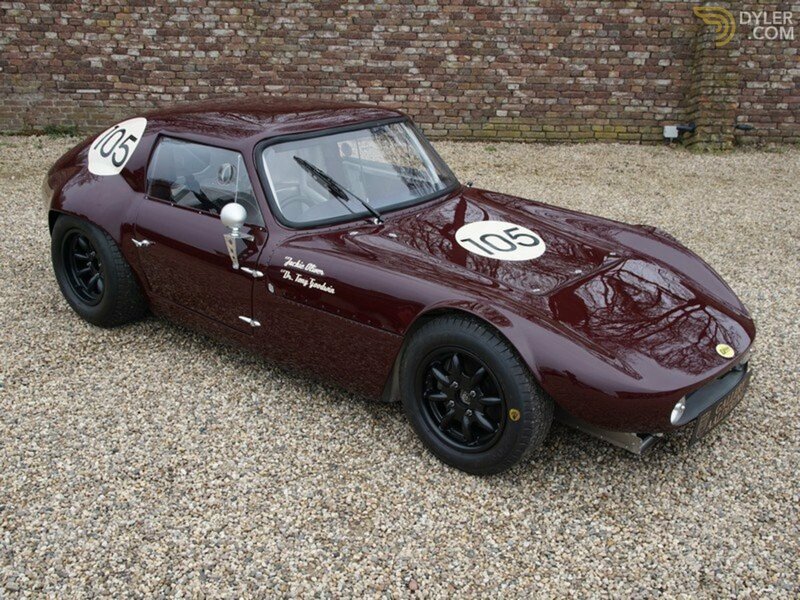 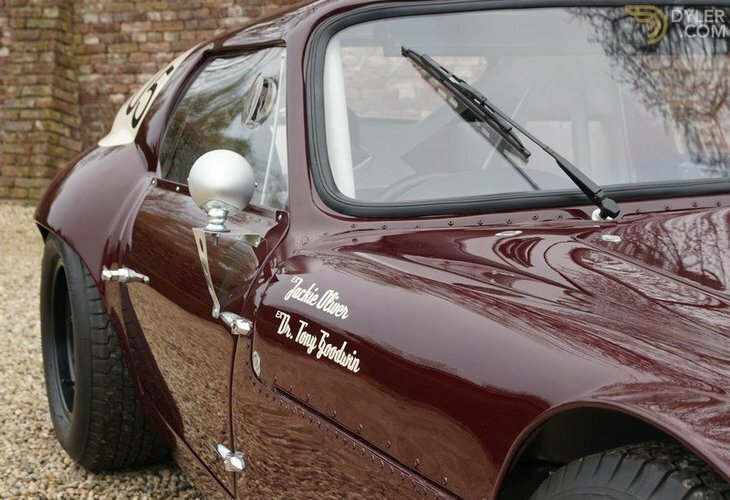 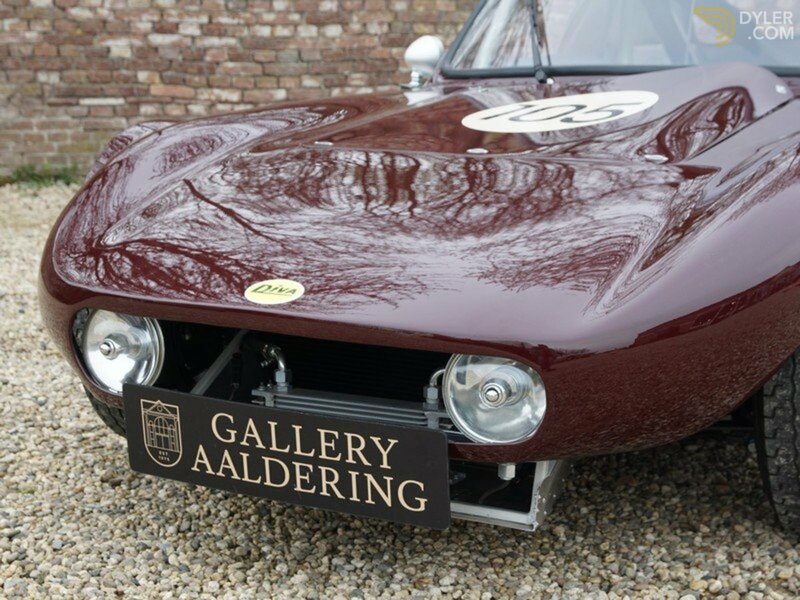 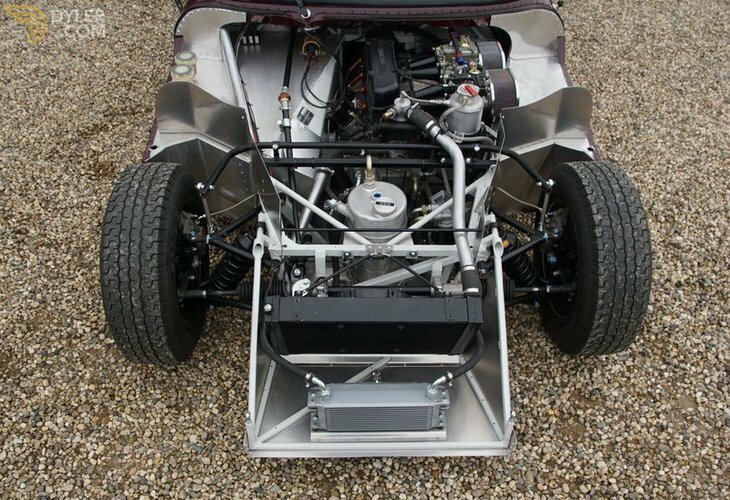 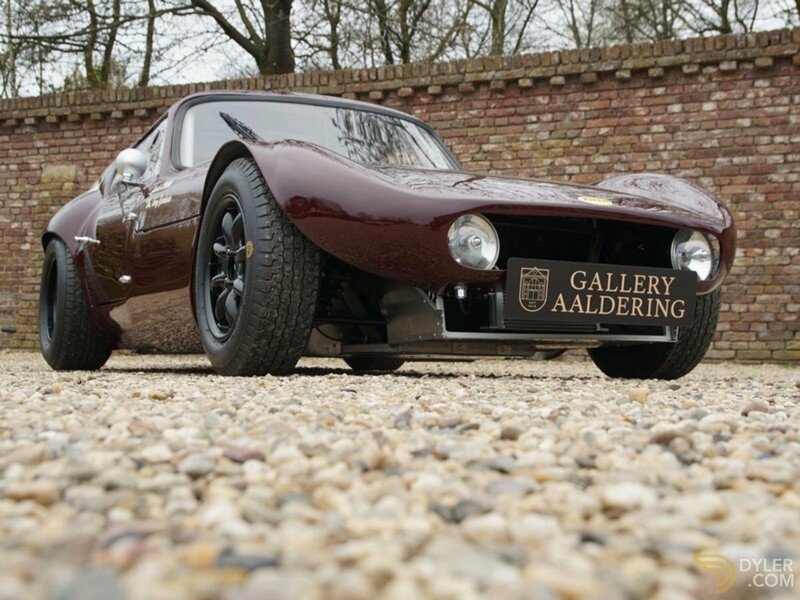 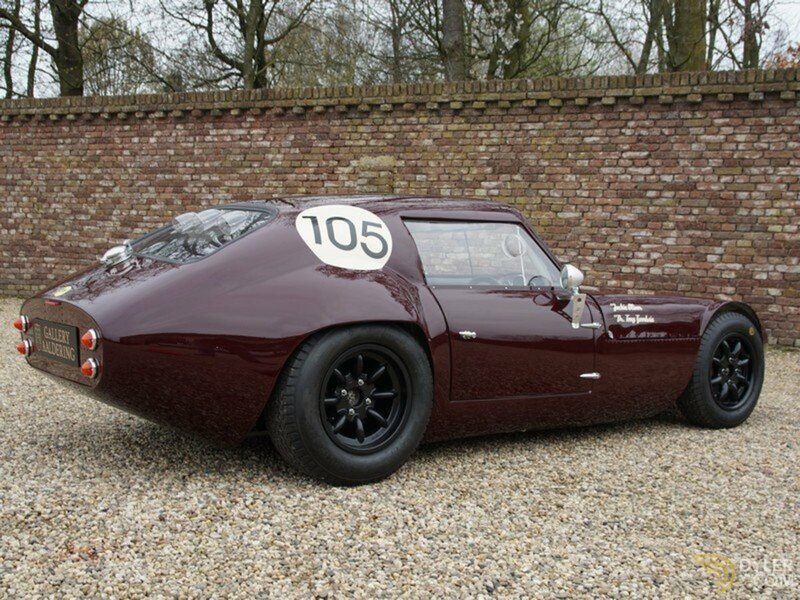 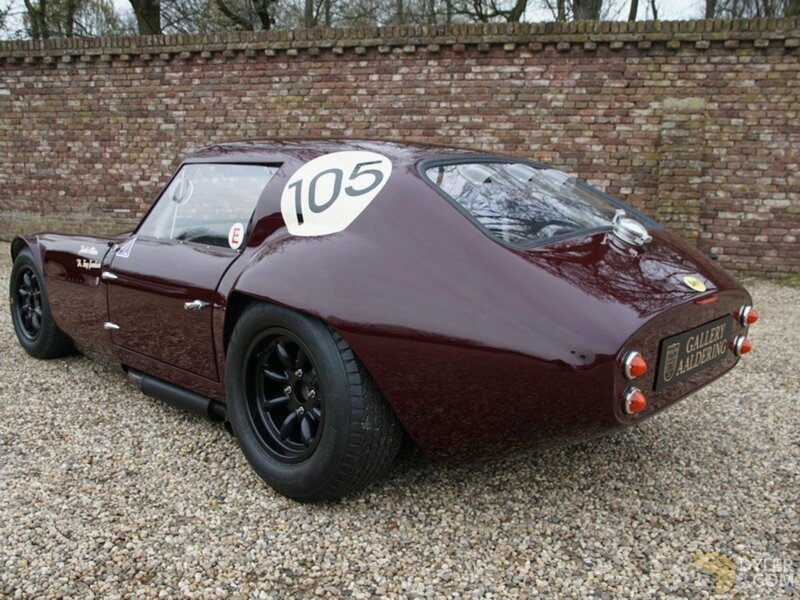 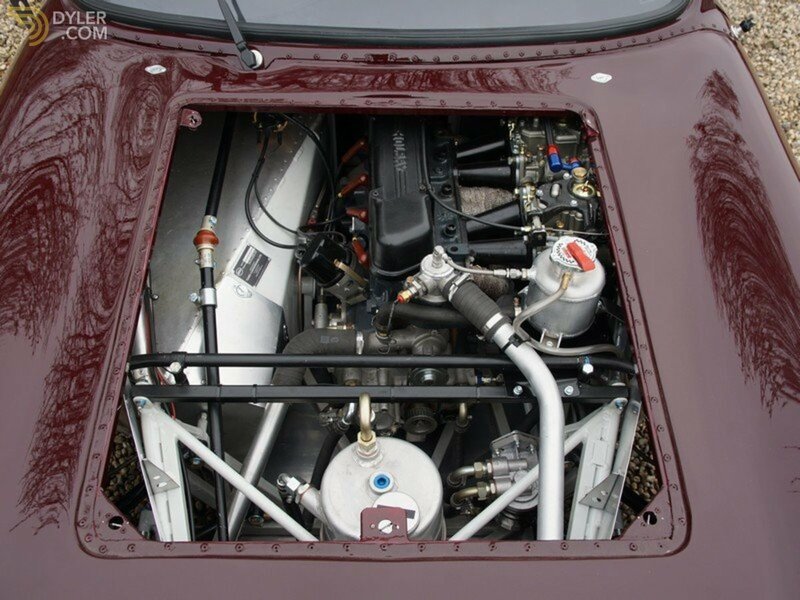 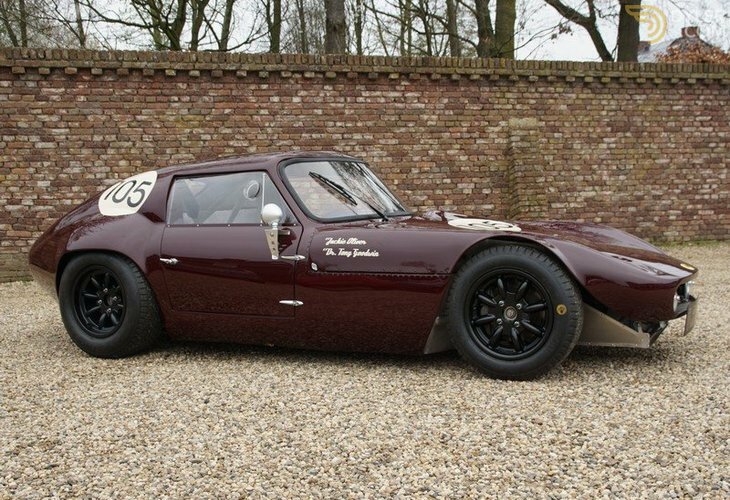 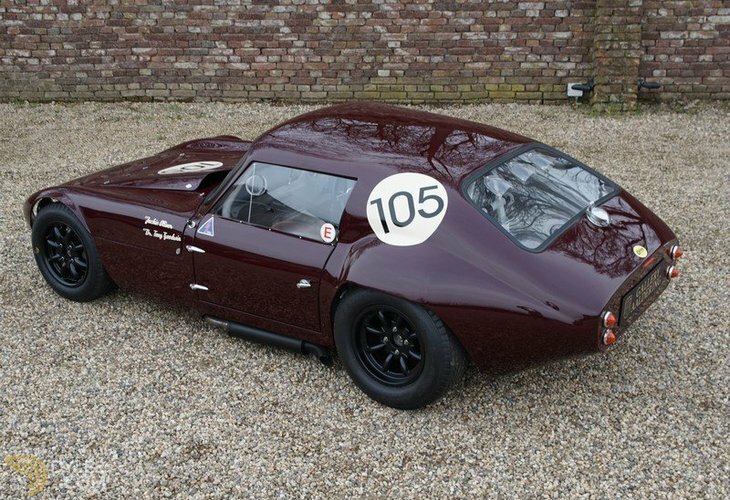 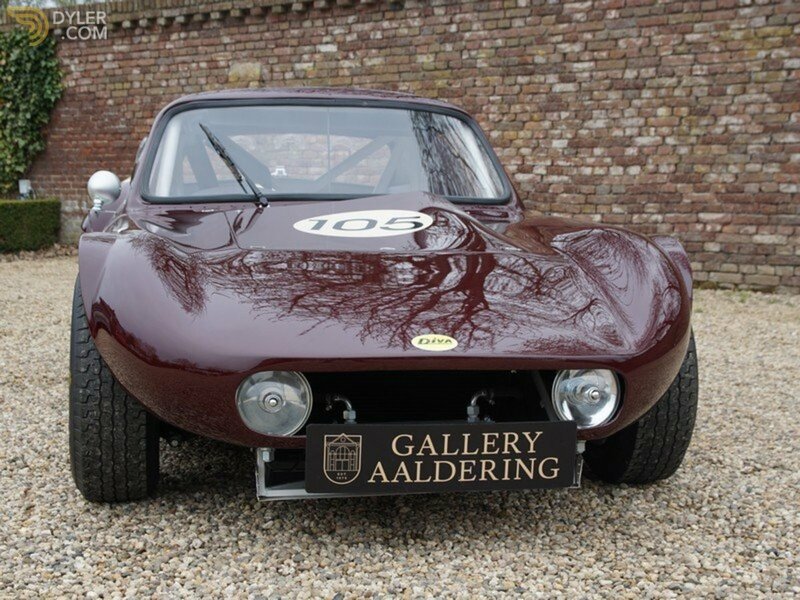 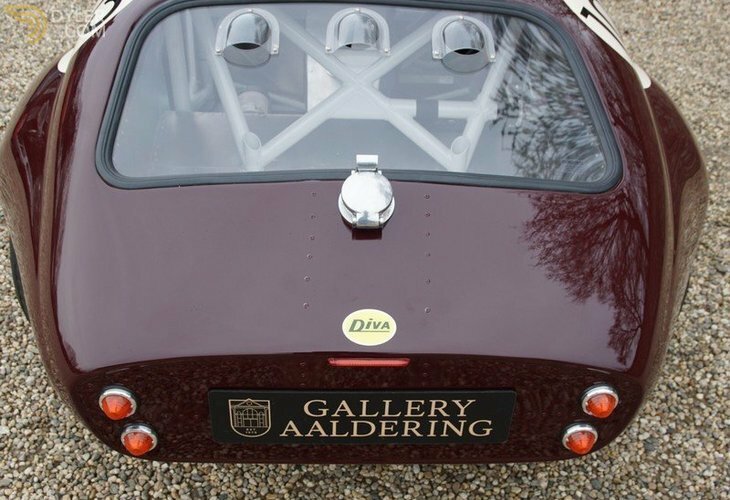 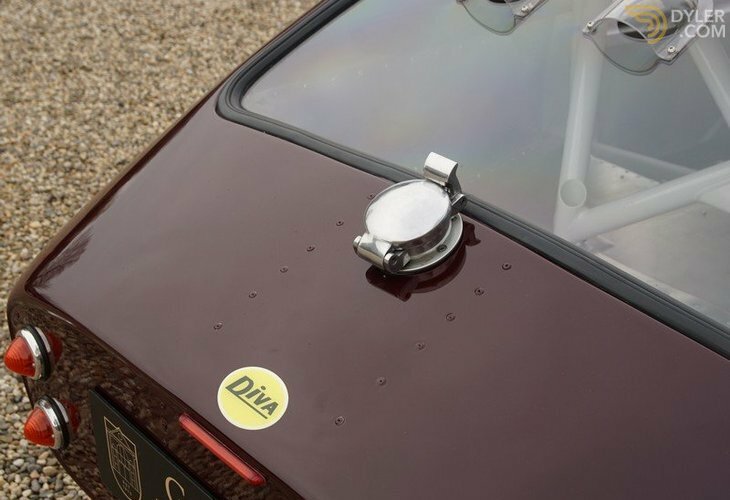 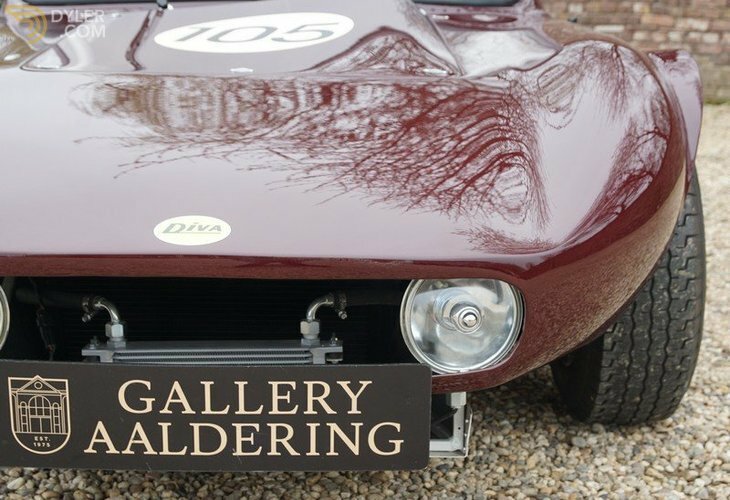 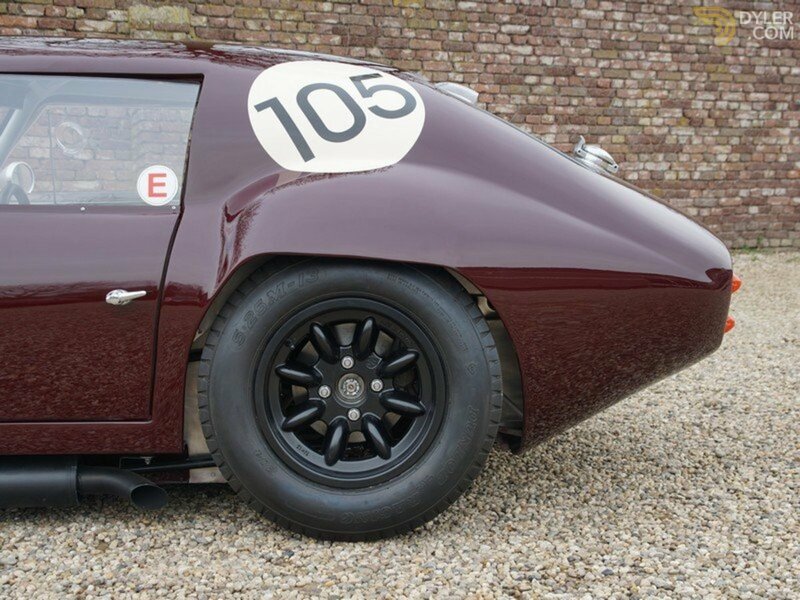 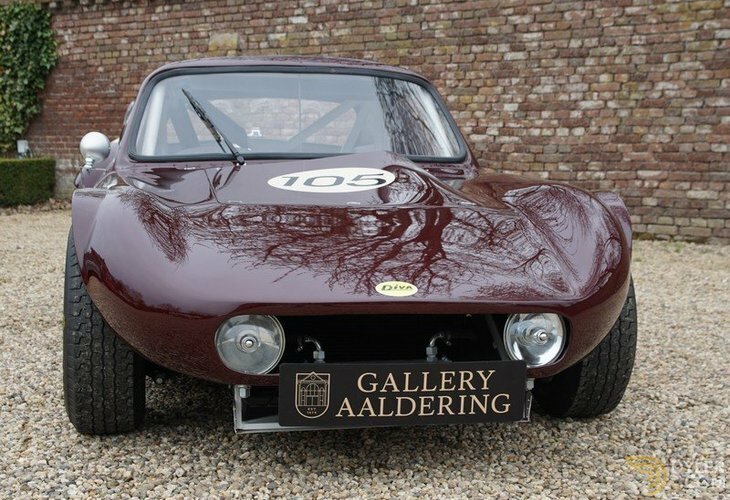 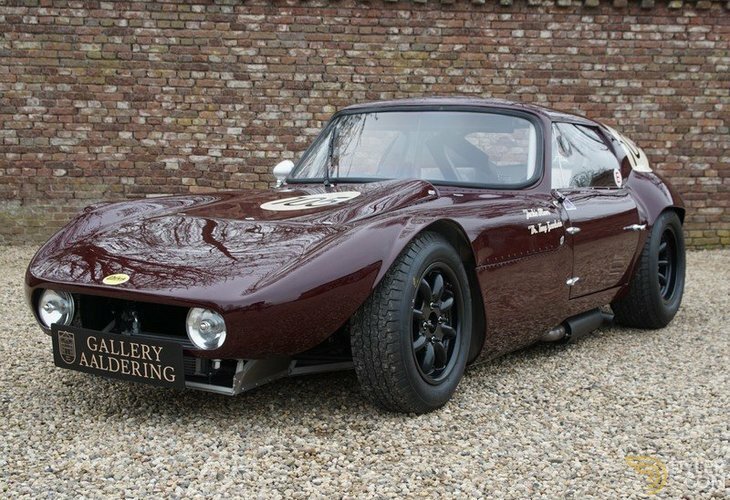 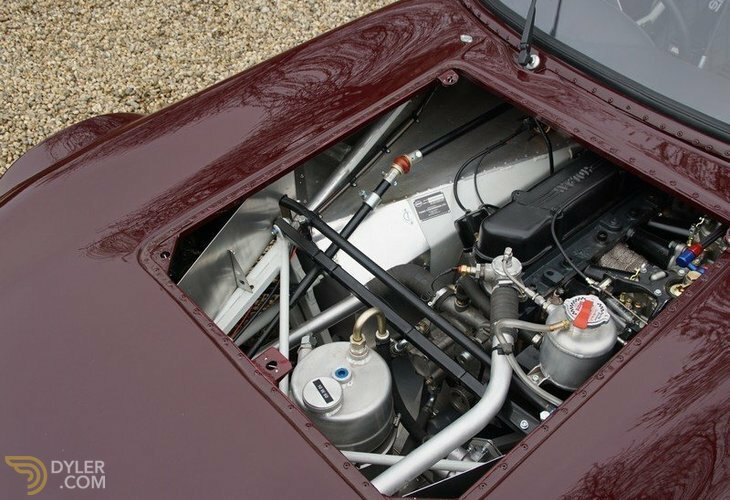 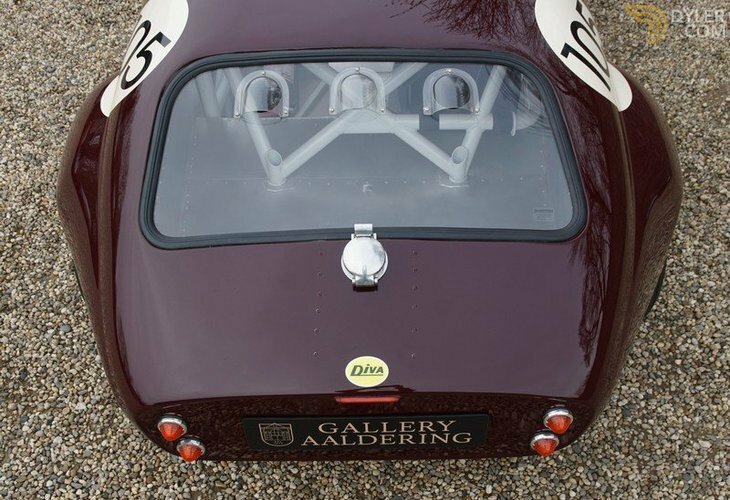 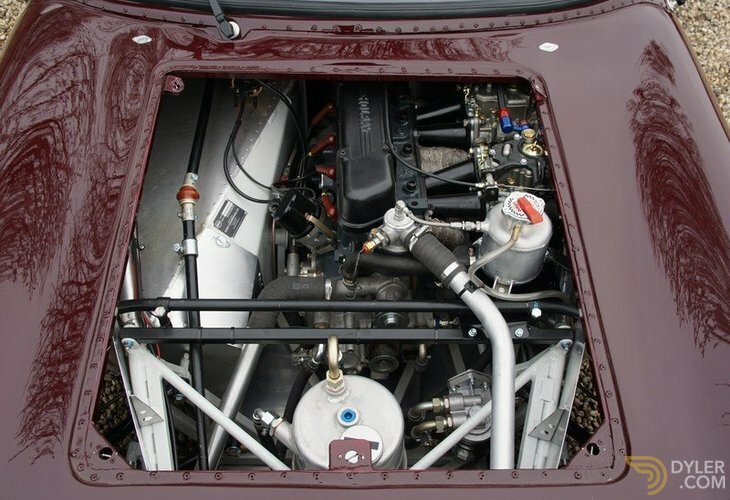 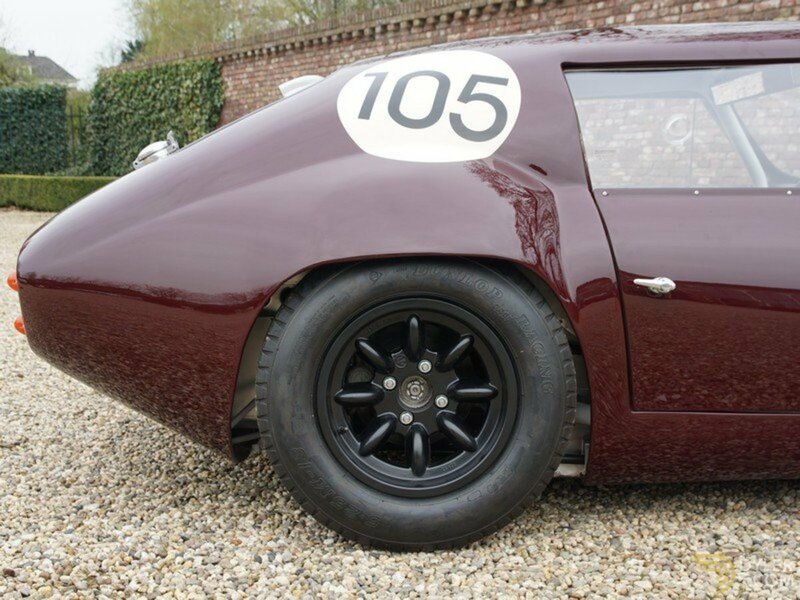 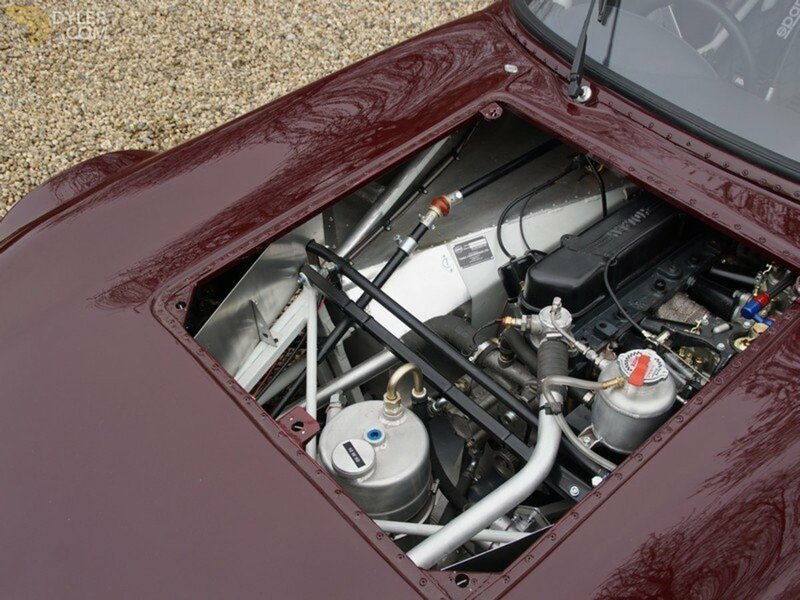 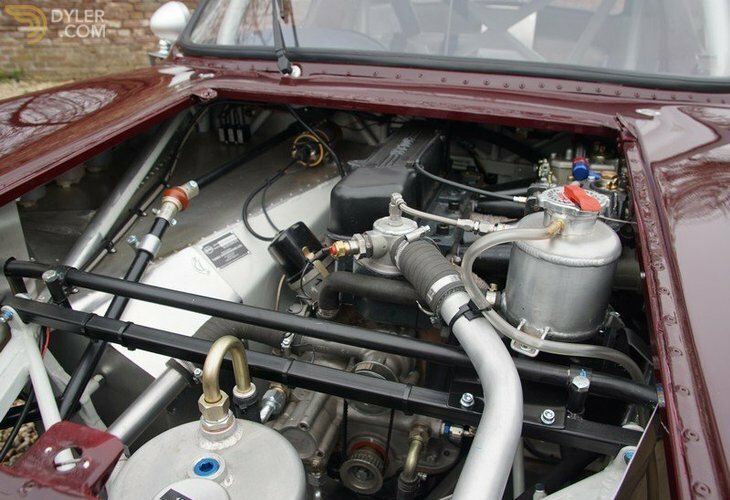 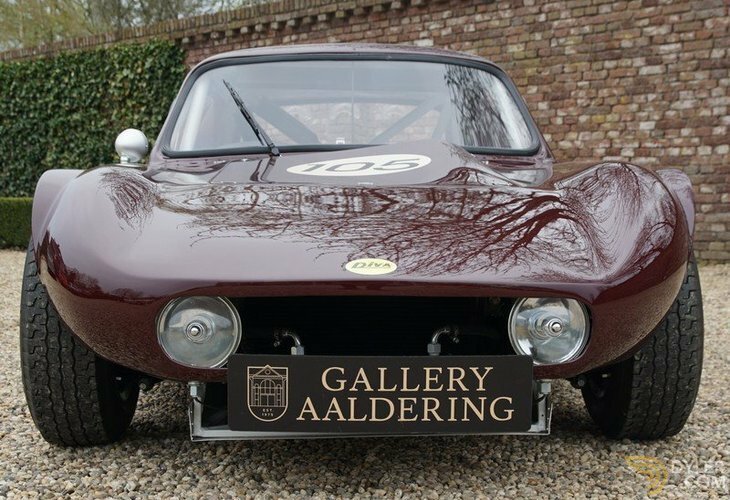 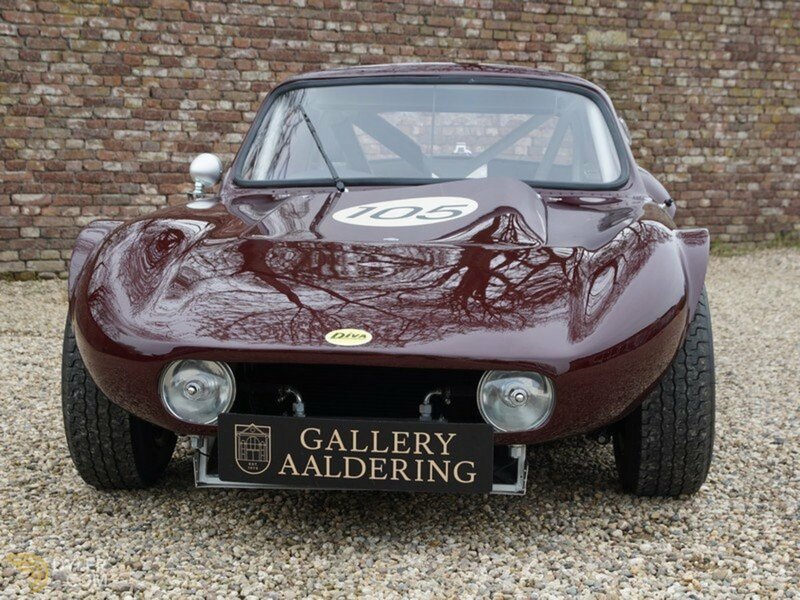 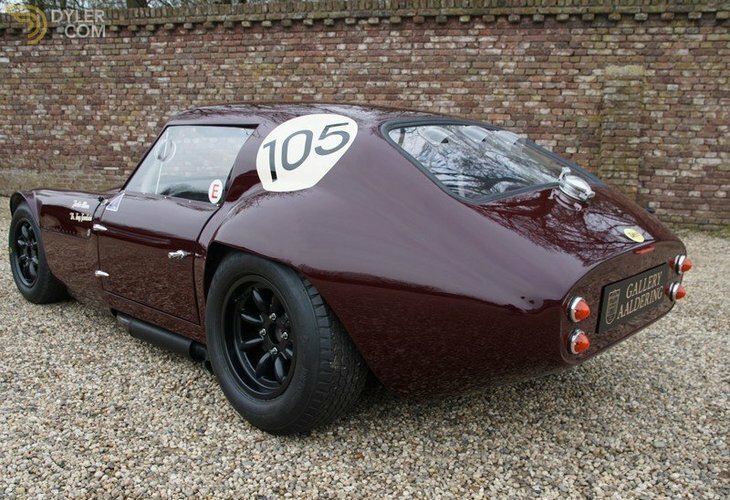 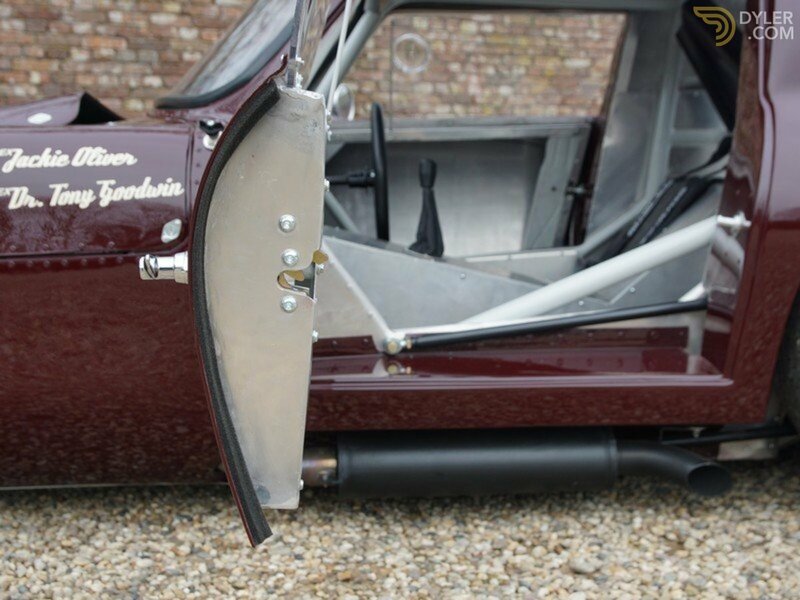 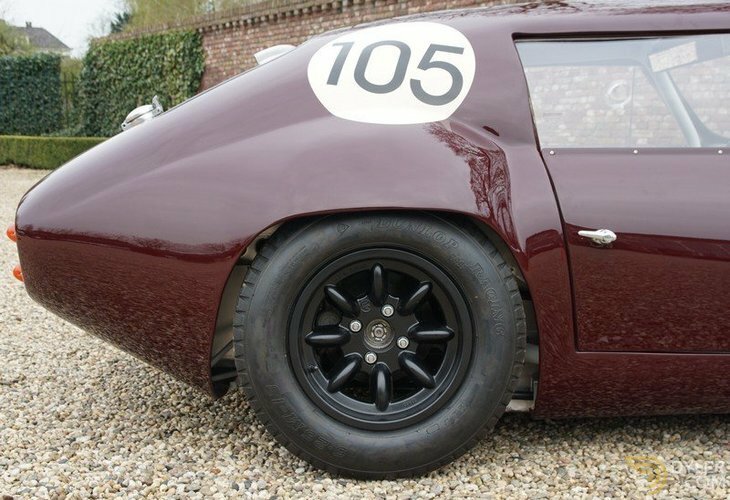 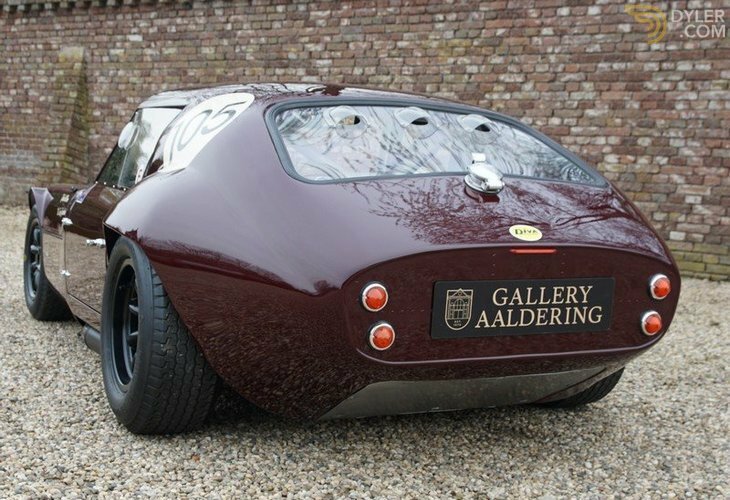 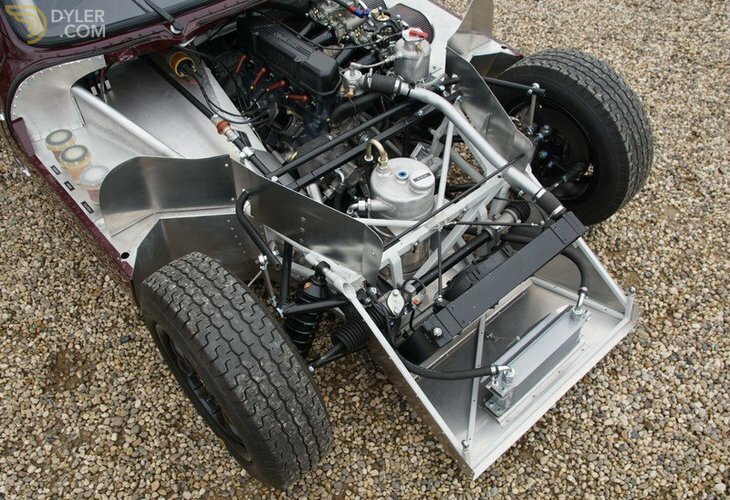 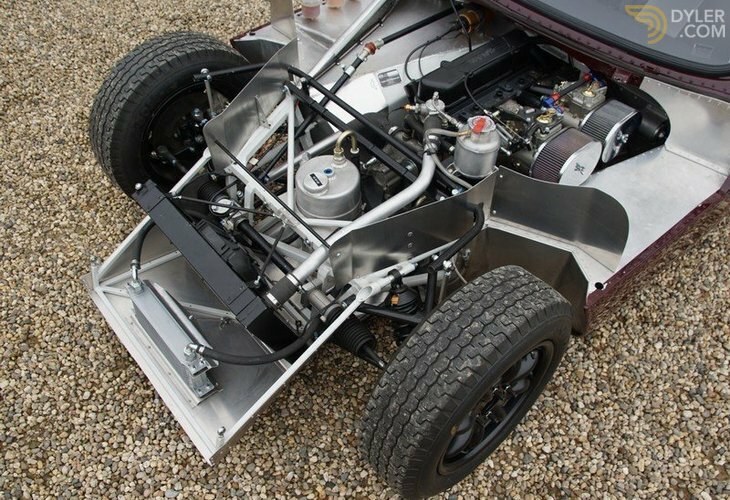 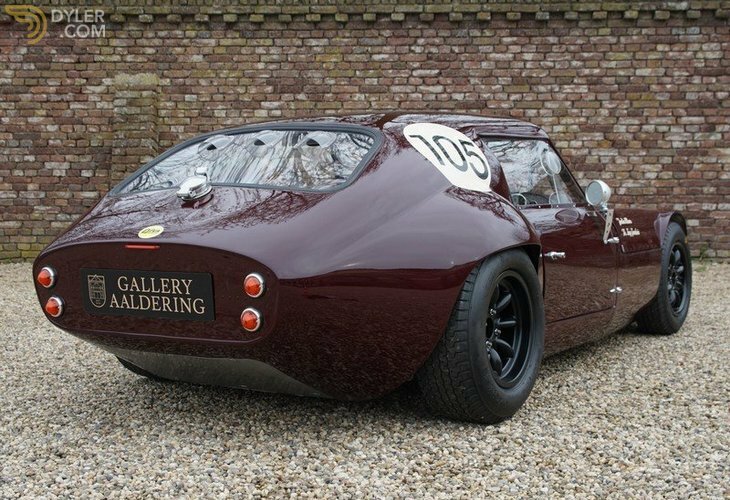 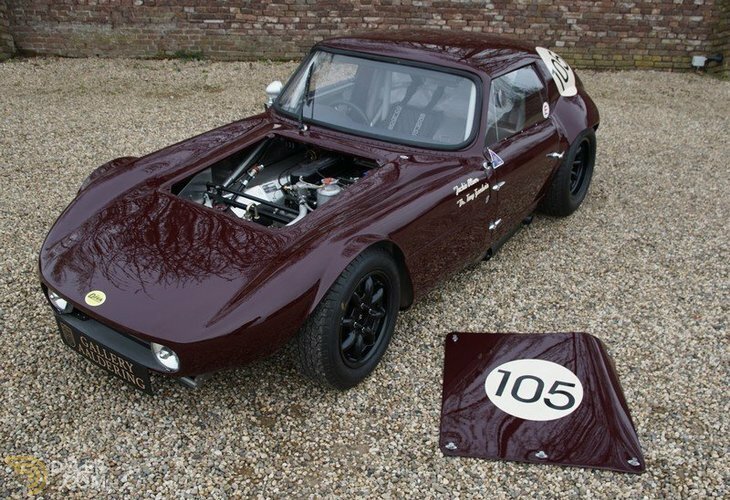 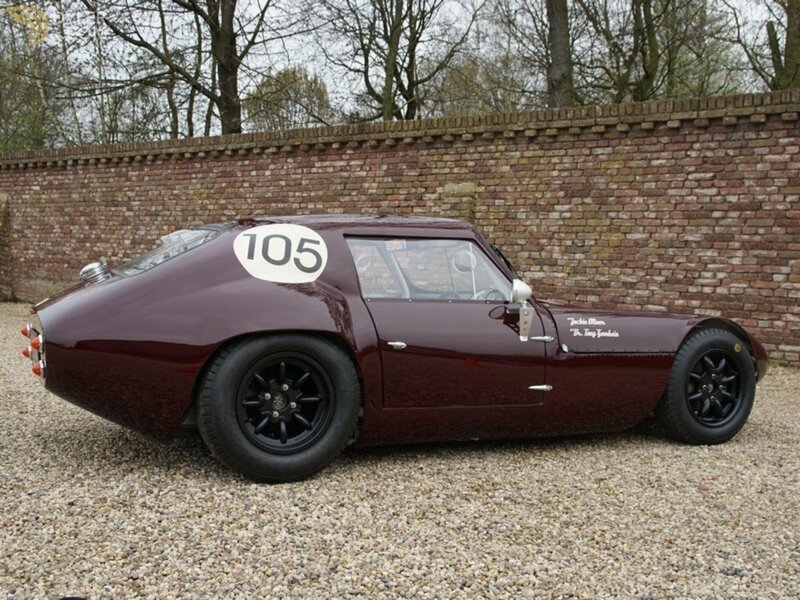 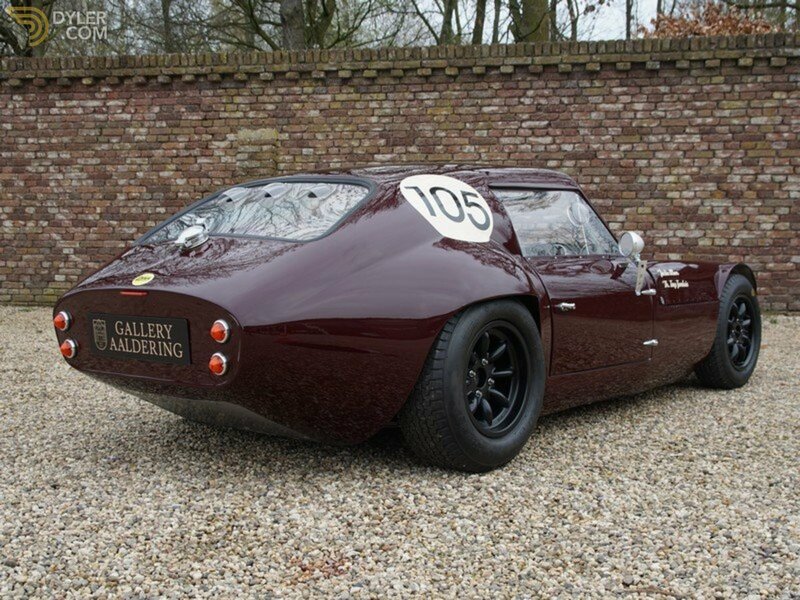 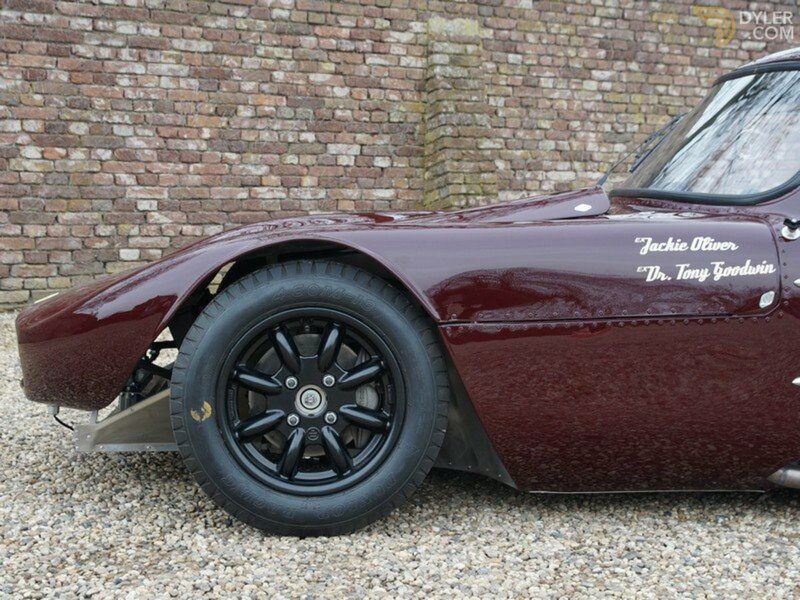 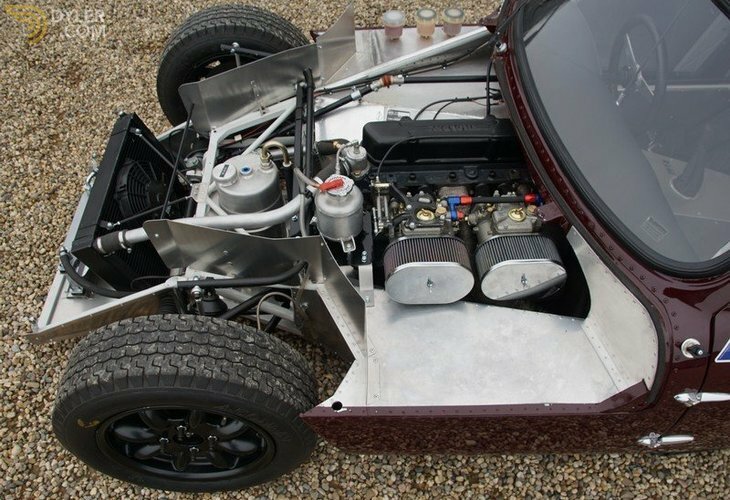 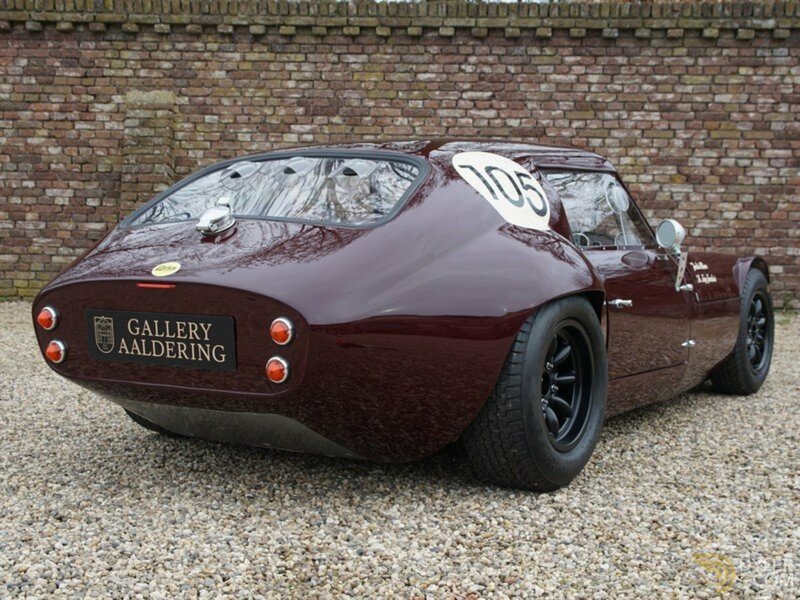 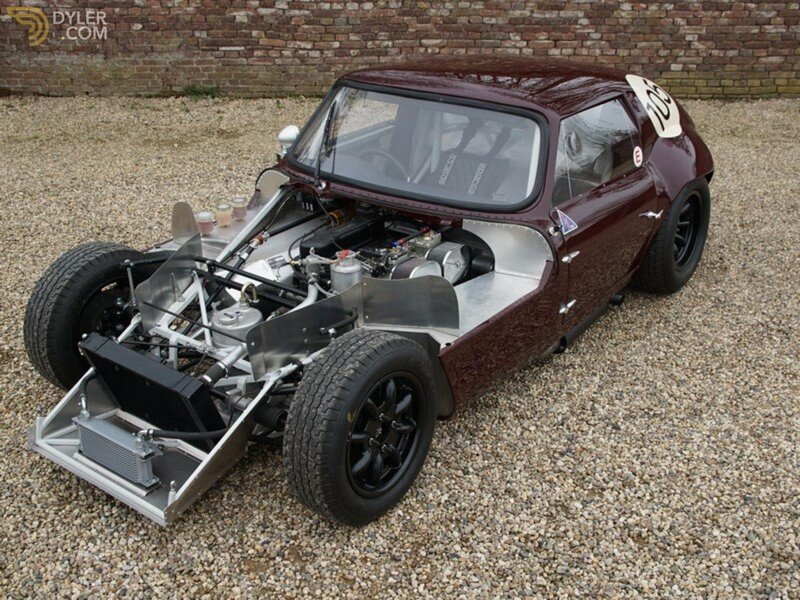 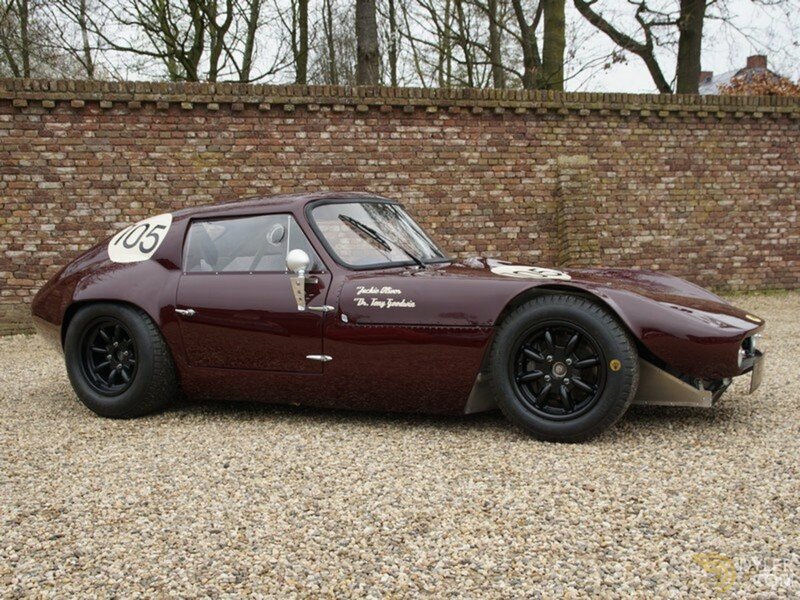 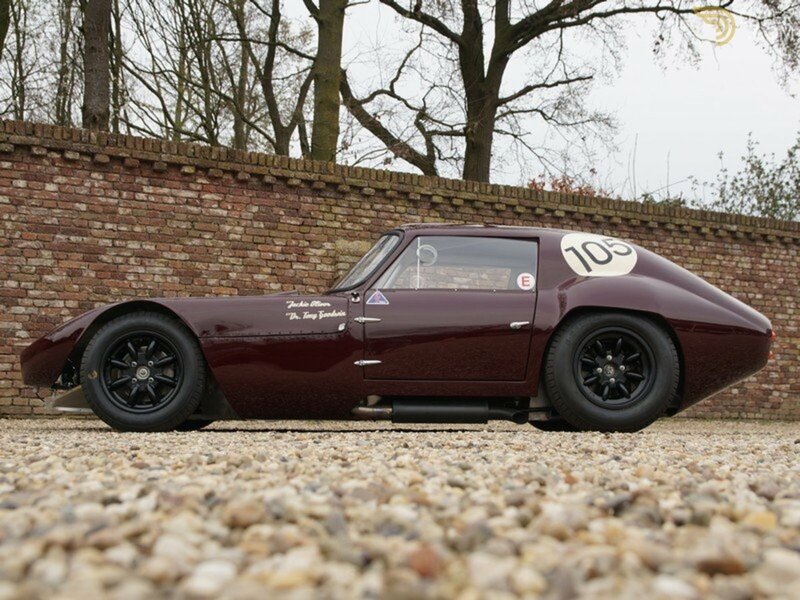 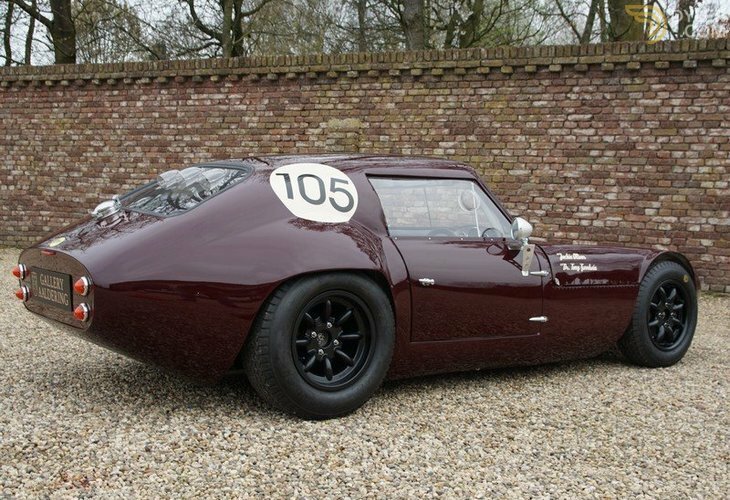 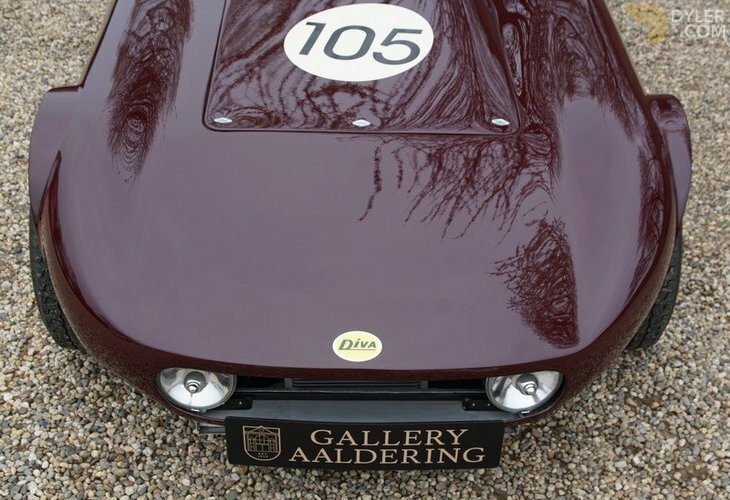 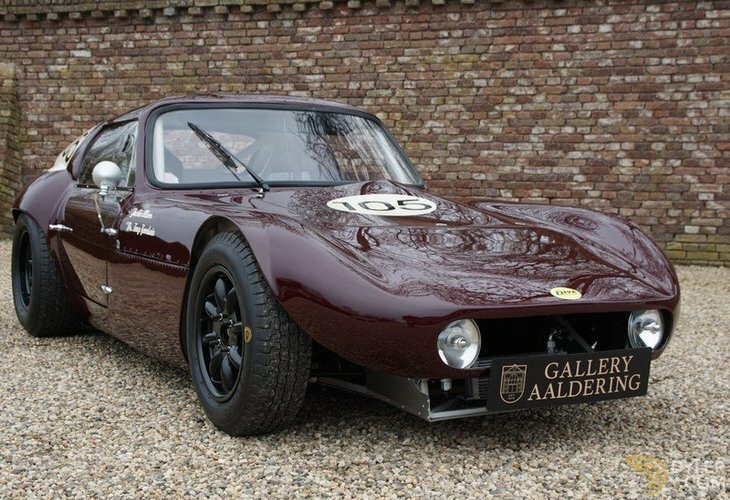 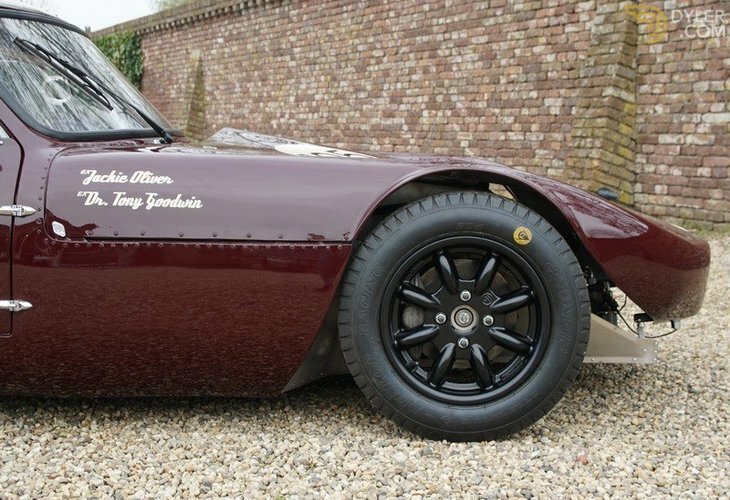 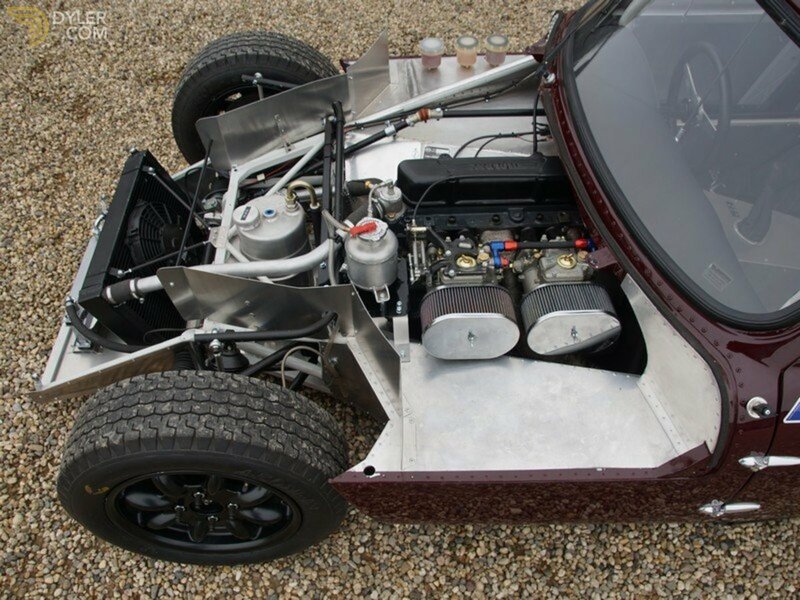 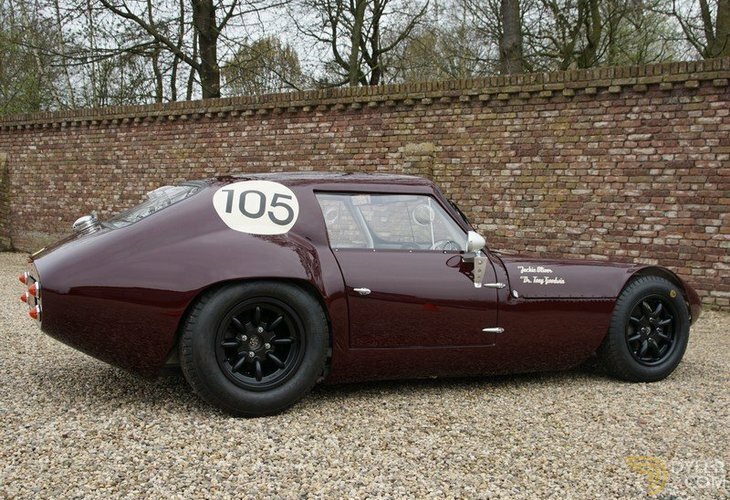 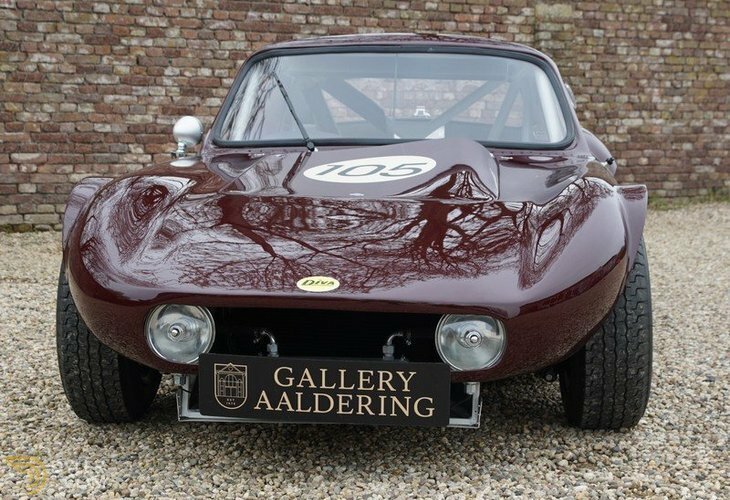 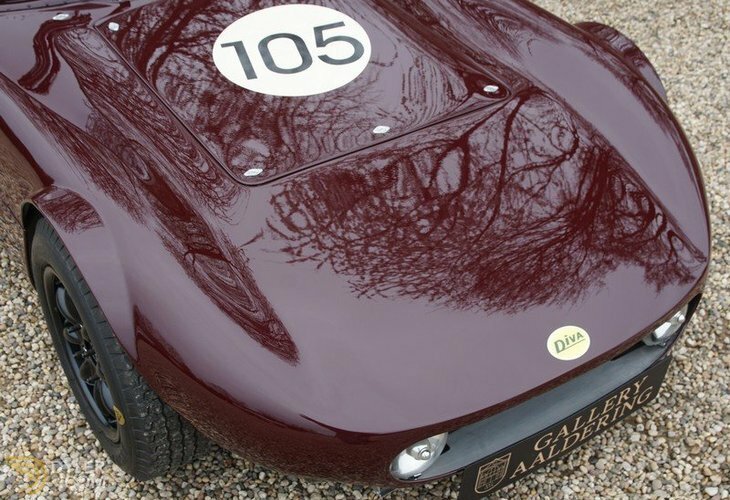 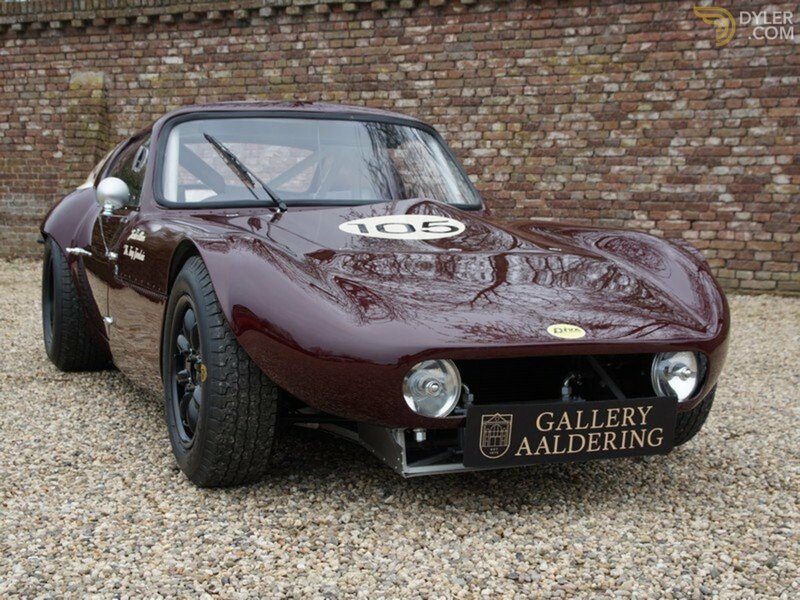 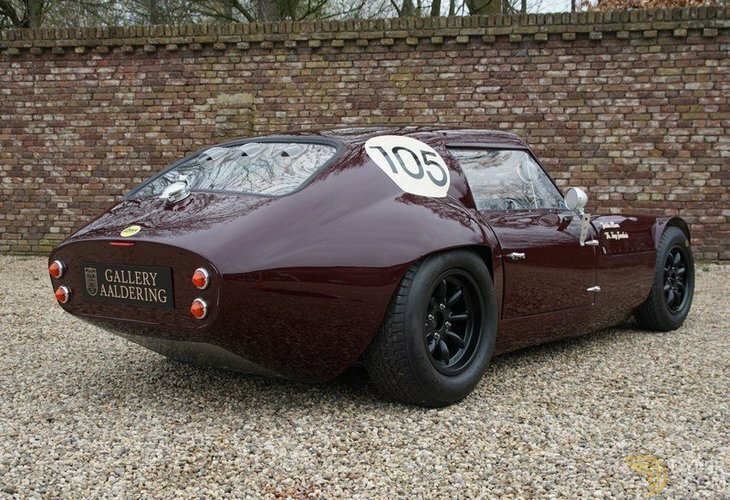 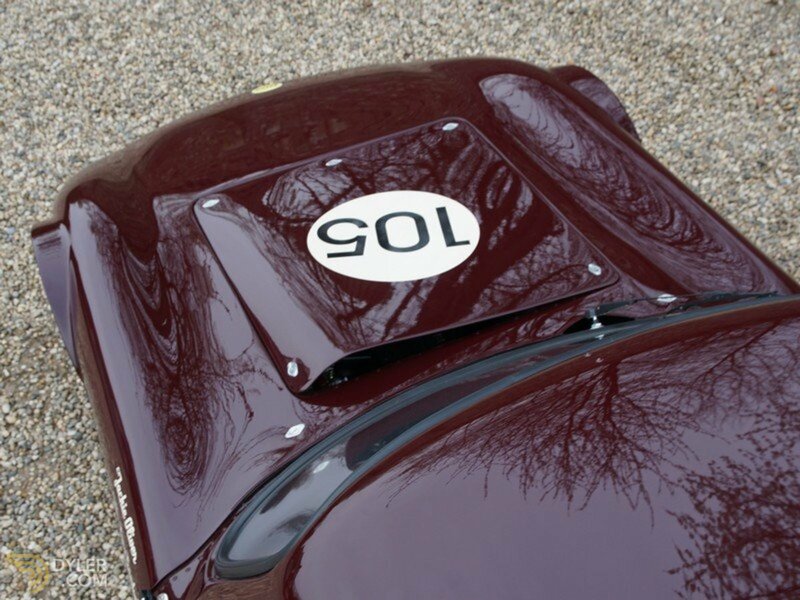 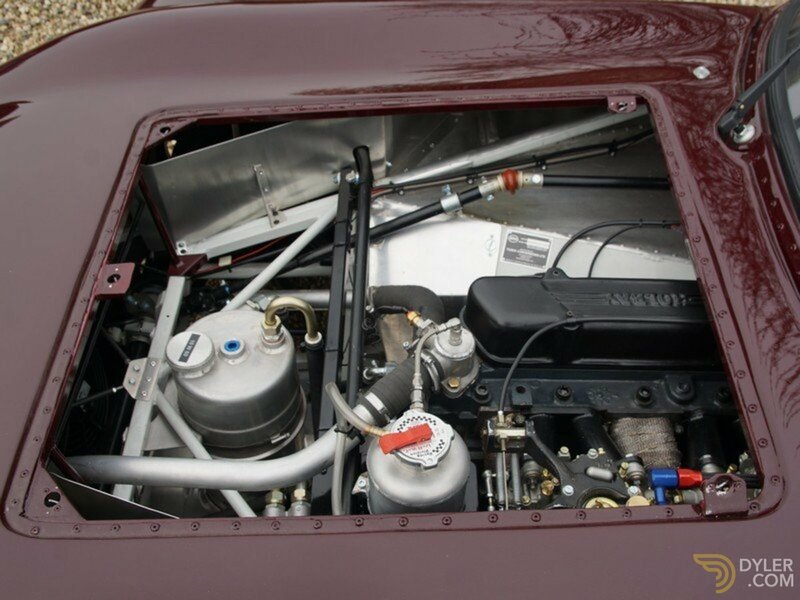 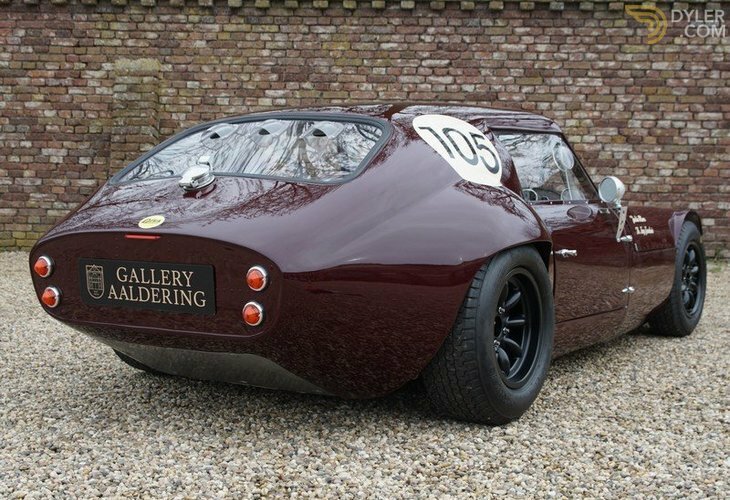 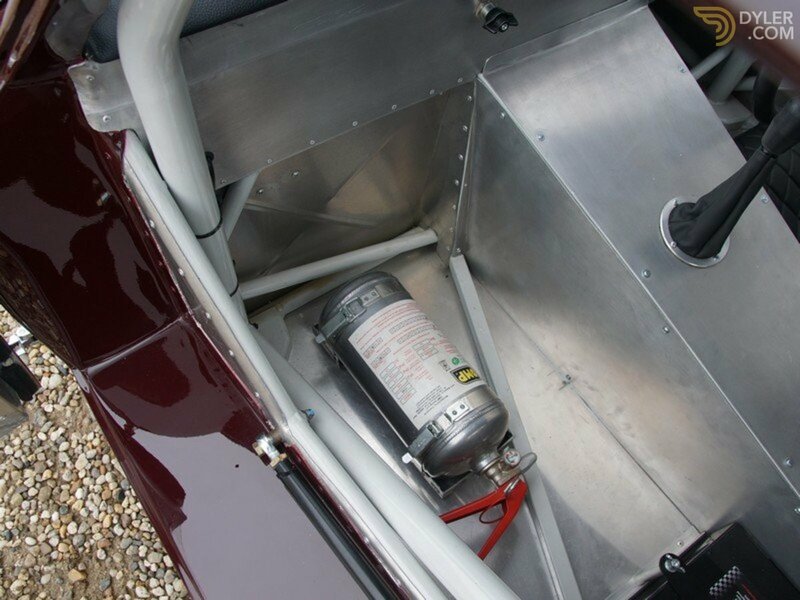 Jackie Oliver bought this with the intention a driving it at the 1964 LE Mans 24 H. This Diva was completely modified for this specific purpose with a rare Hewland 5-speed gearbox and a Cosworth tuned 1293 cc Ford engine and front and back disc brakes. 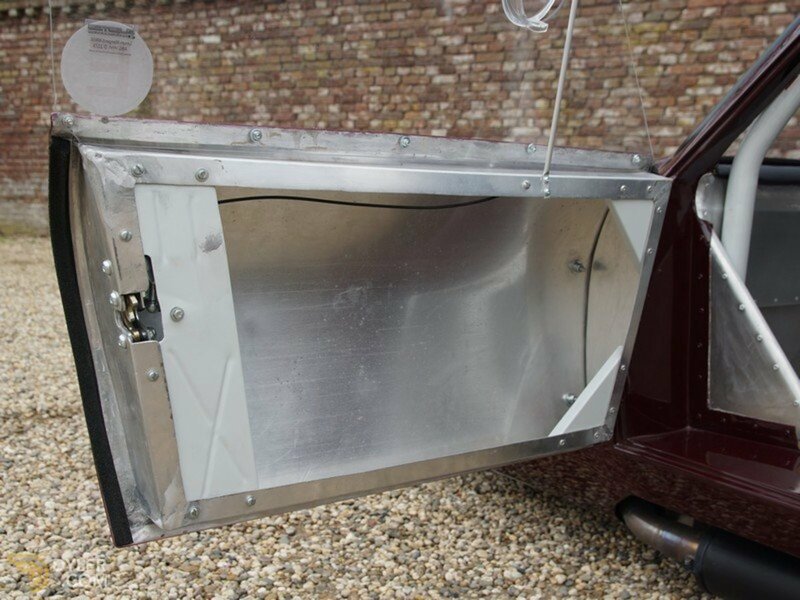 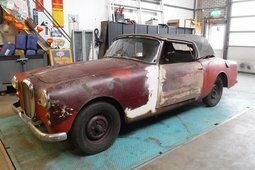 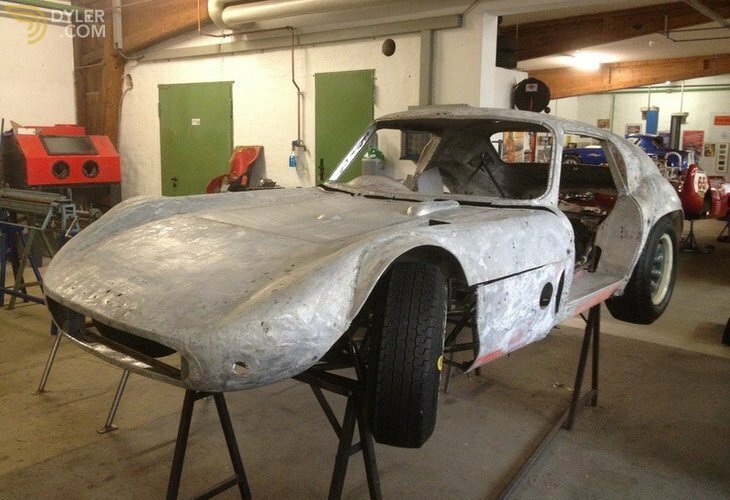 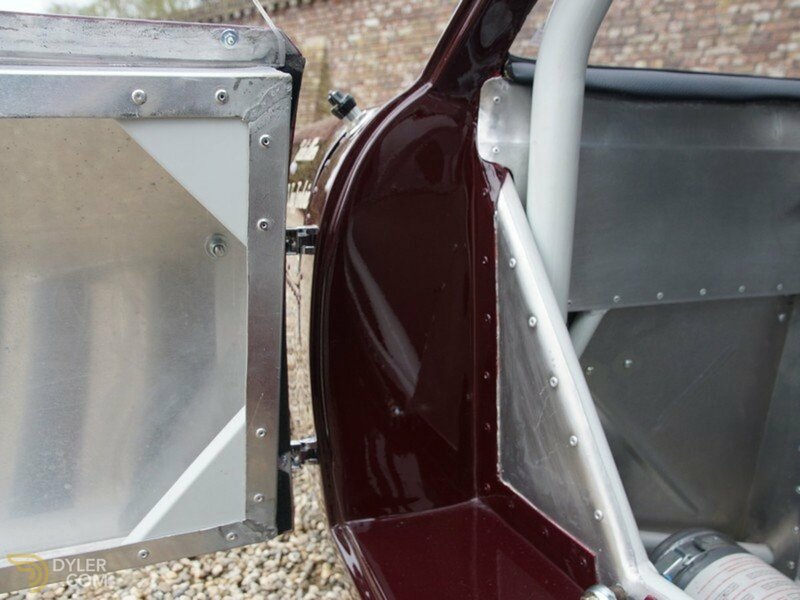 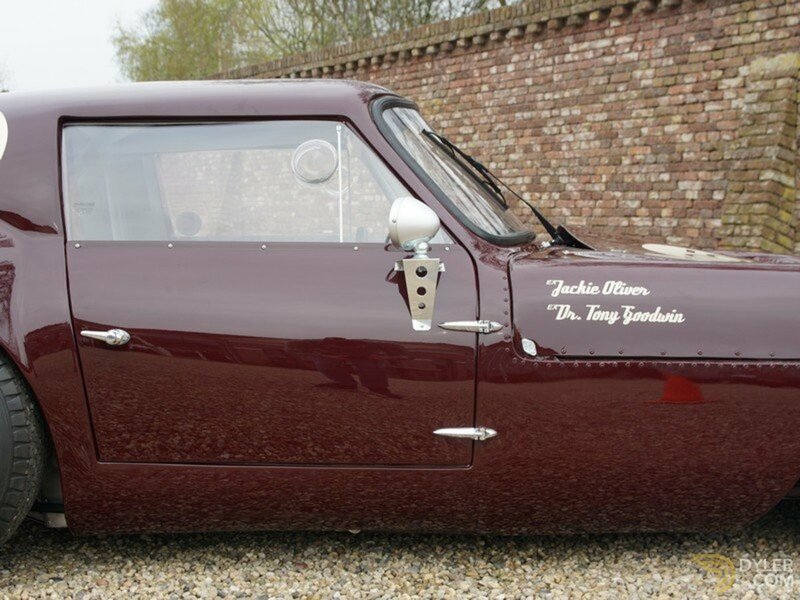 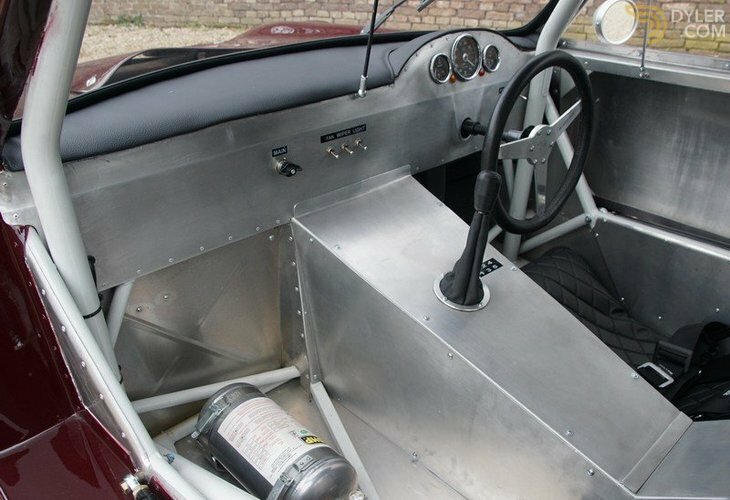 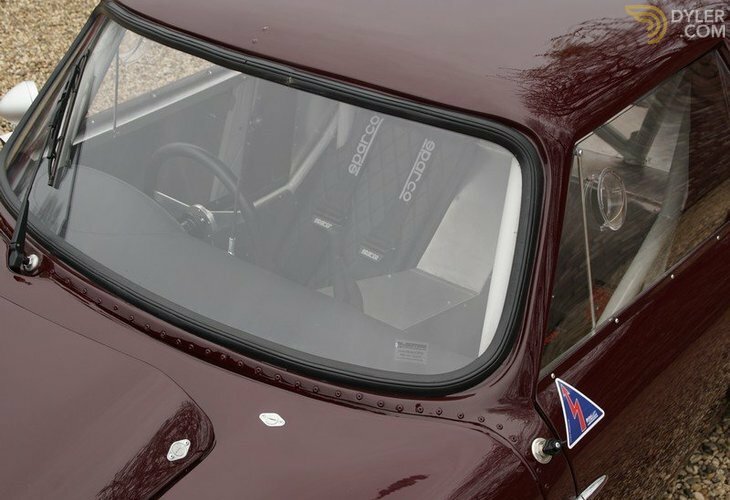 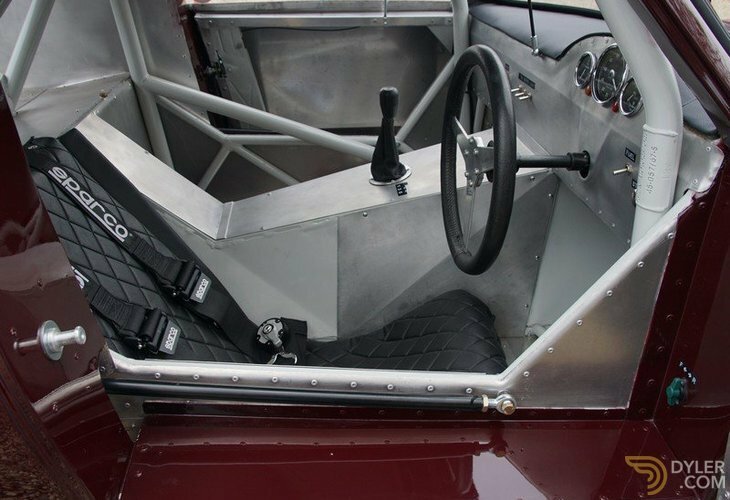 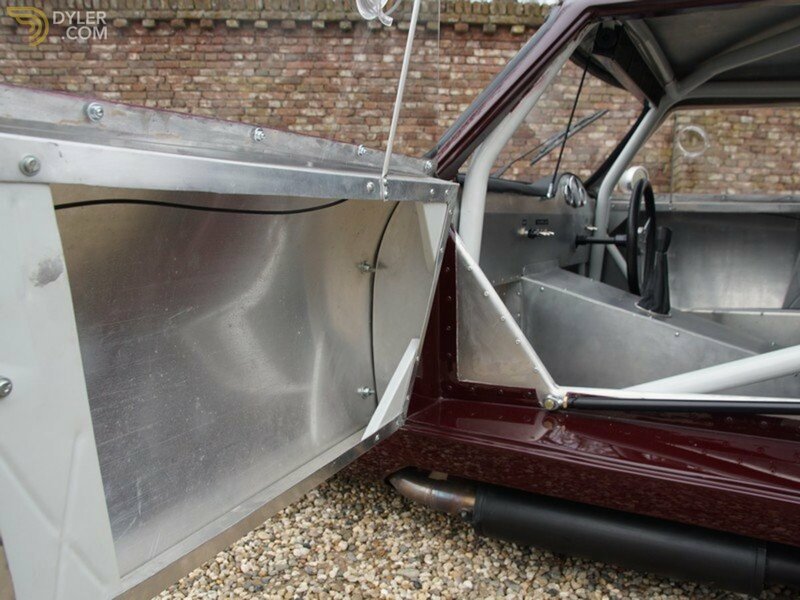 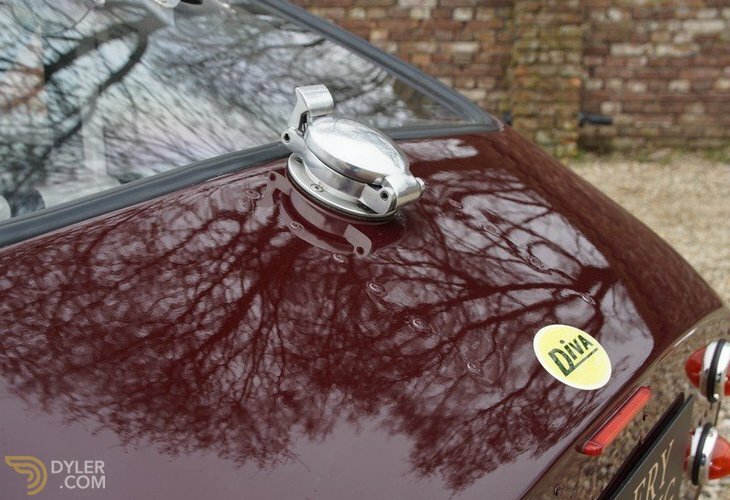 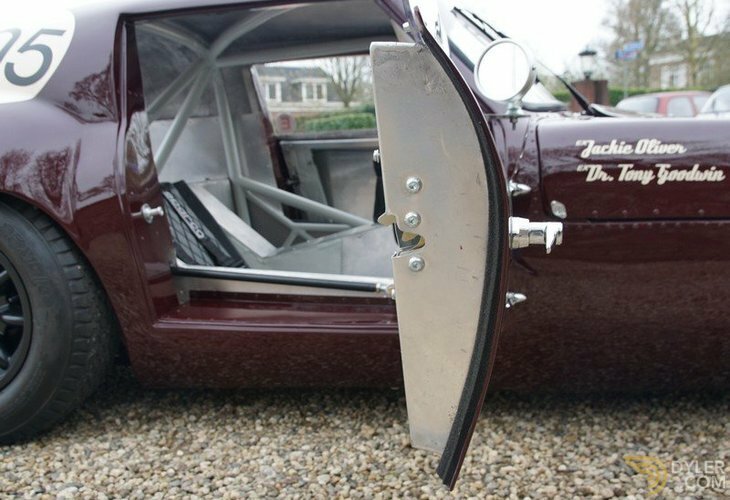 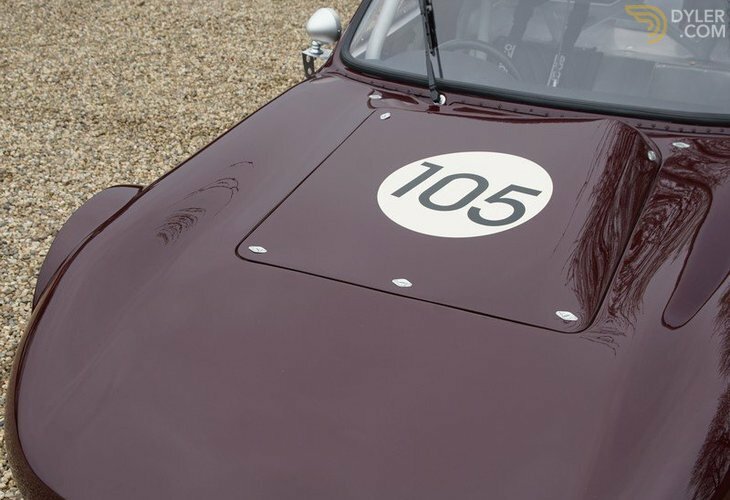 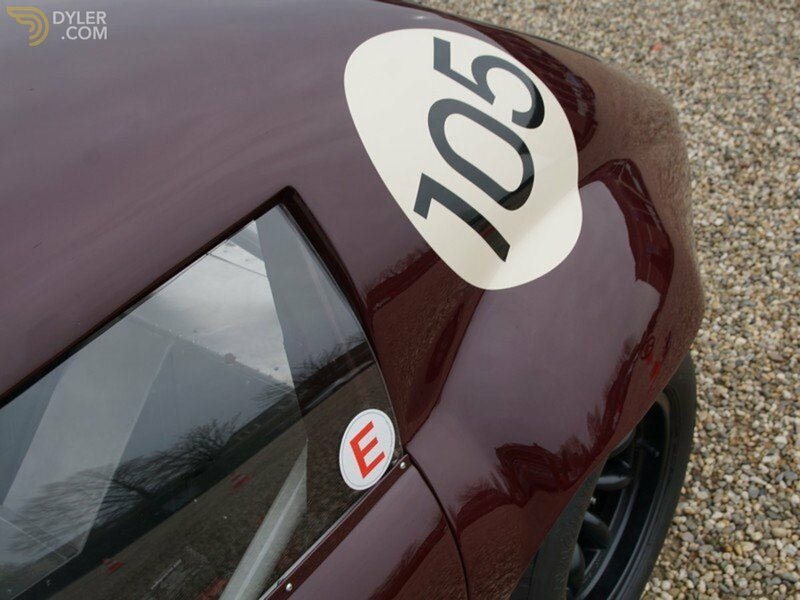 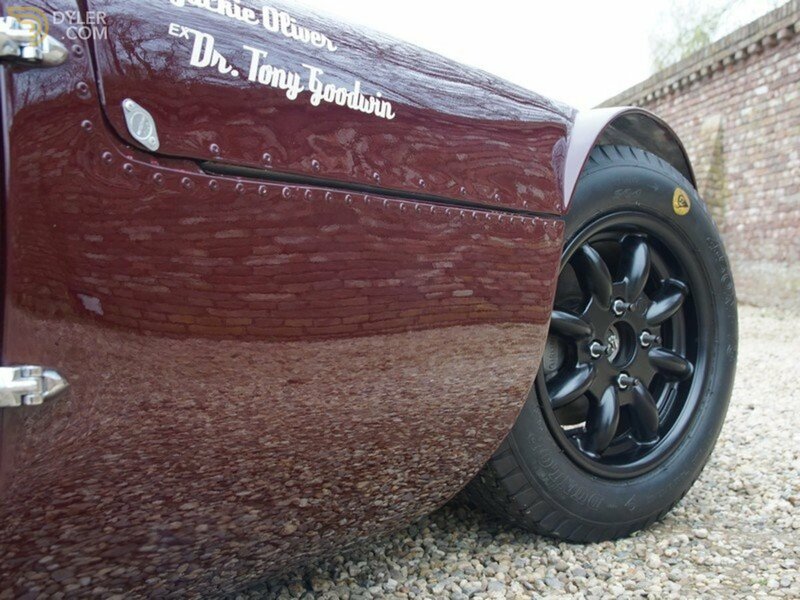 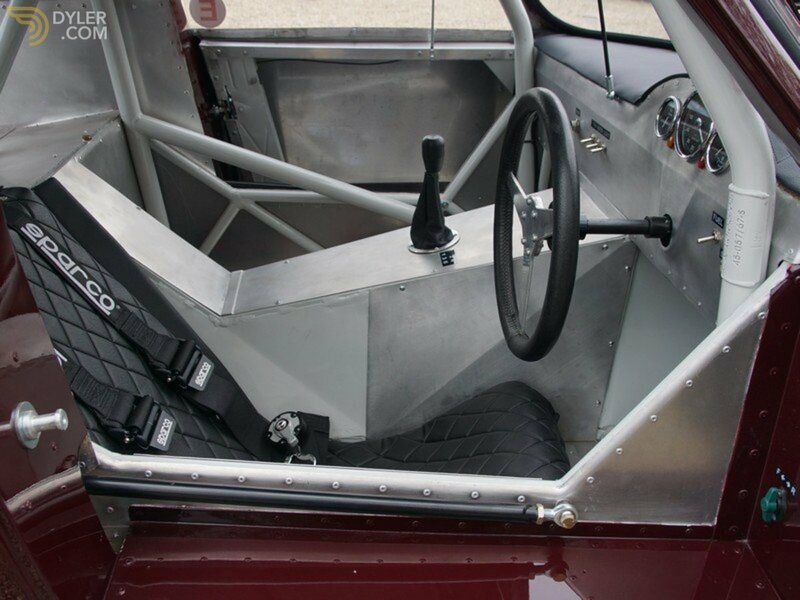 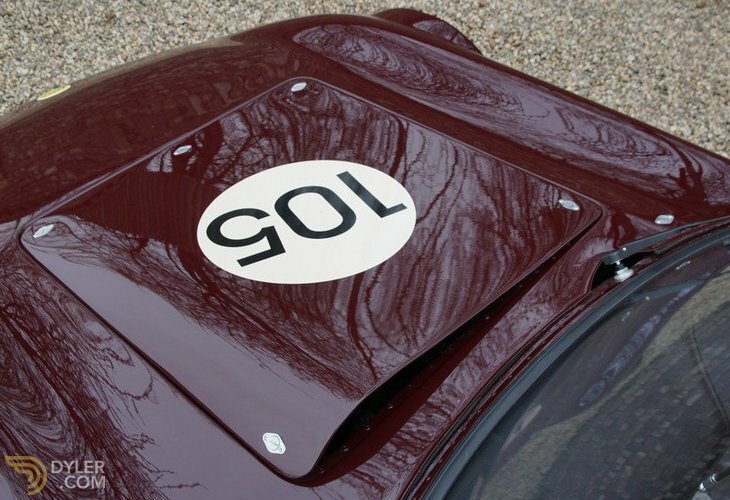 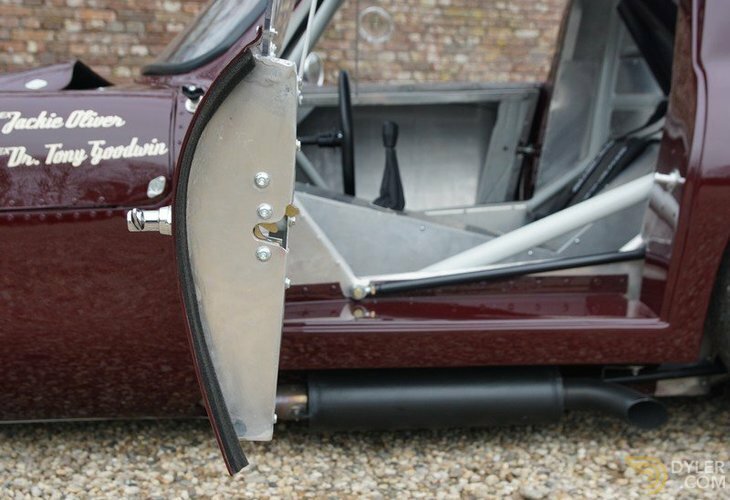 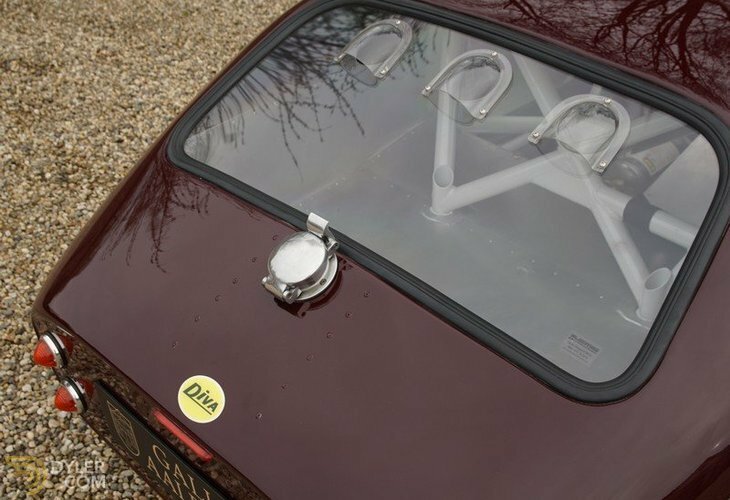 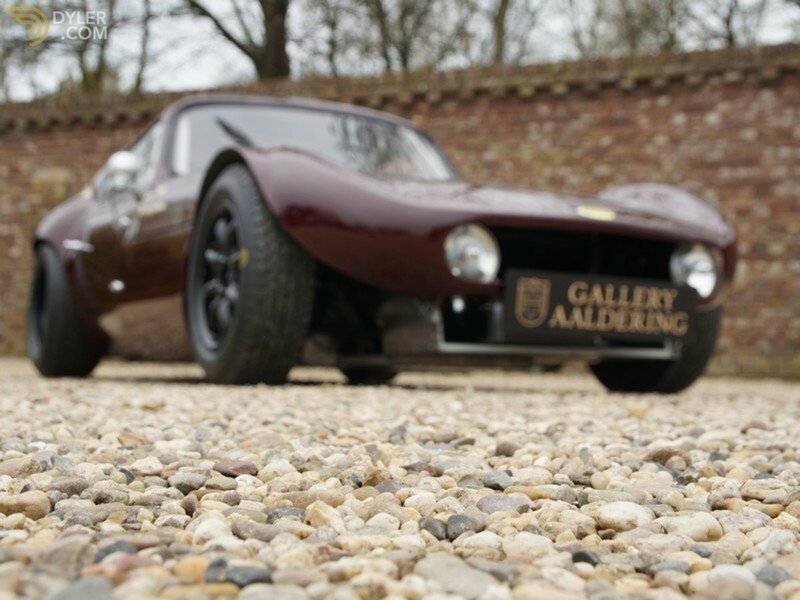 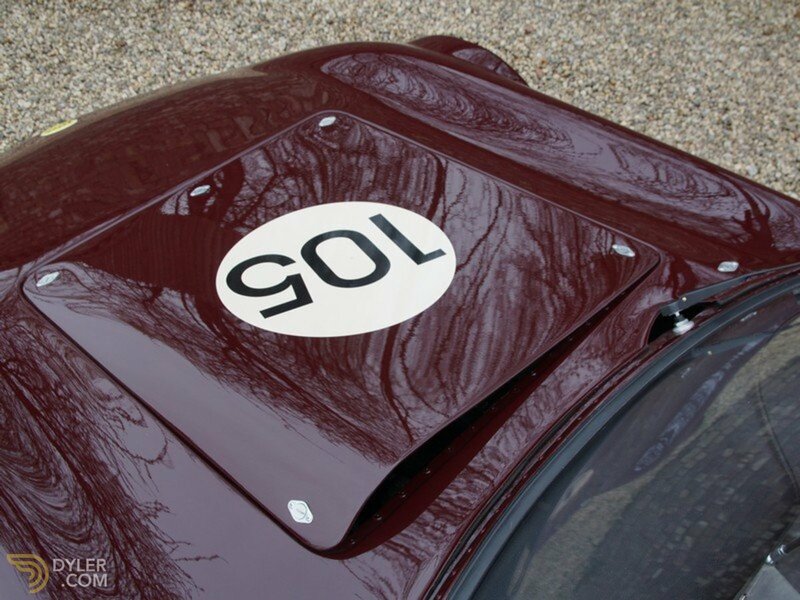 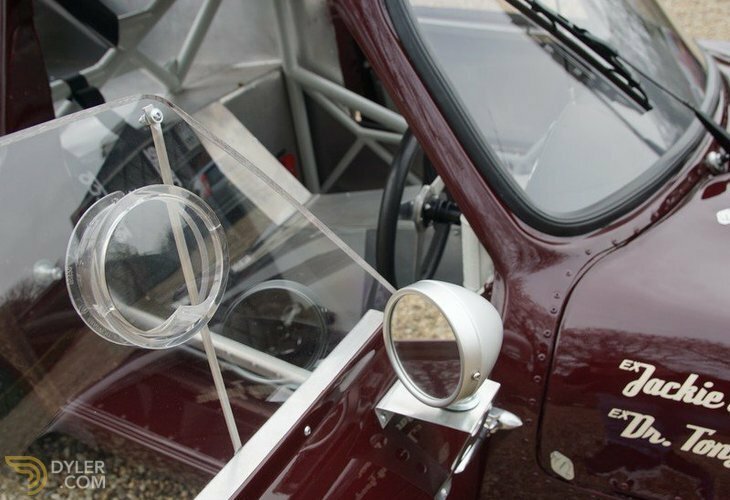 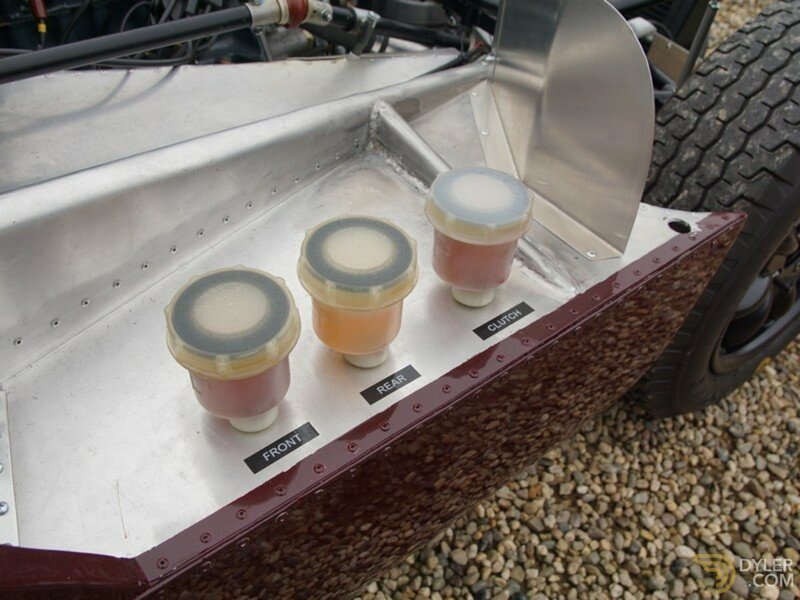 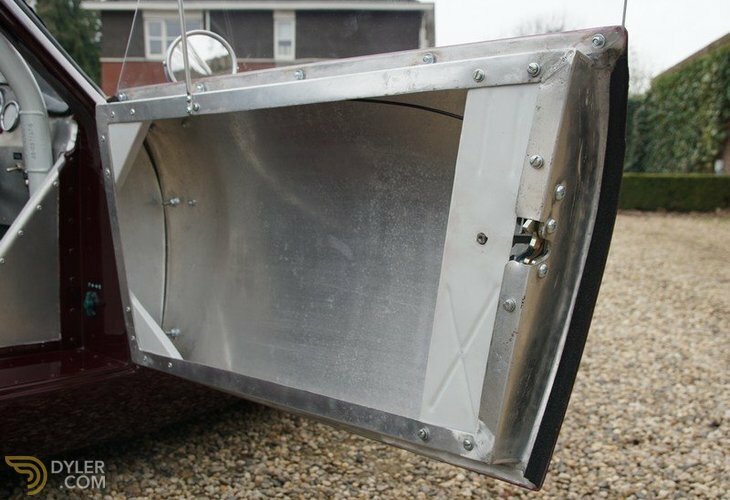 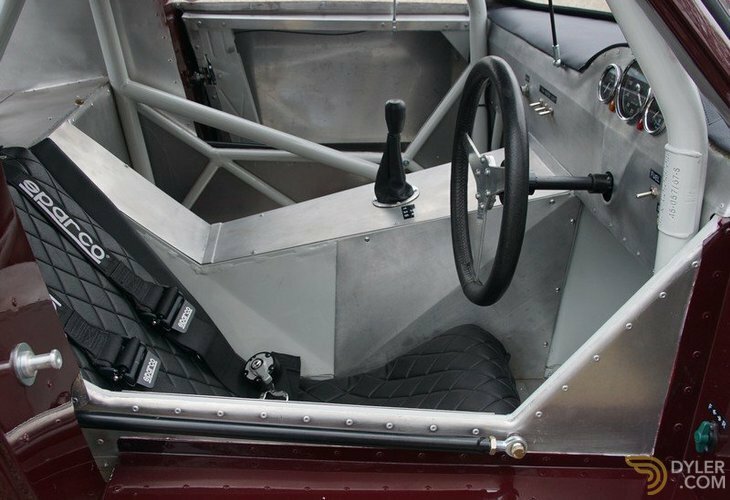 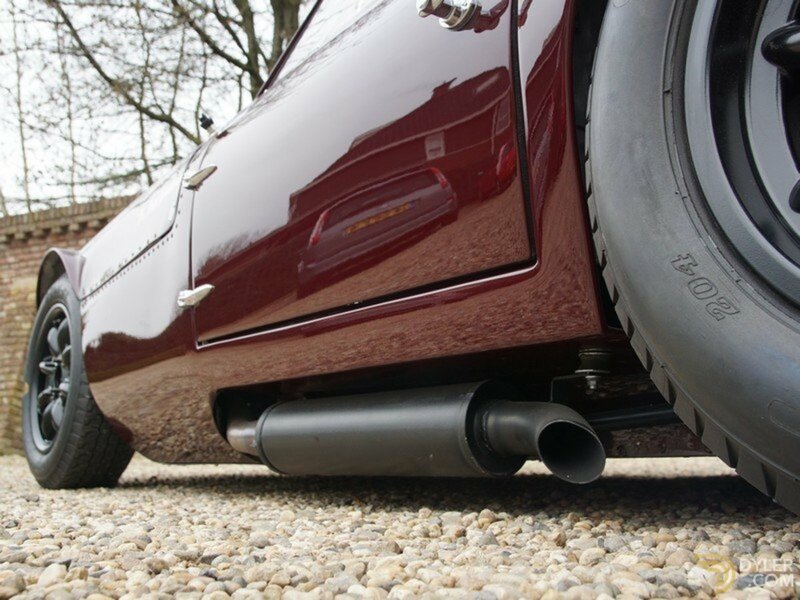 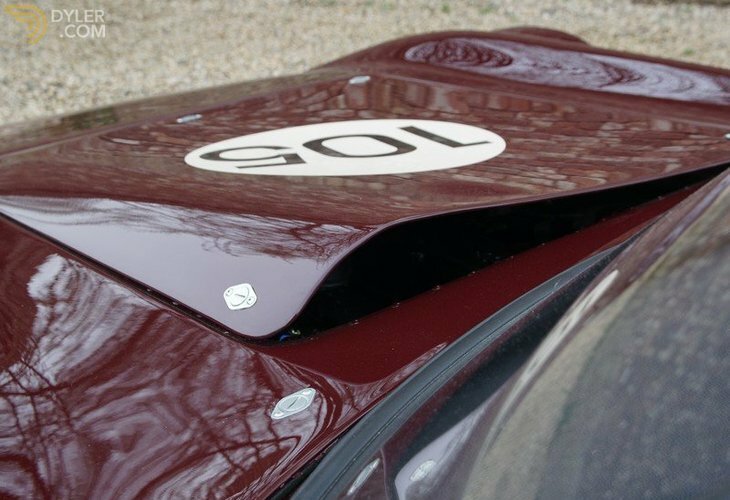 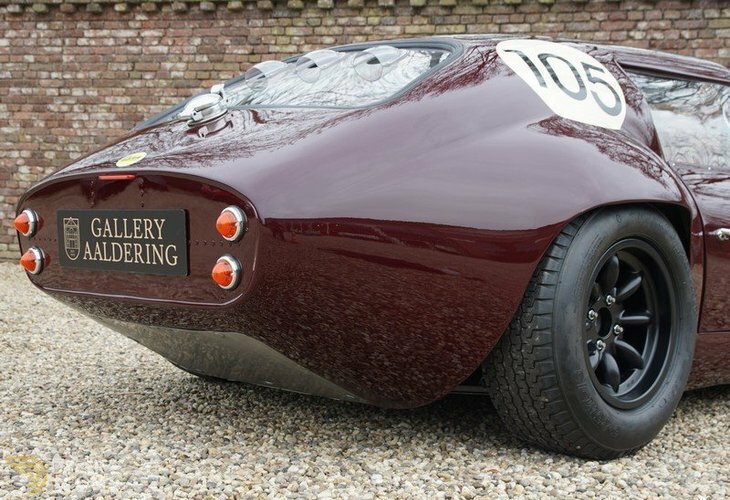 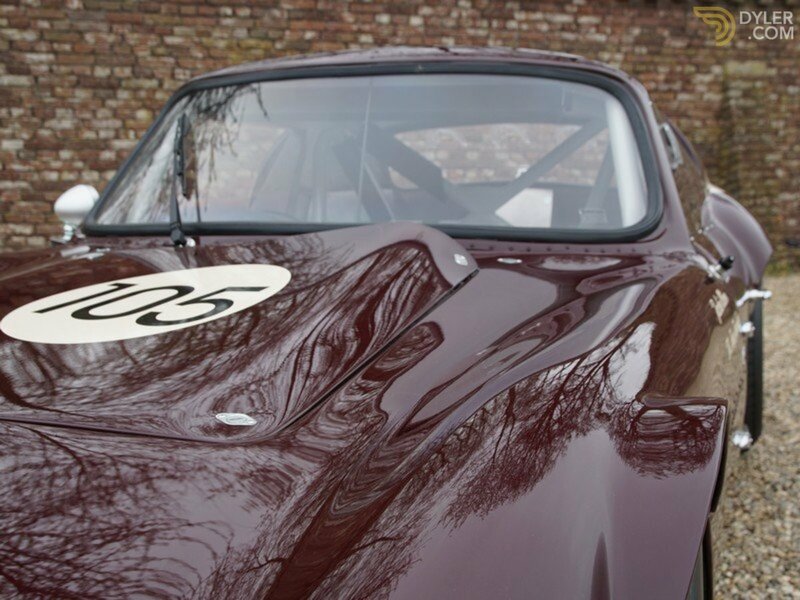 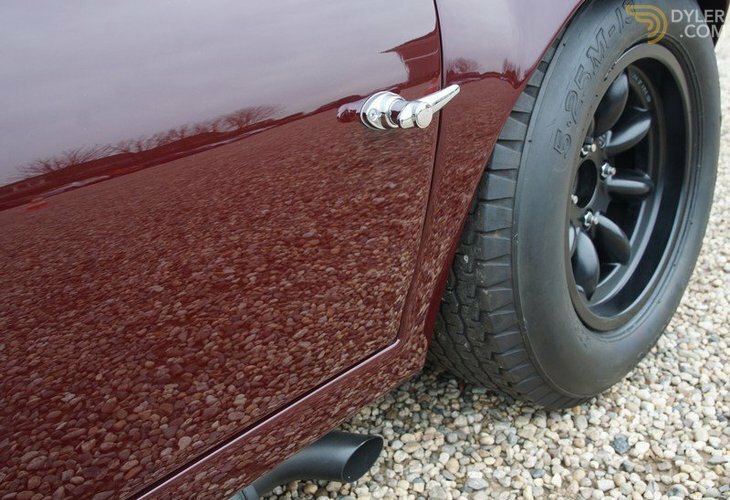 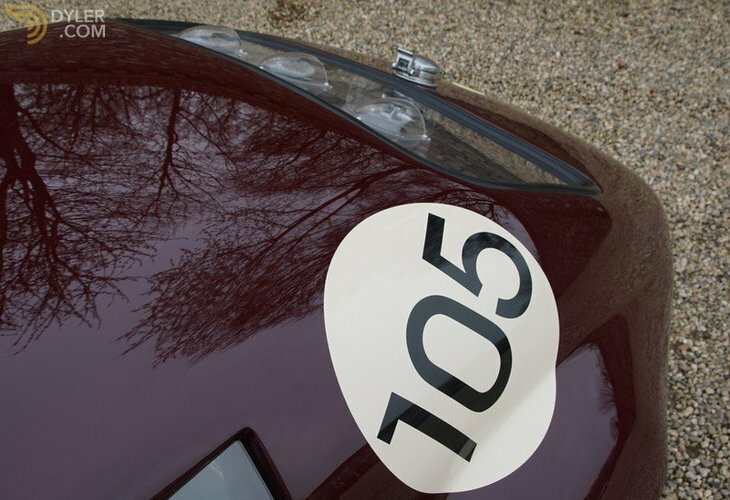 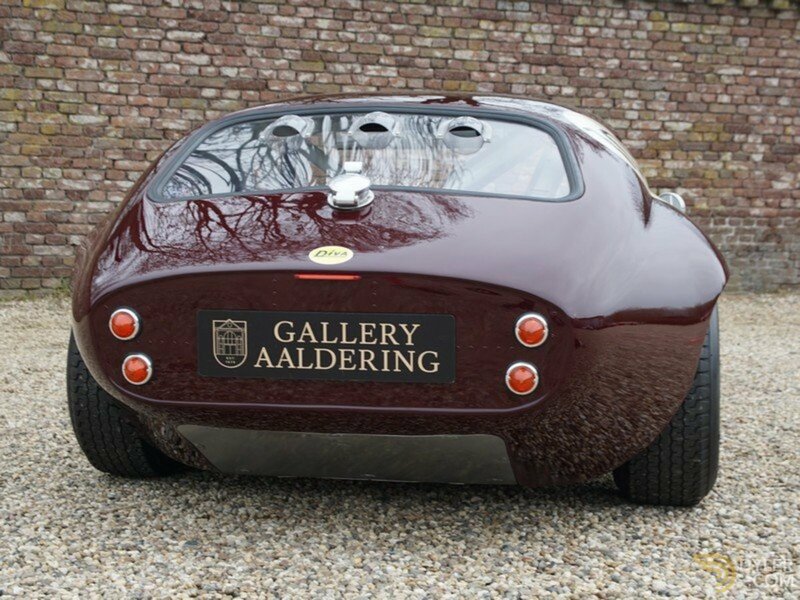 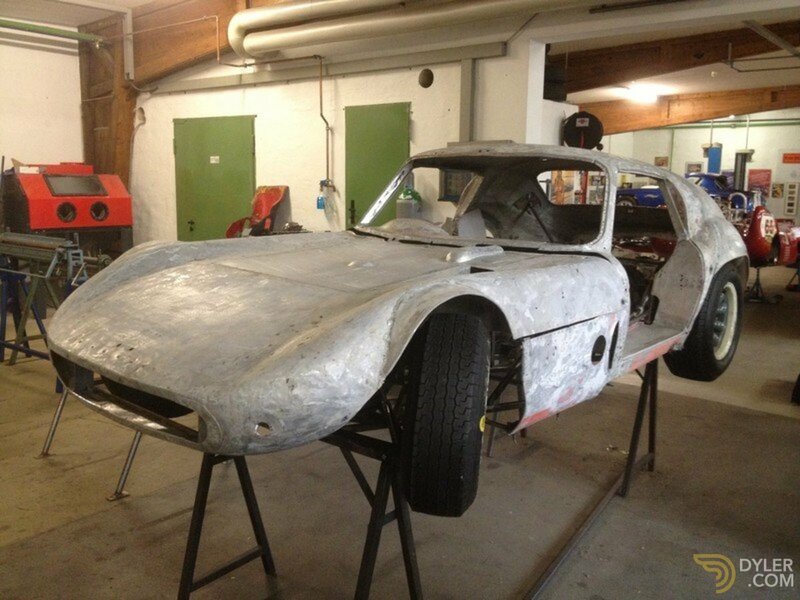 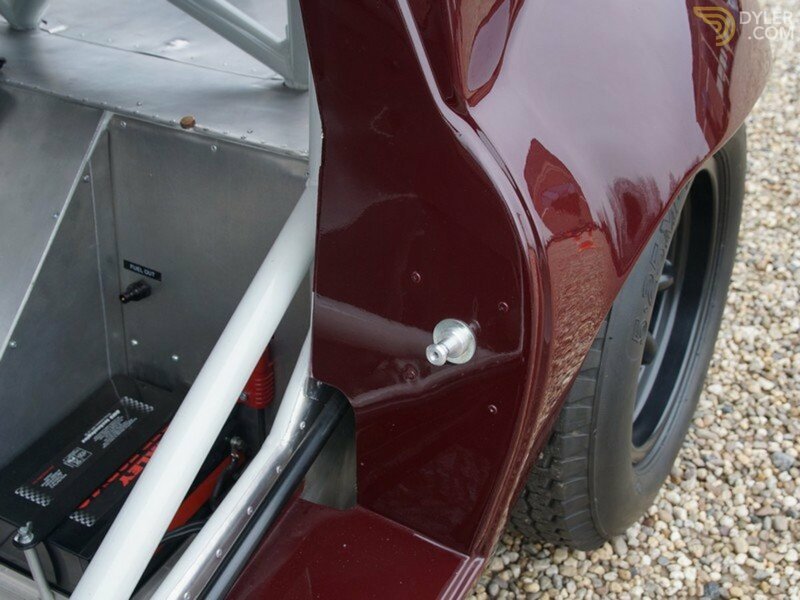 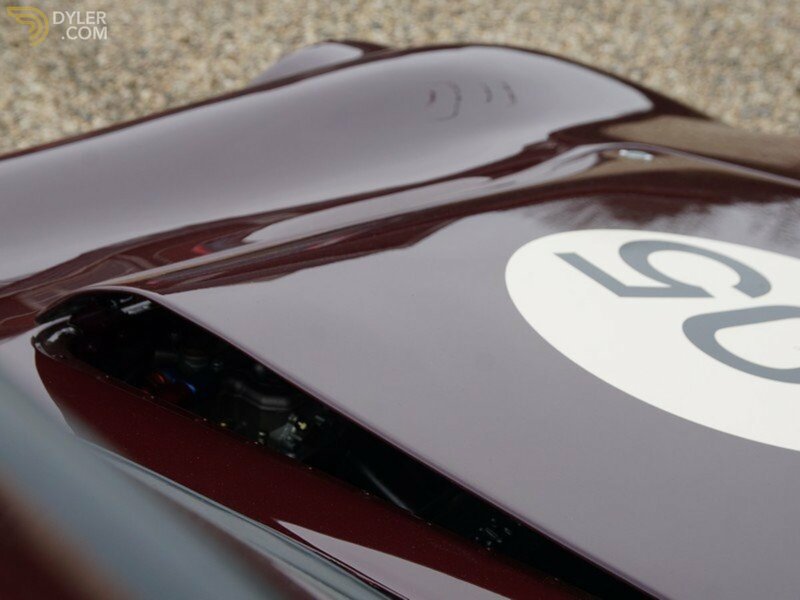 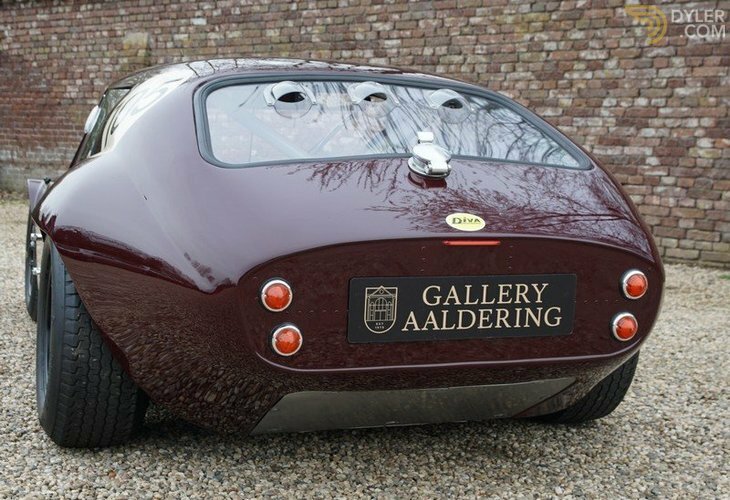 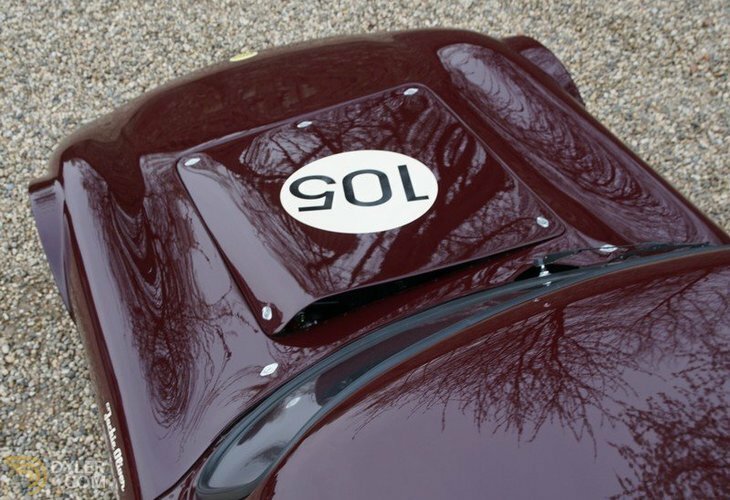 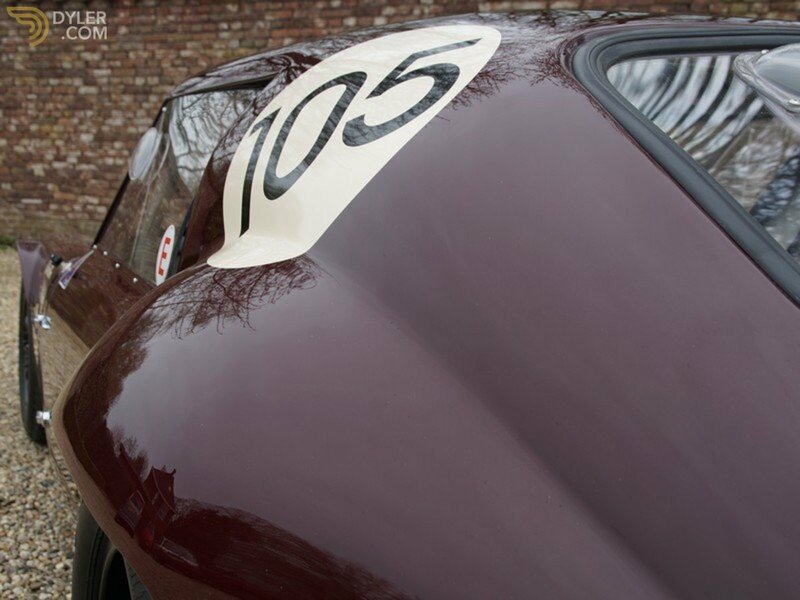 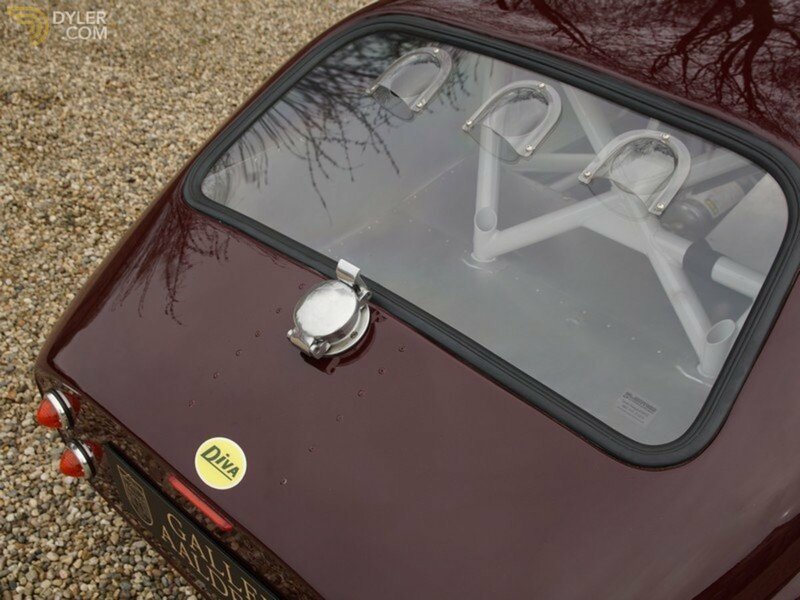 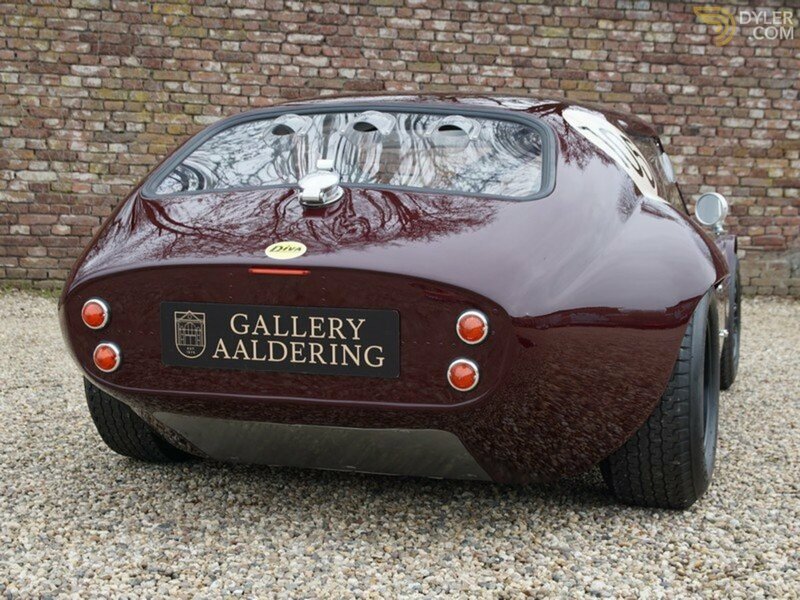 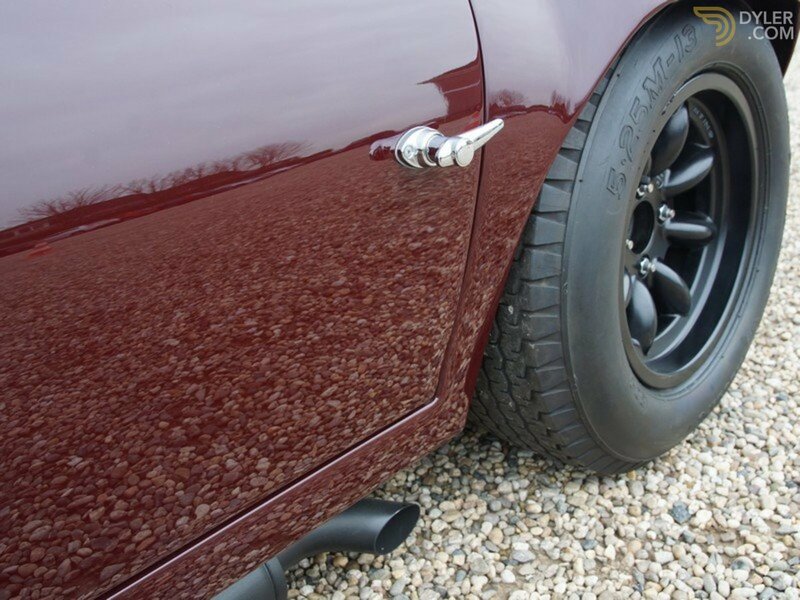 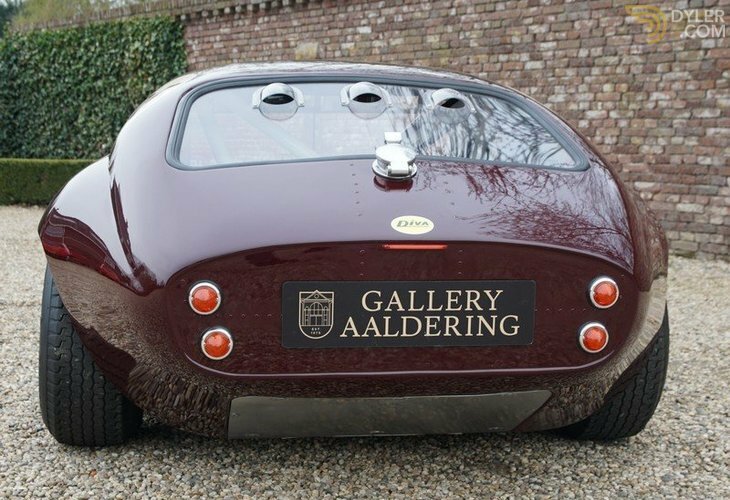 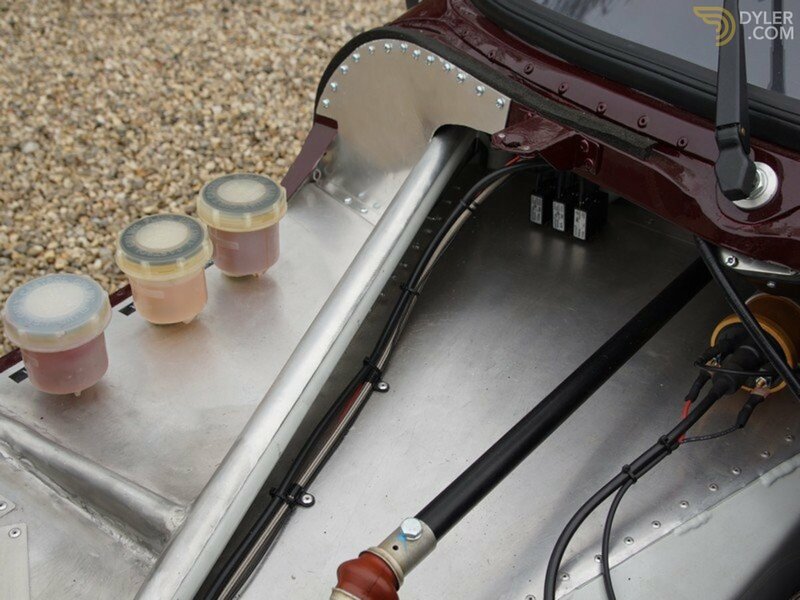 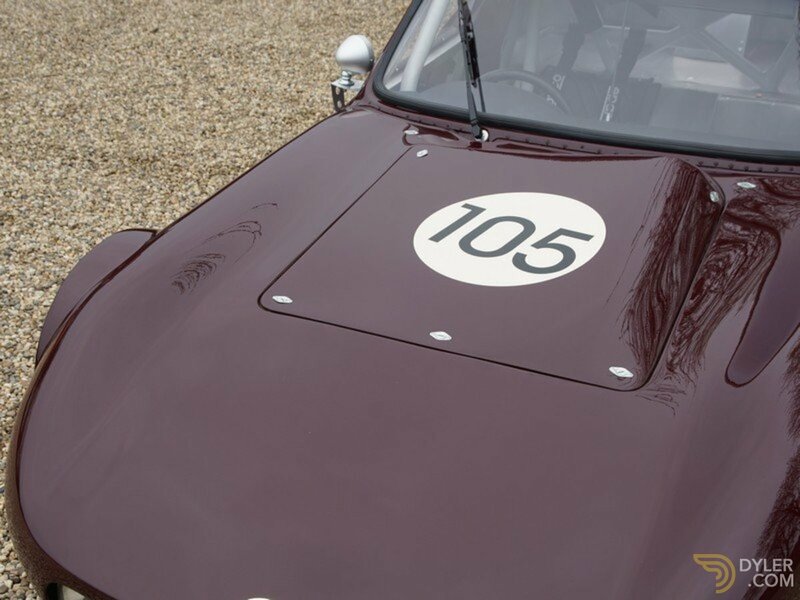 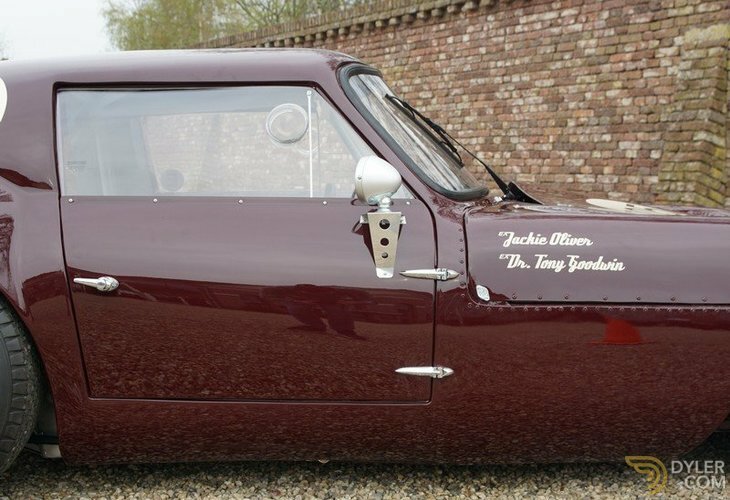 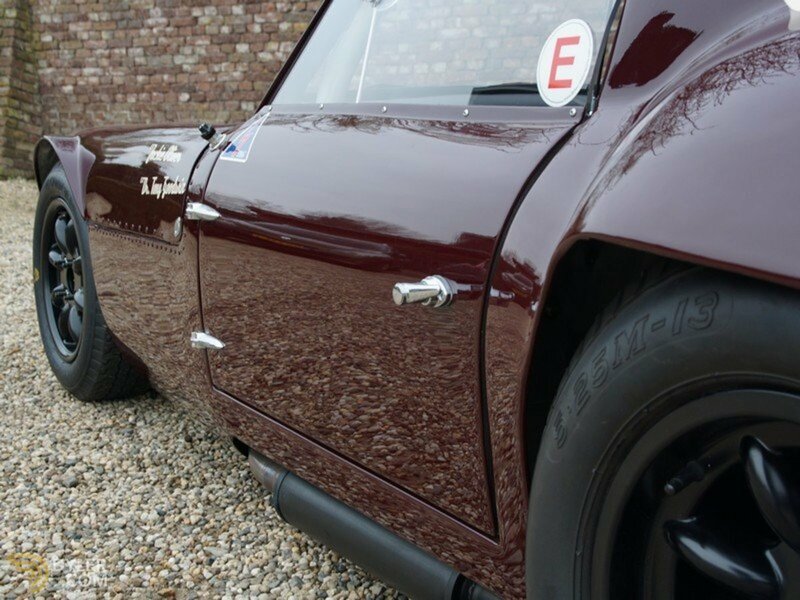 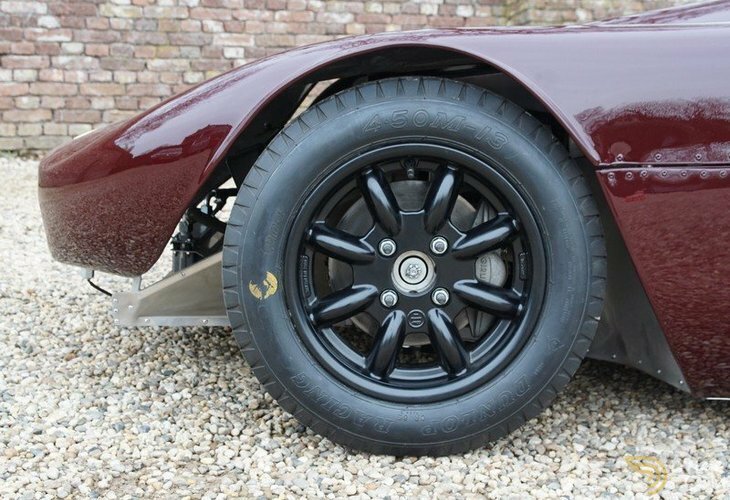 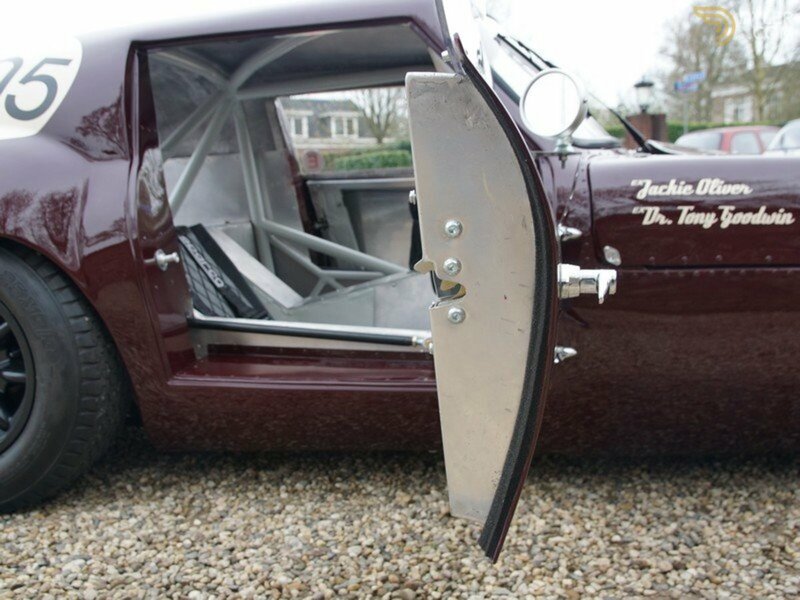 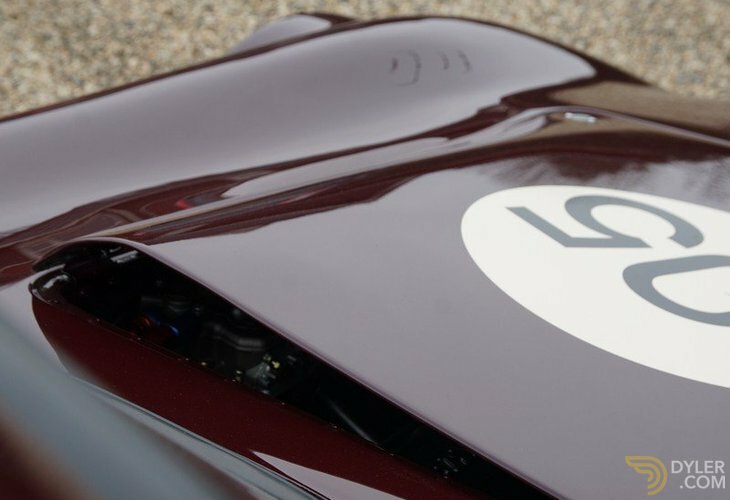 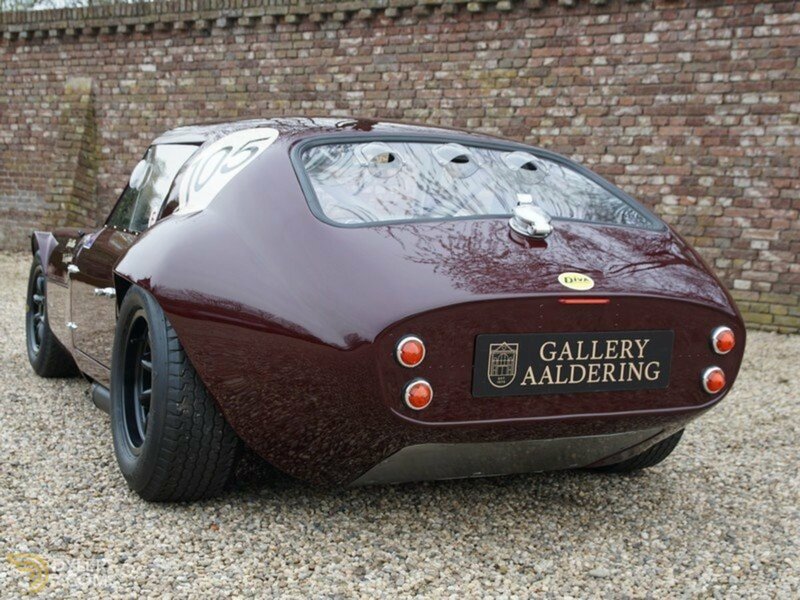 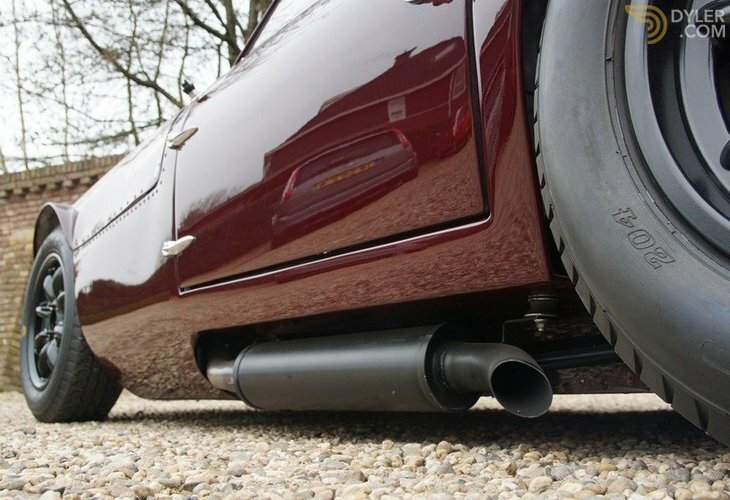 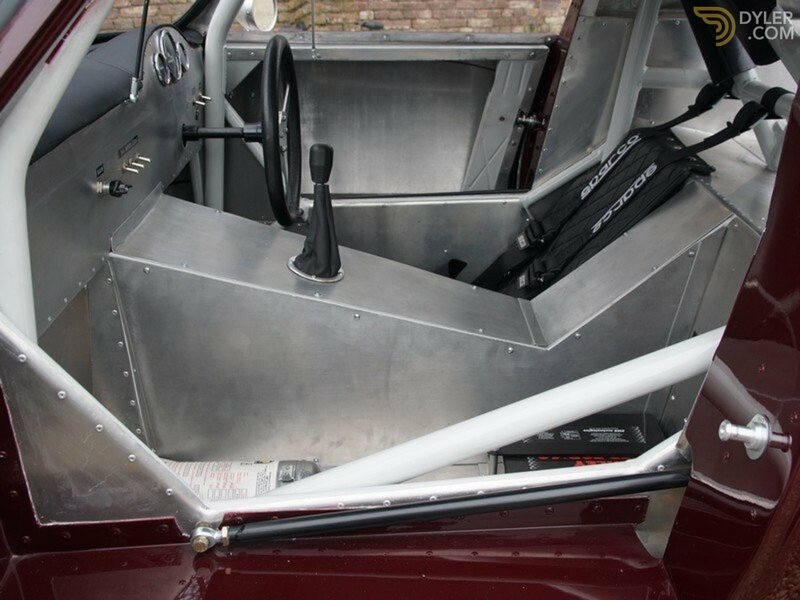 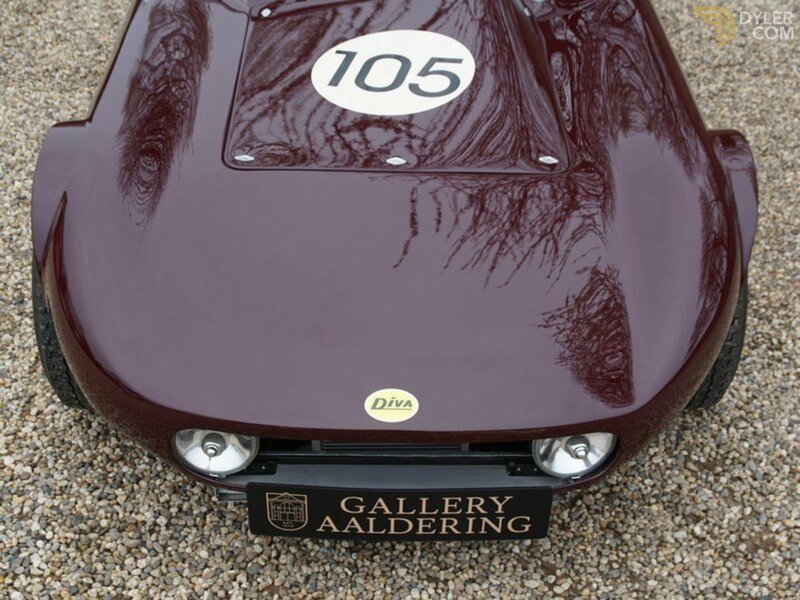 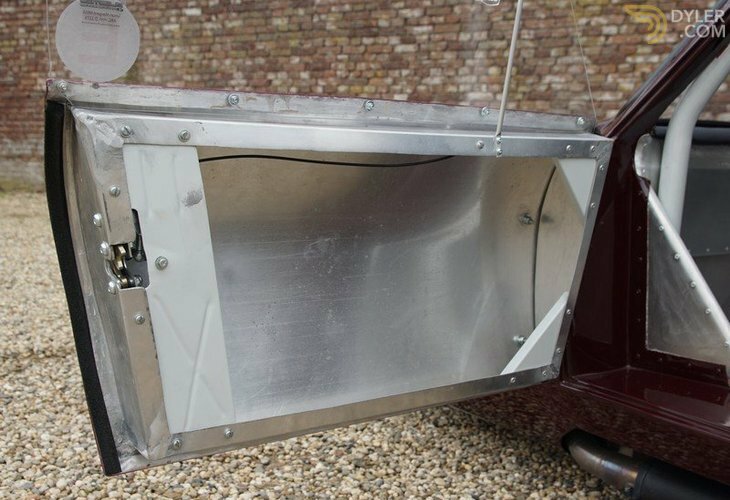 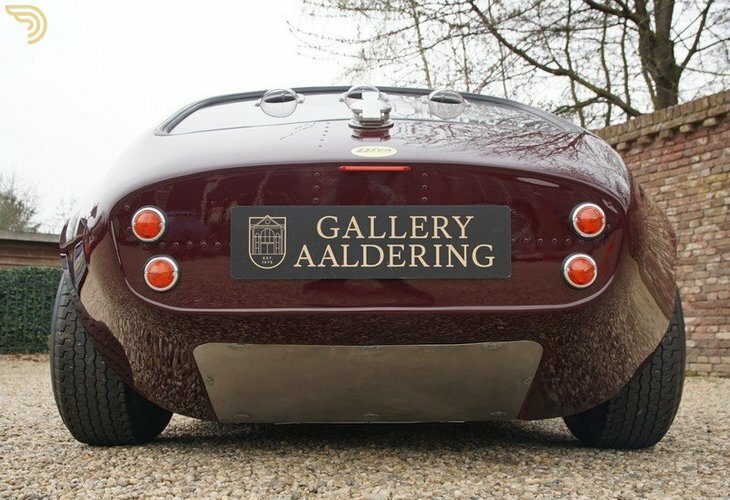 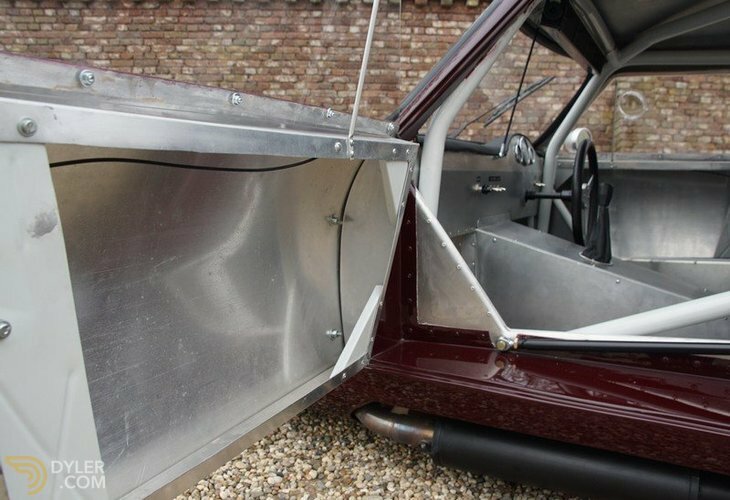 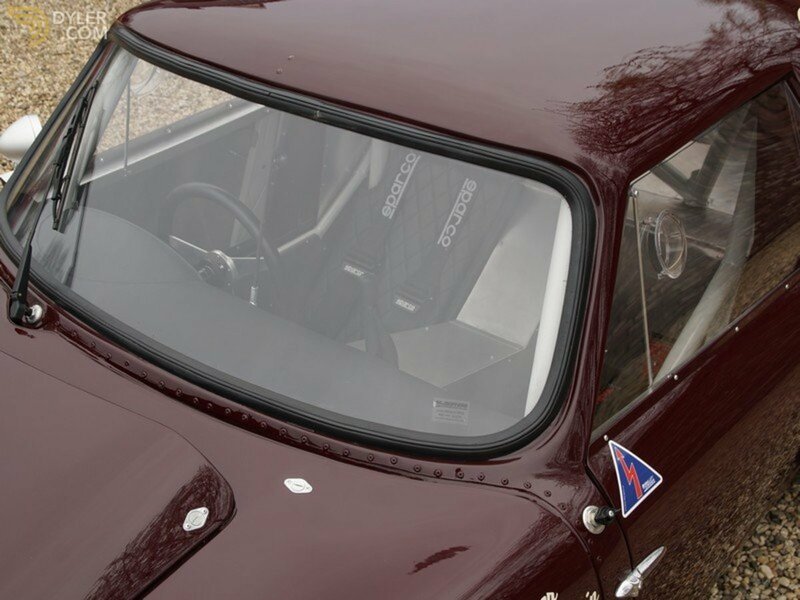 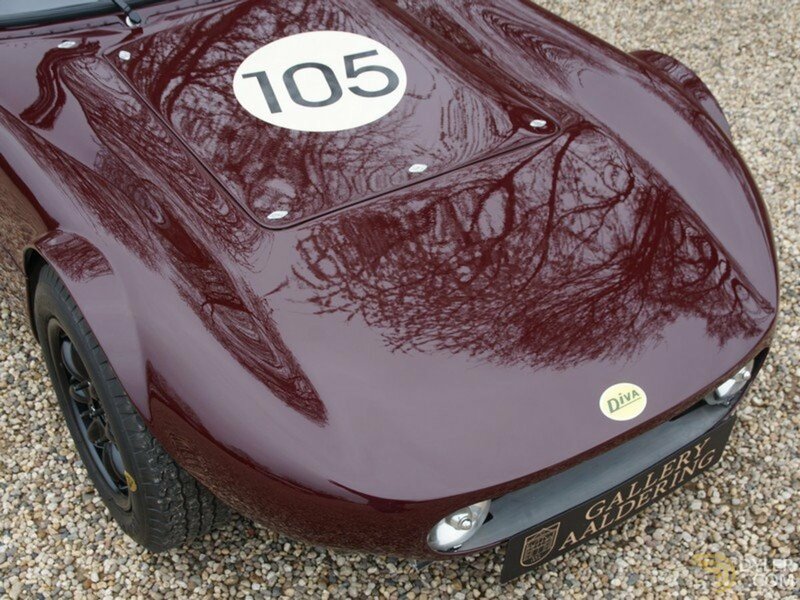 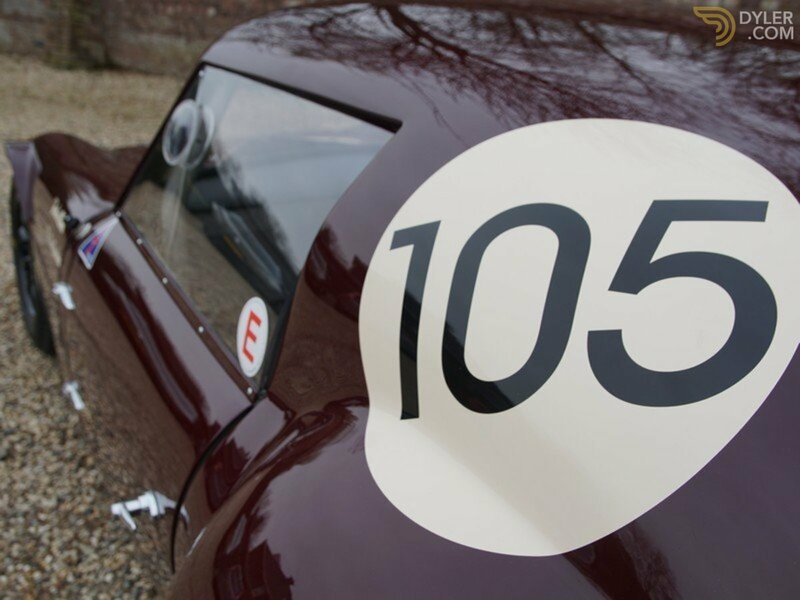 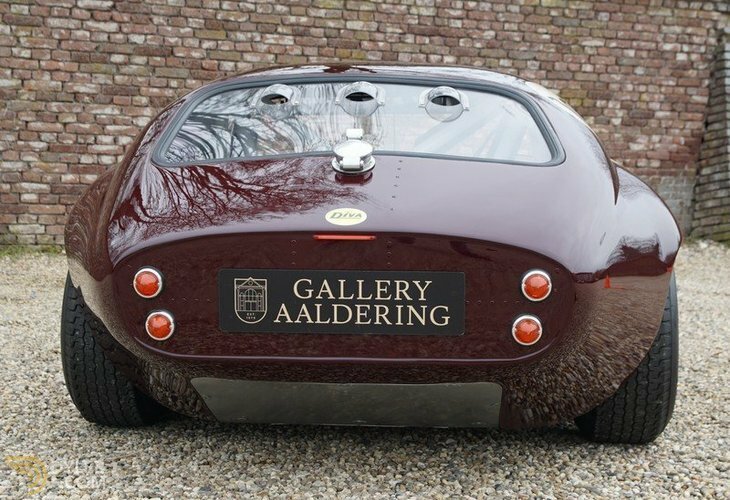 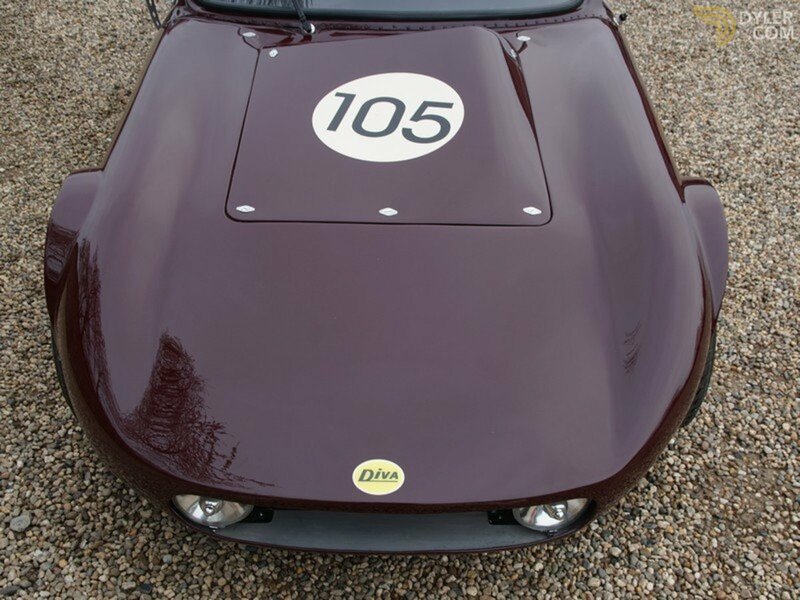 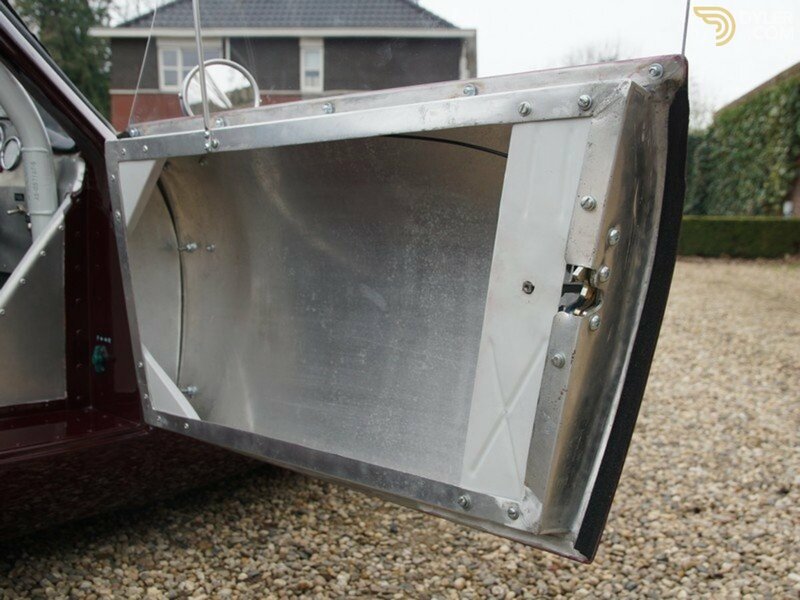 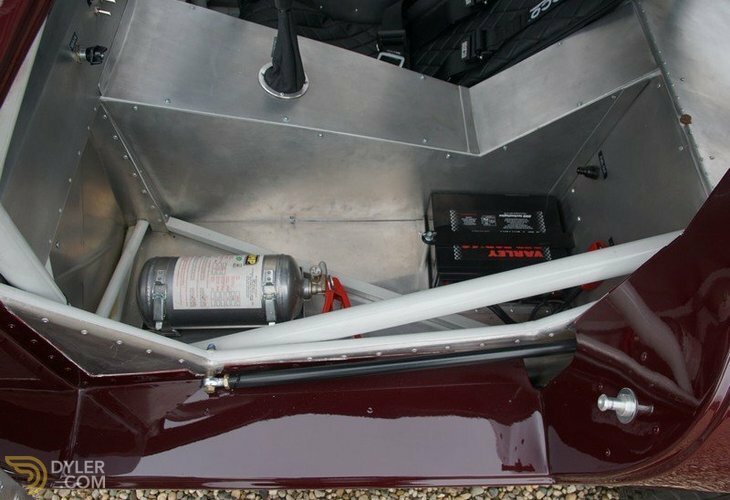 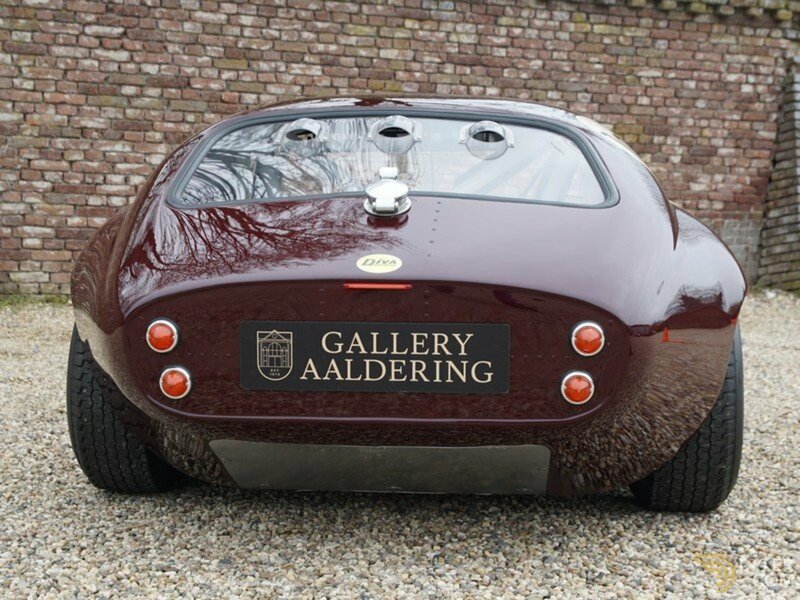 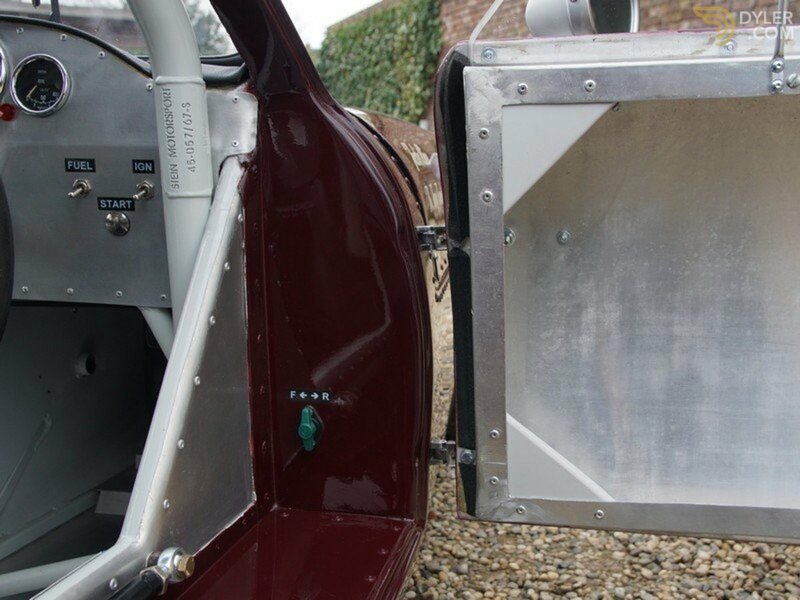 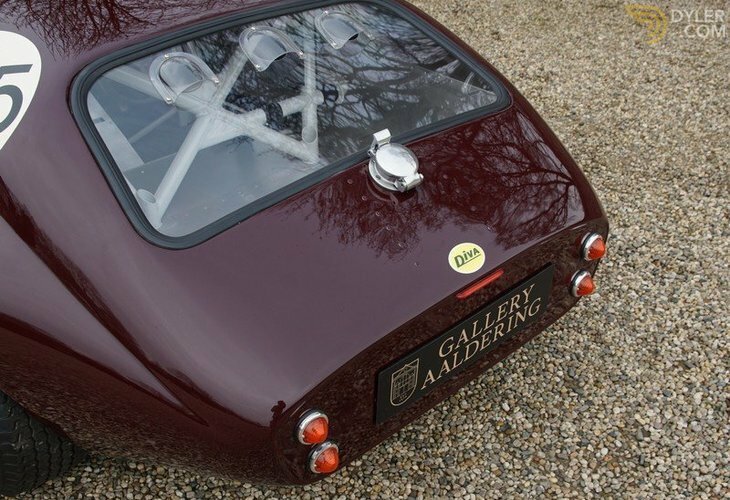 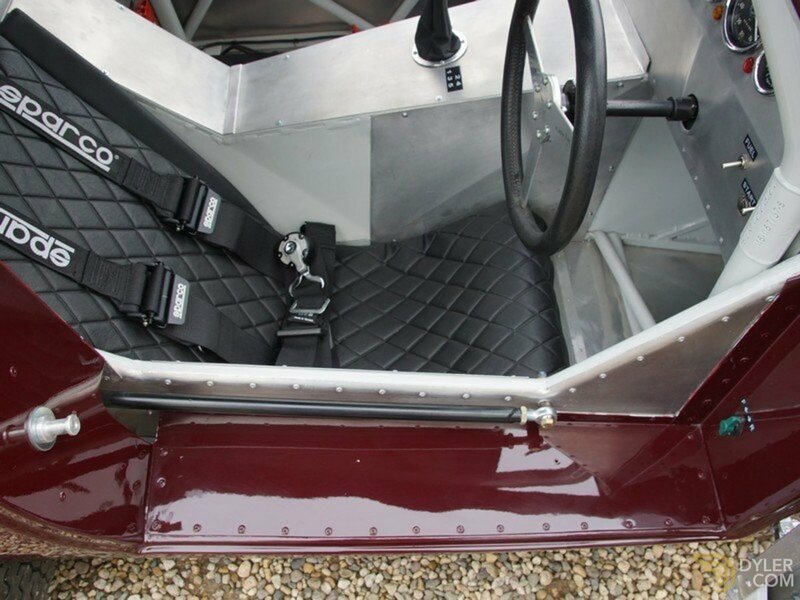 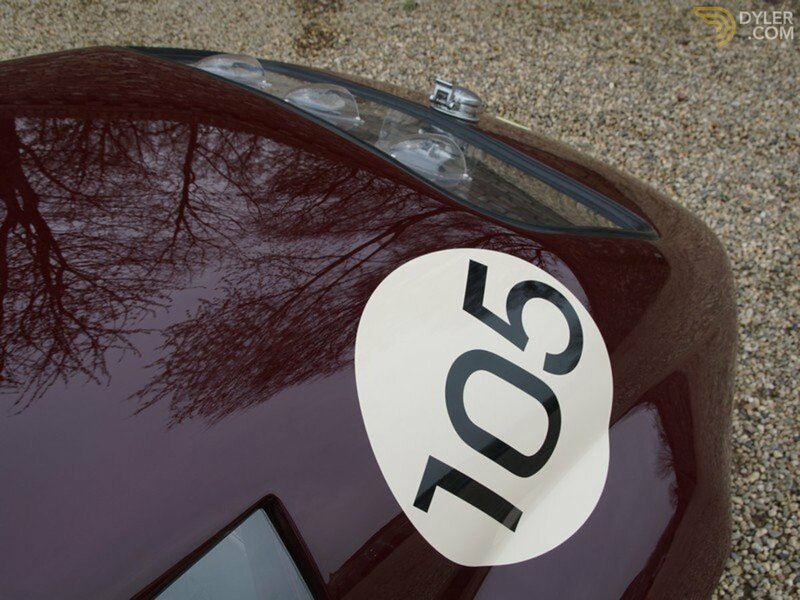 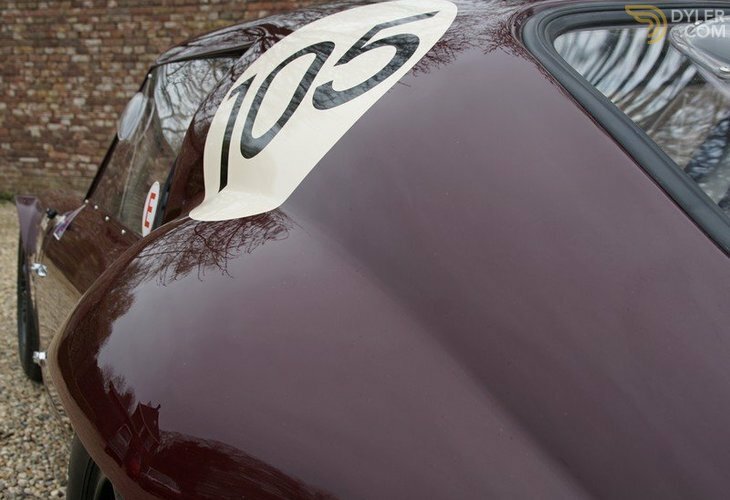 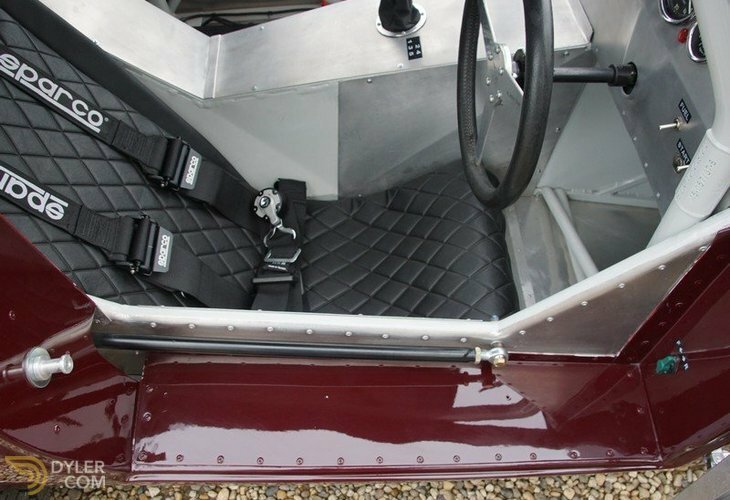 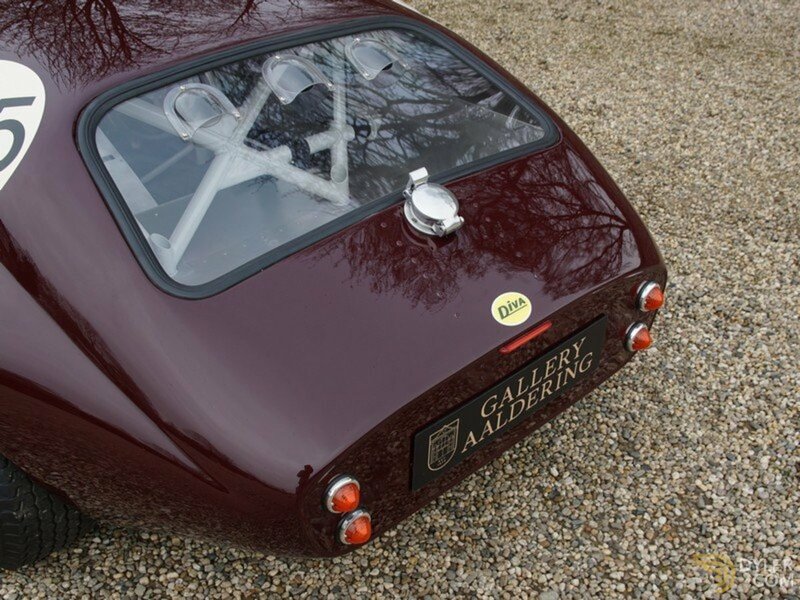 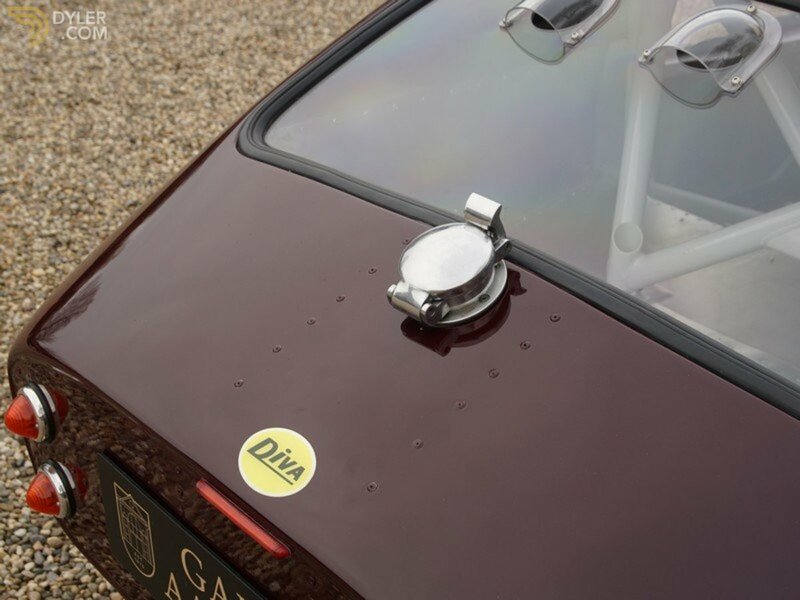 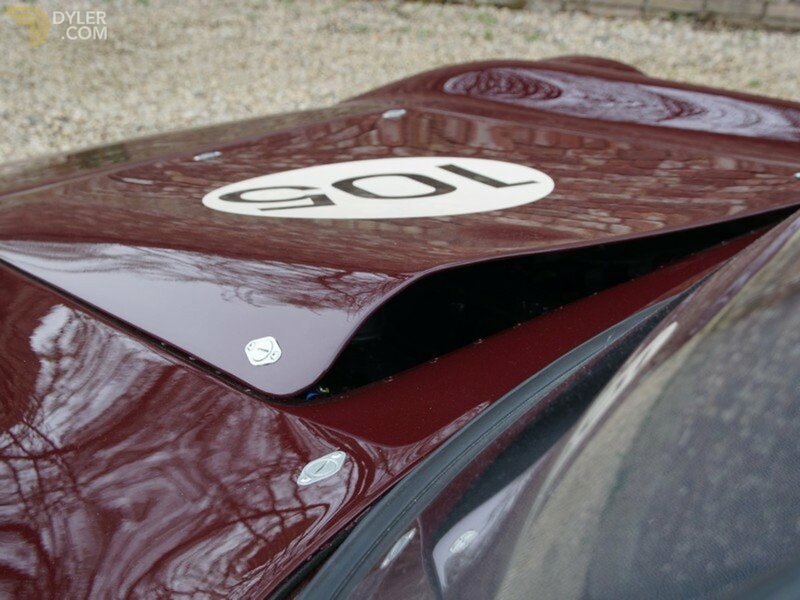 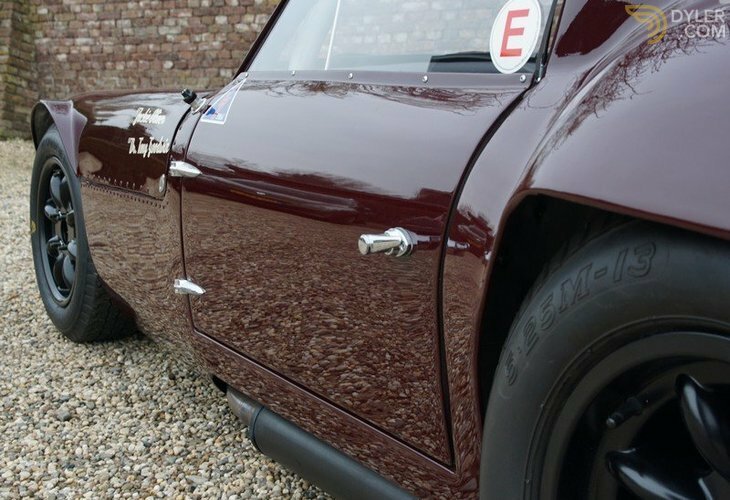 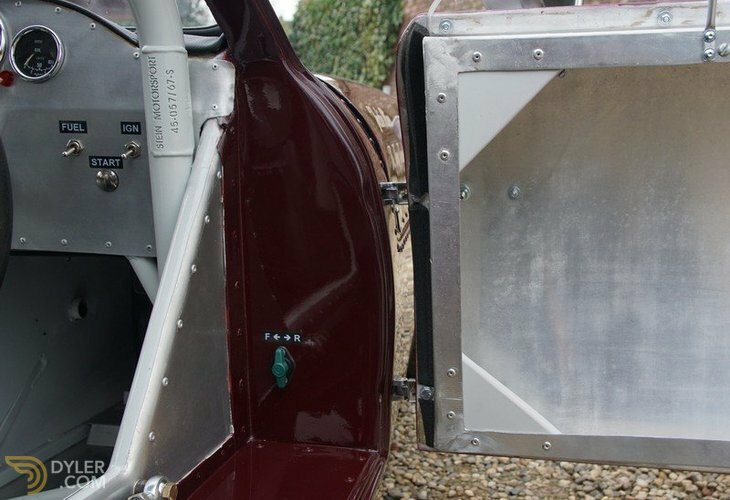 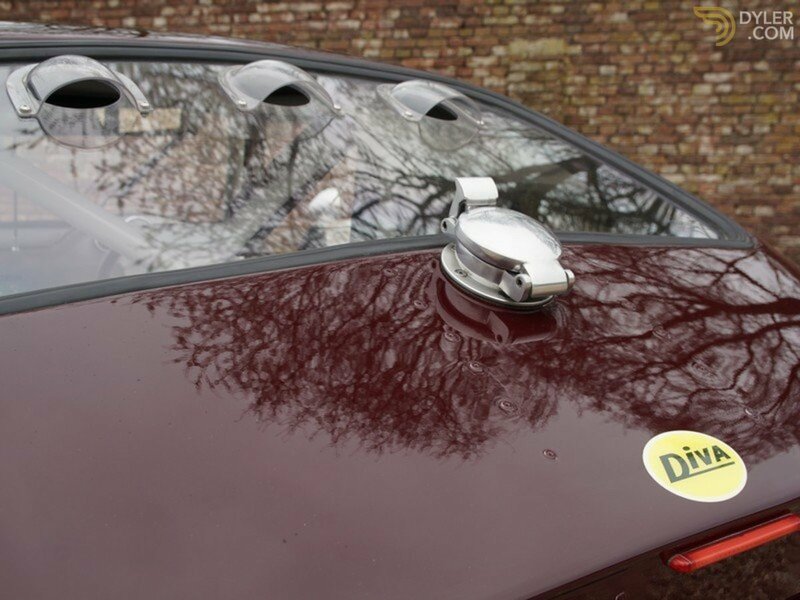 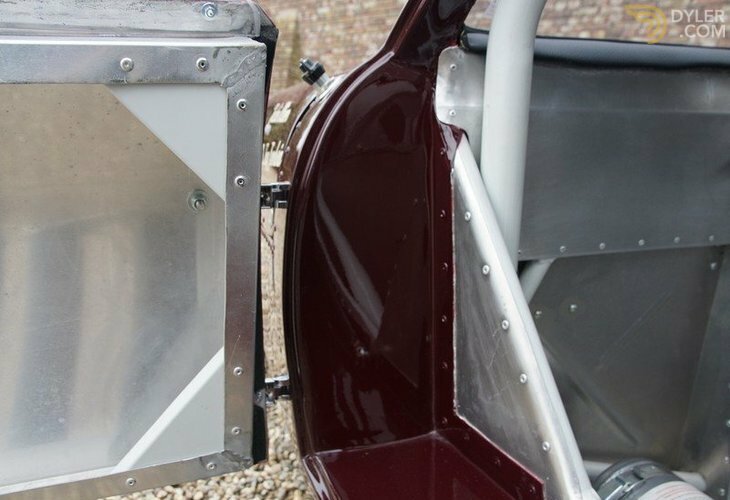 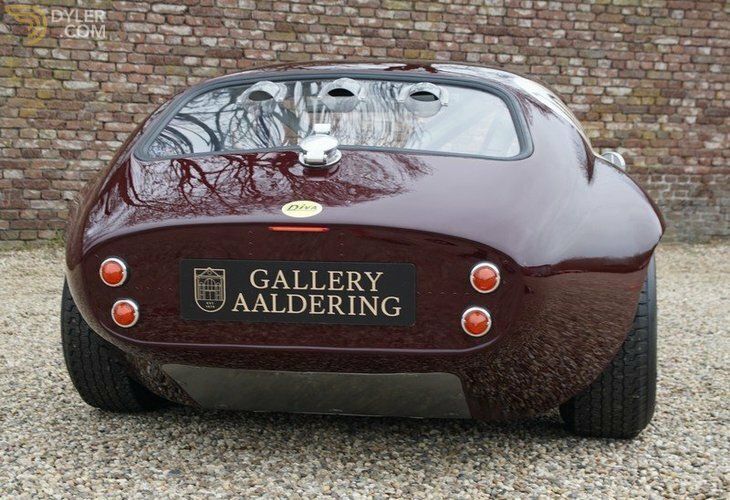 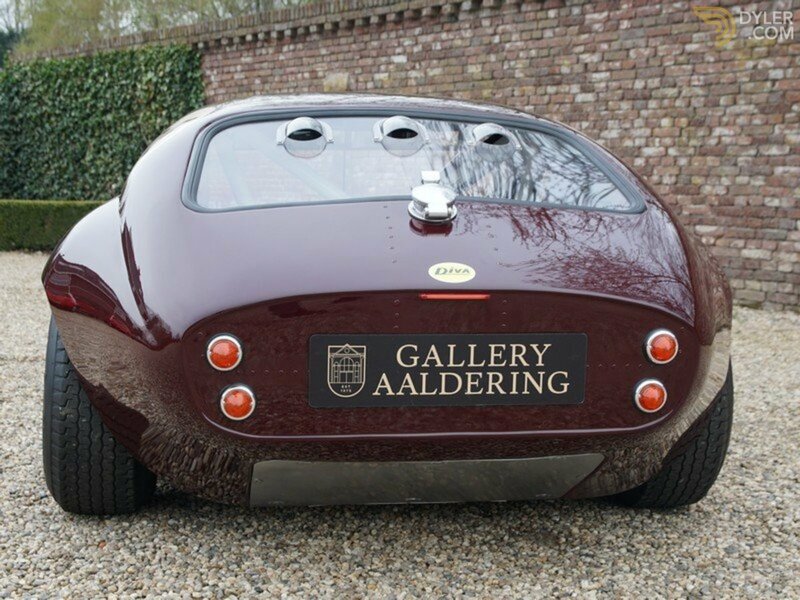 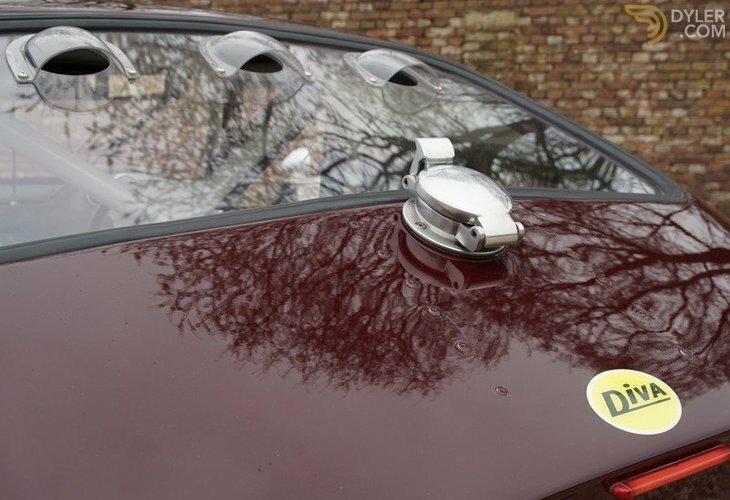 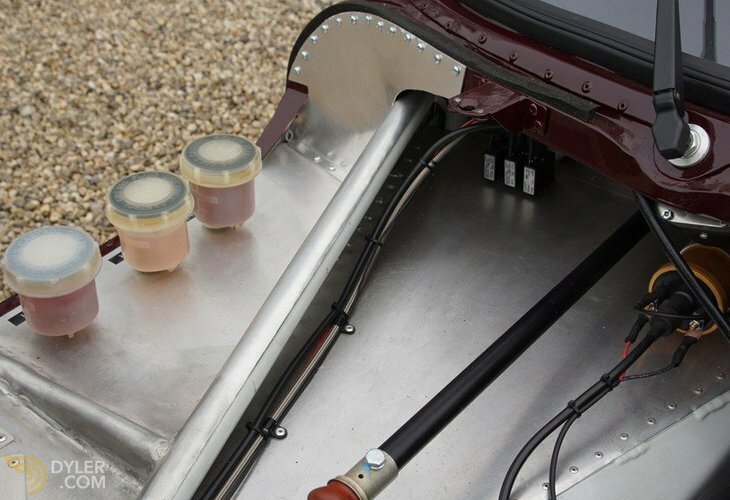 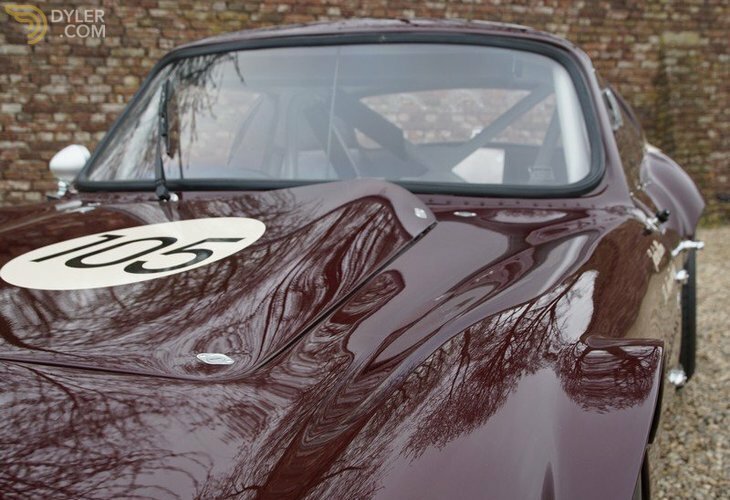 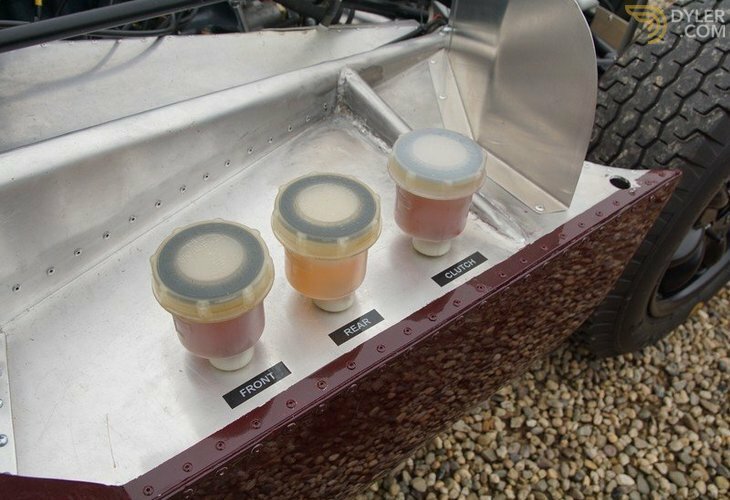 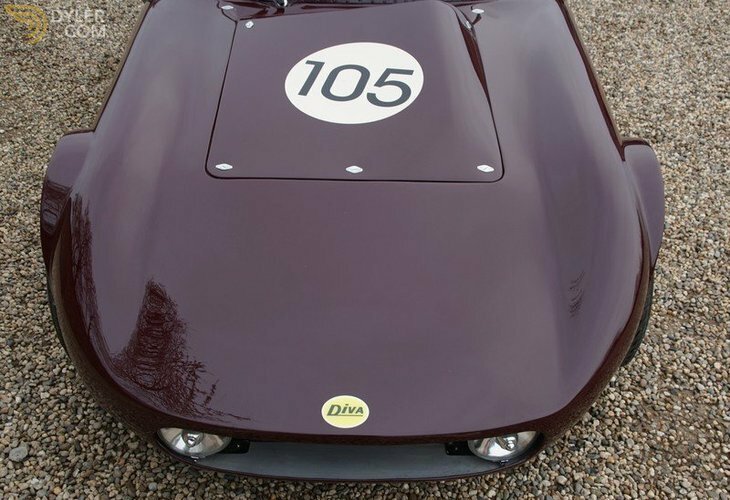 The bodywork was widened and an aluminium shell made in his fathers’ Jaguar workshop replaced the glass fibre shell. Jackie’s plans for taking part in the `64 Le Mans were thwarted by a delay in acquiring the race documents because of a protest by Triumph! 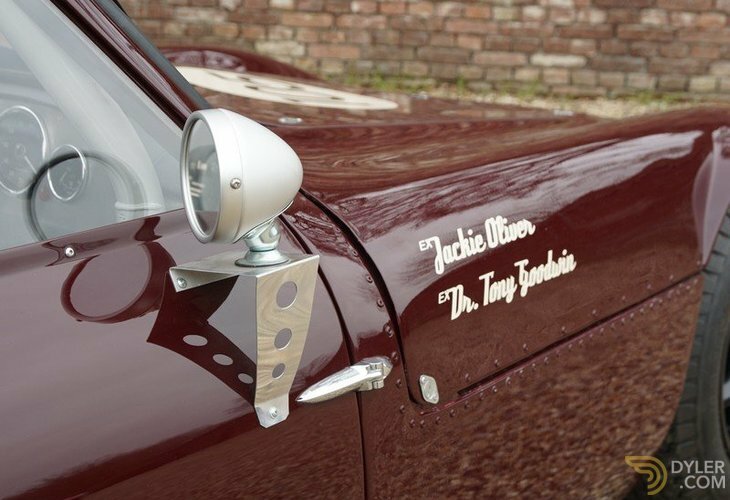 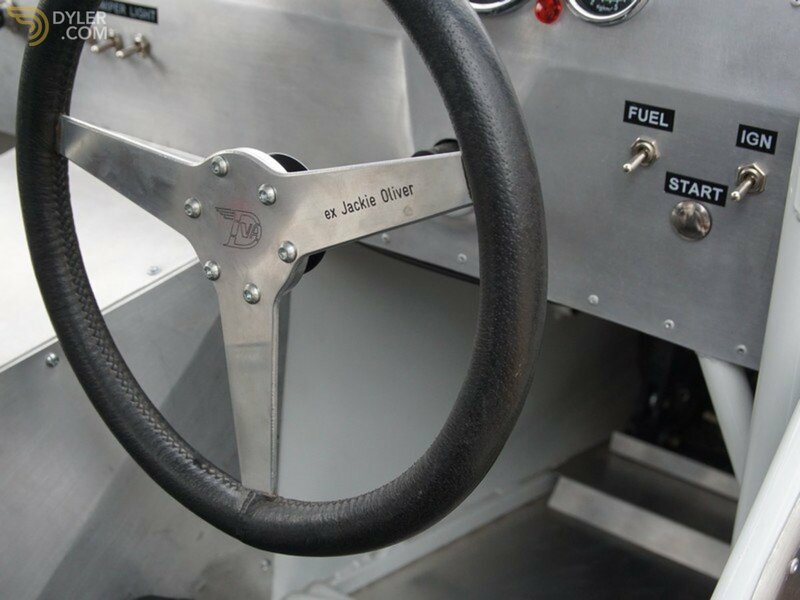 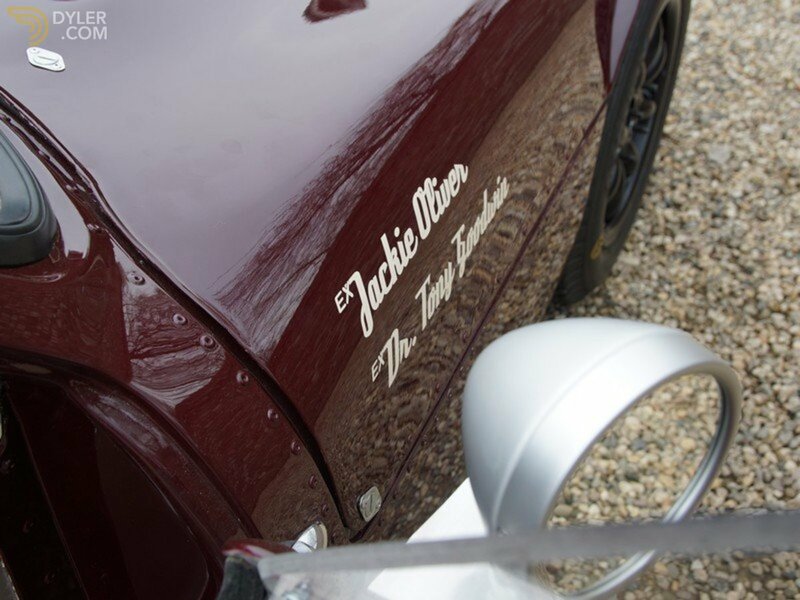 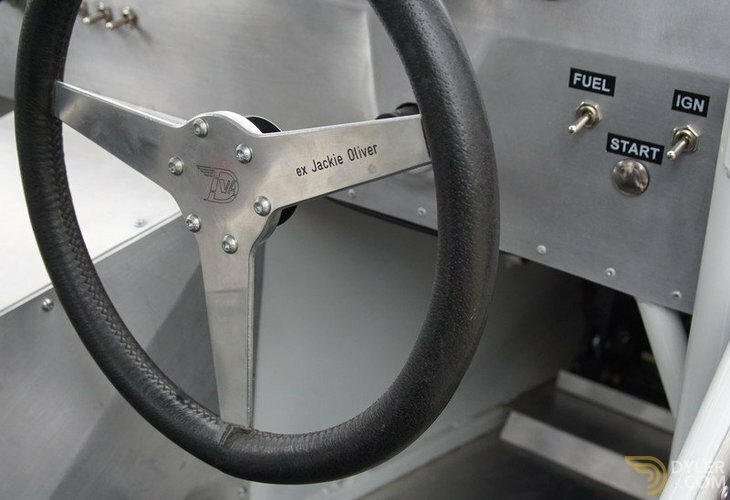 Until the end of 1964 Jackie raced the Diva with success. 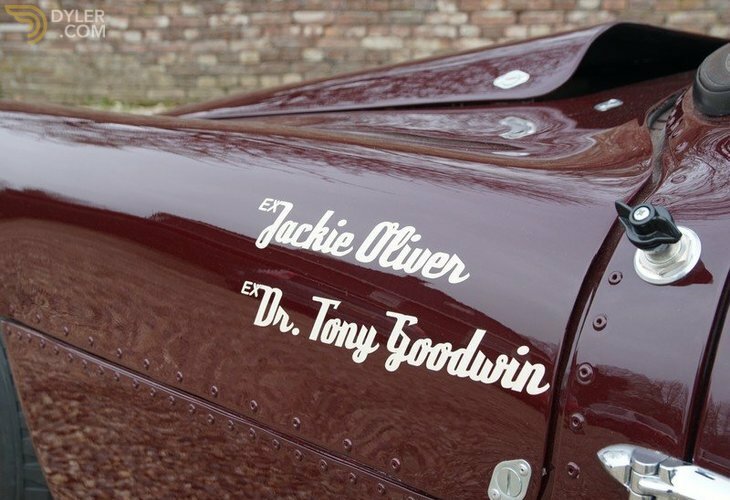 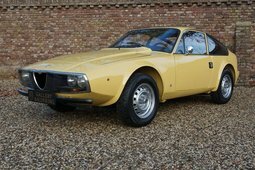 He then sold the car to Tony Goodwin, who subsequently raced the car successfully on many occasions until 1979. 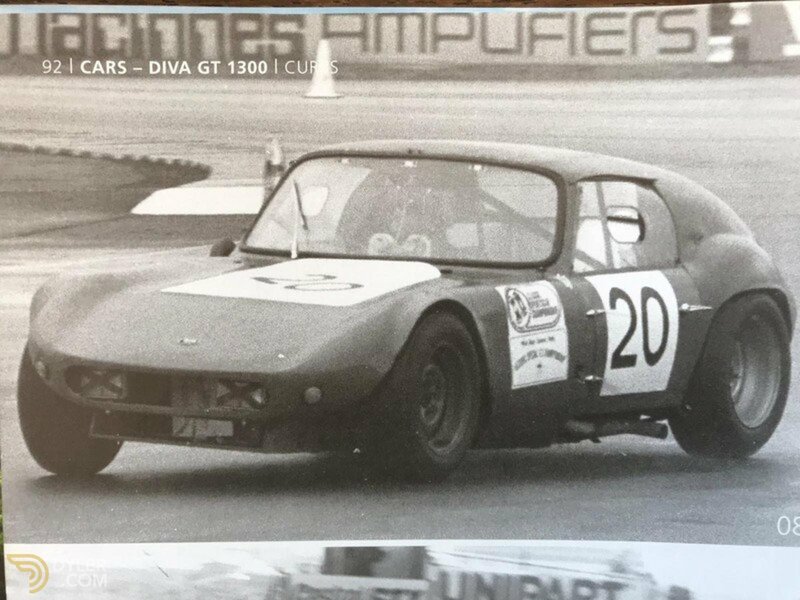 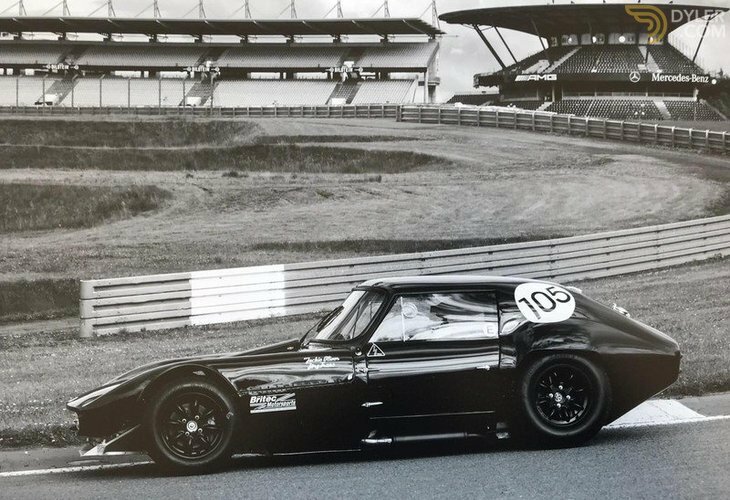 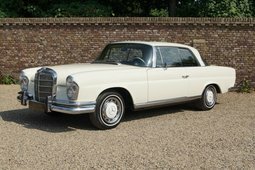 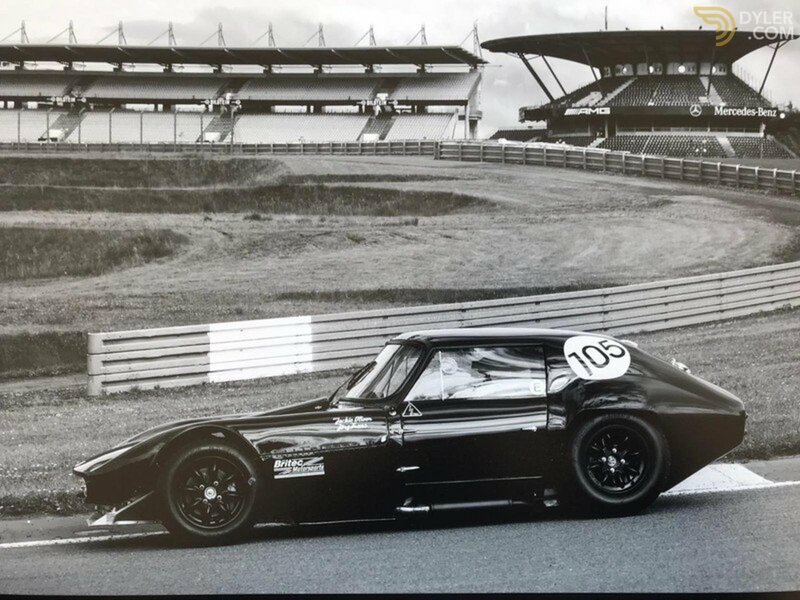 This cars’ greatest achievements are; 1963 winner of the John Davy Trophy, 1963 winner of the Nurburgring 1000km, `64 & `65 1st & 2nd Redex Trophy, 1966 winner of the Scottish GT championship, 1967 British Eagle International Trophy winner, 1967 Wills International Trophy, winner of the 1968 Nurburgring 1000km Guards International Trophy, global winner of the 1979 and 1983 1979 H.S.C.C. 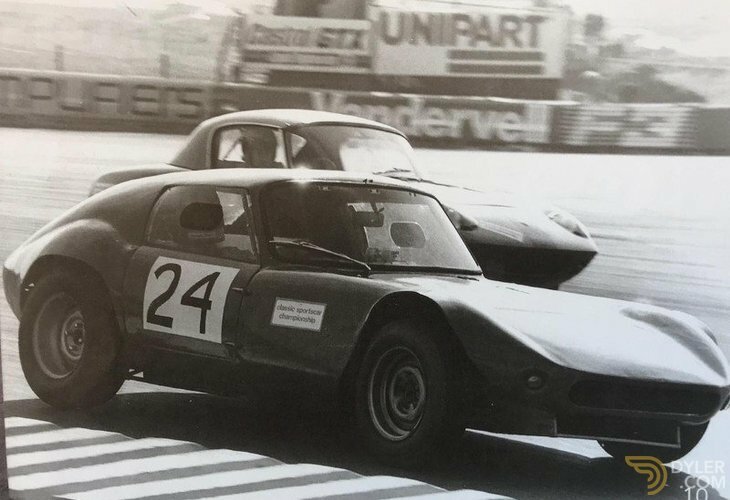 Grand Prix Models Classic Sports Car Championship in addition to over another 200 national victories! 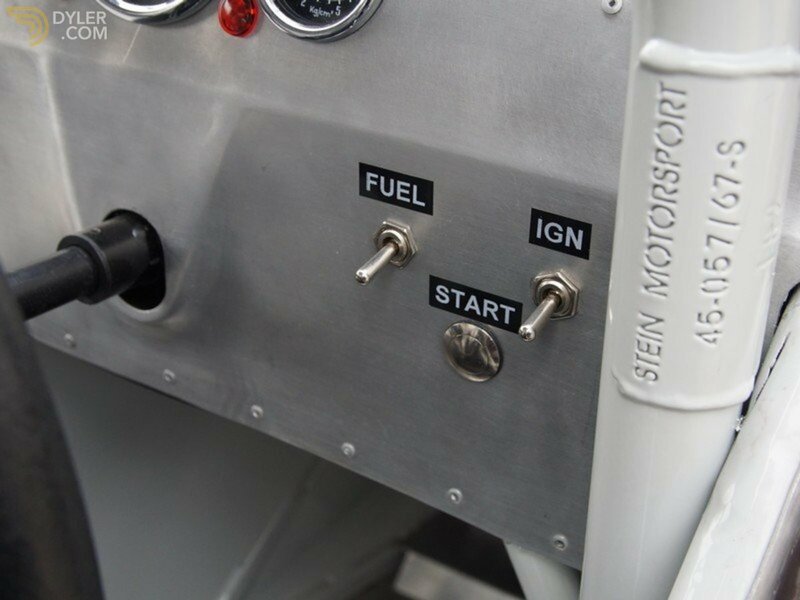 Naturally all these racing achievements have been fully documented. 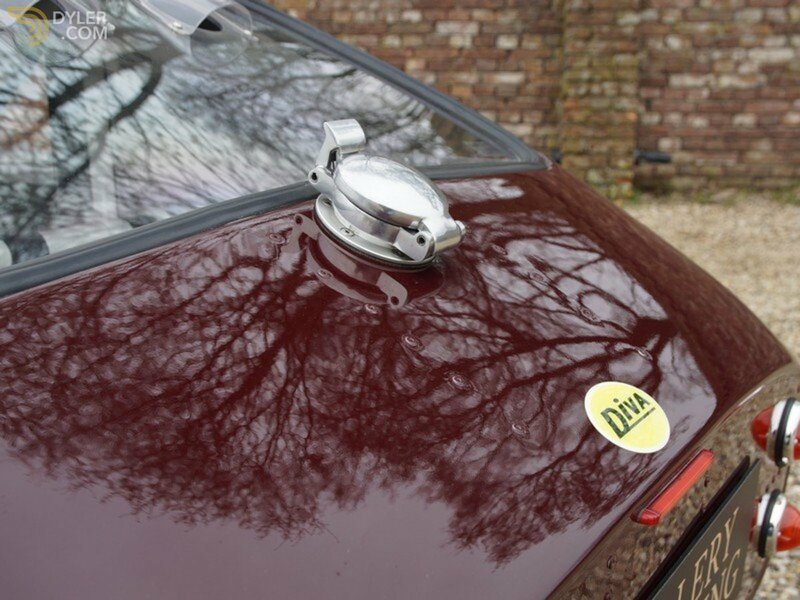 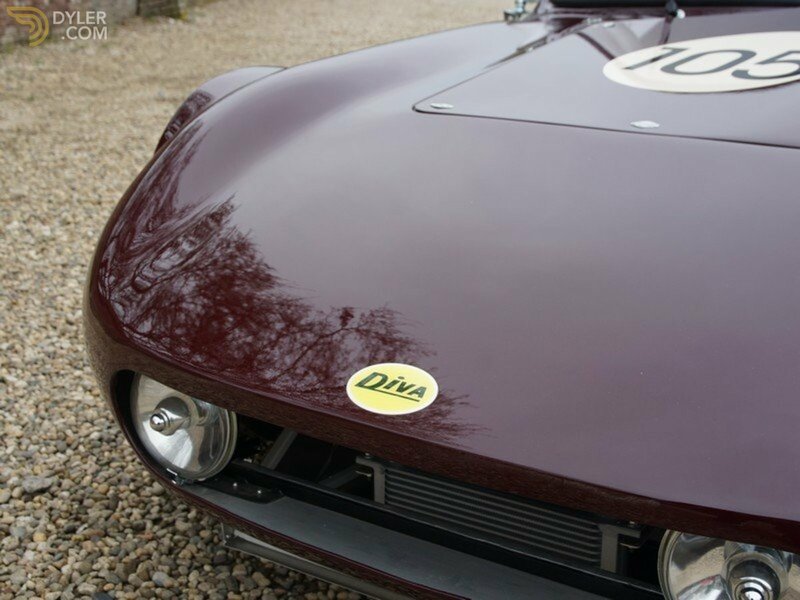 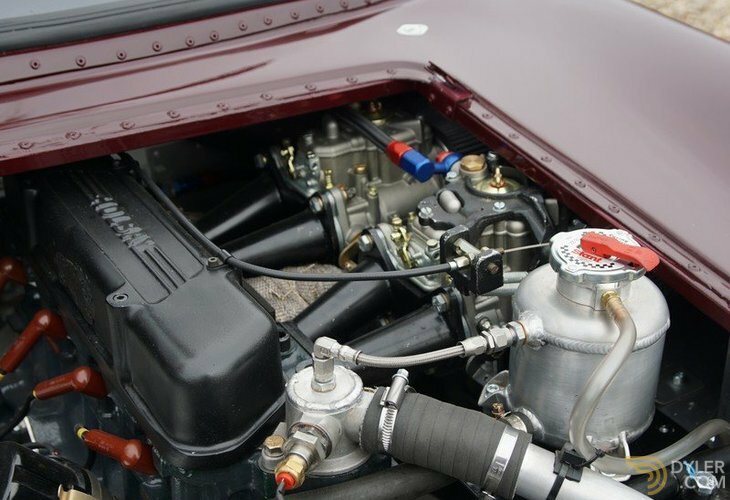 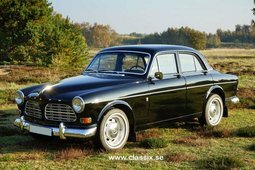 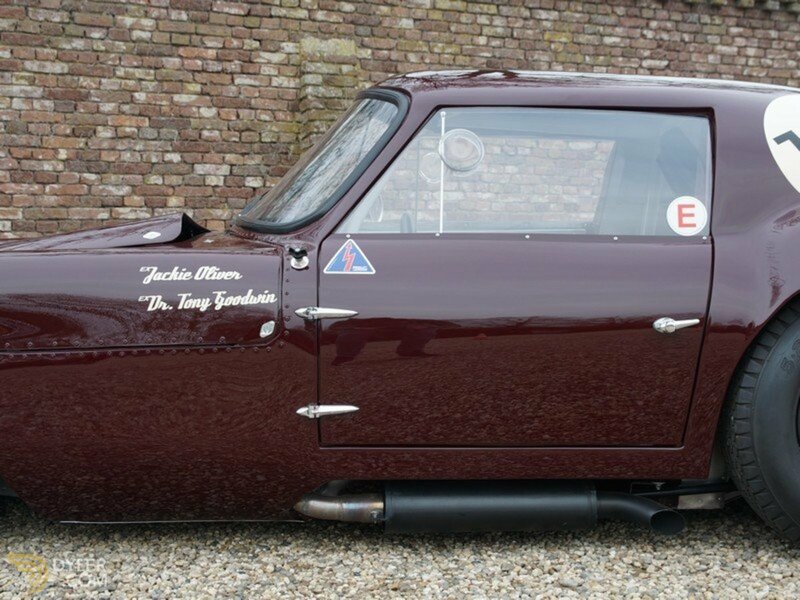 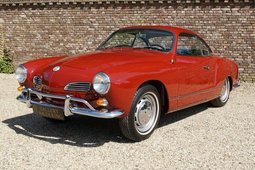 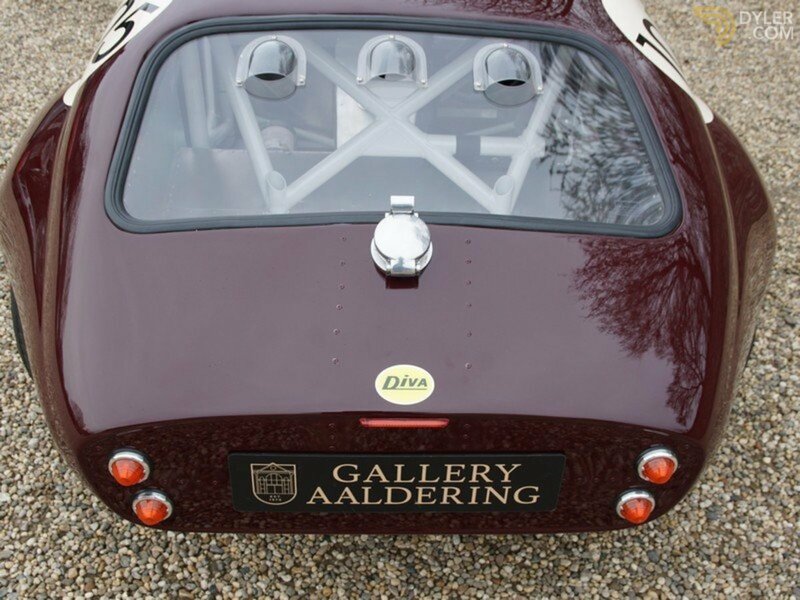 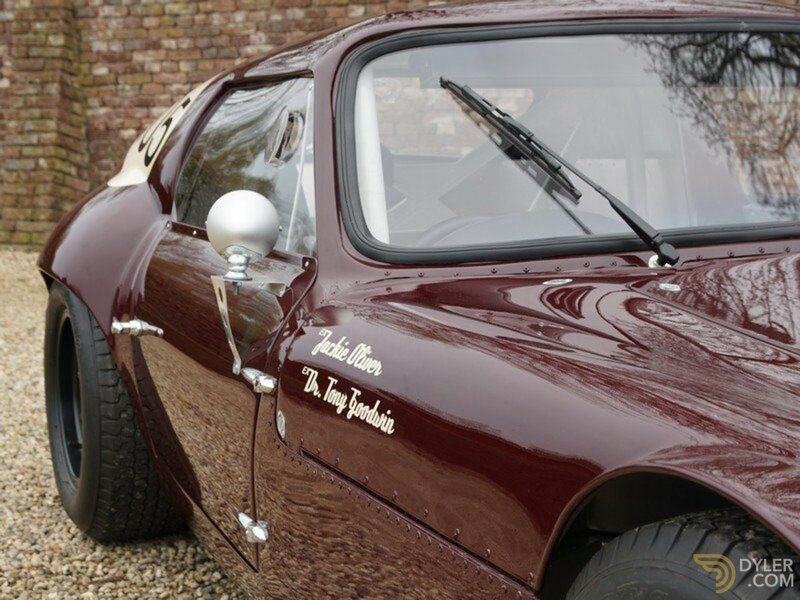 This Diva is especially unique because of its racing provenance and mechanics. 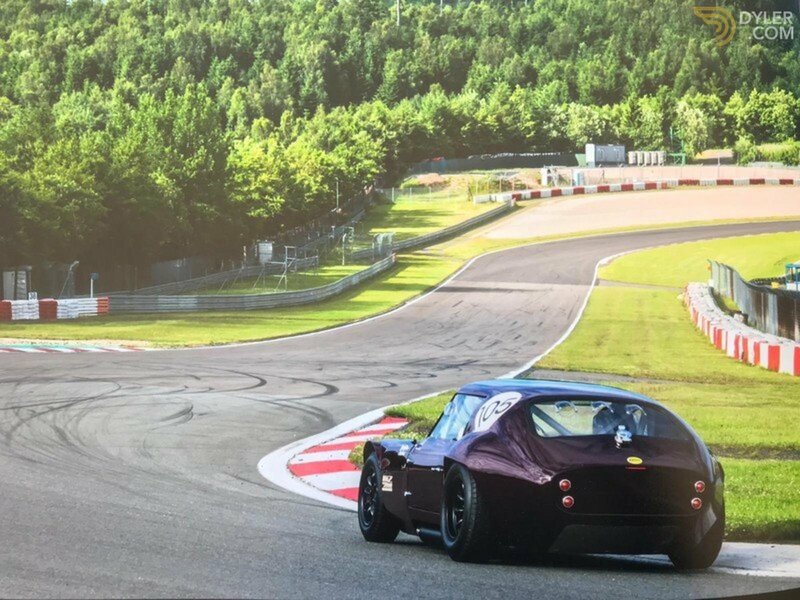 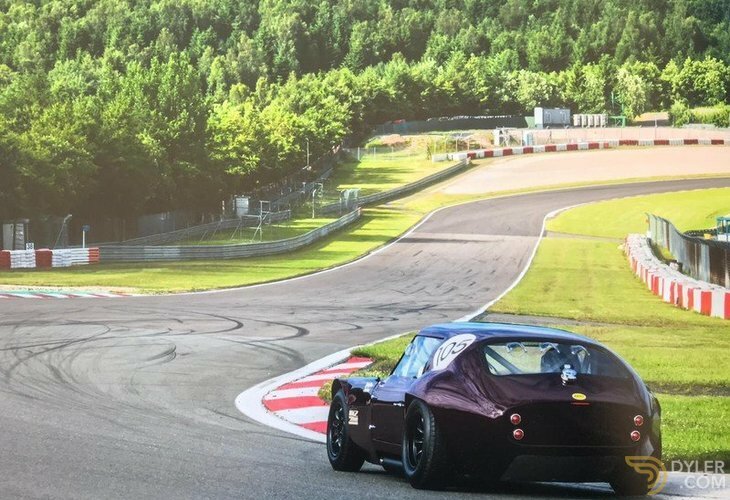 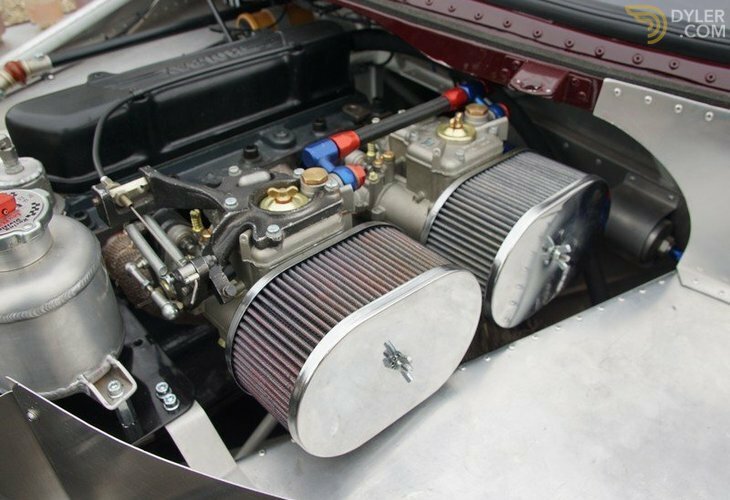 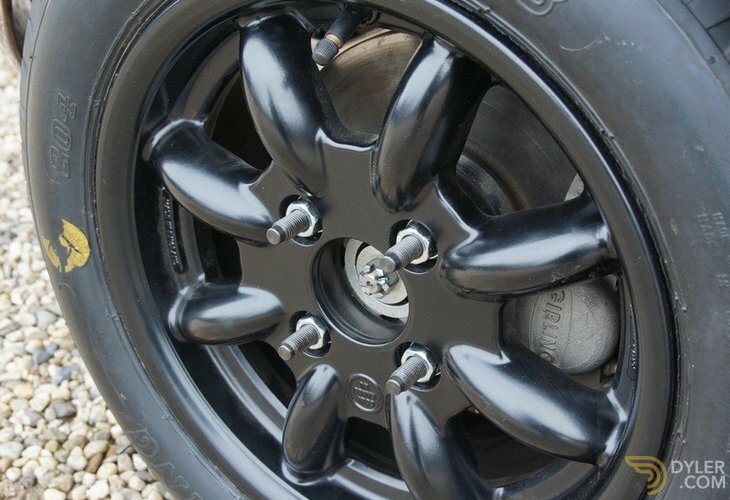 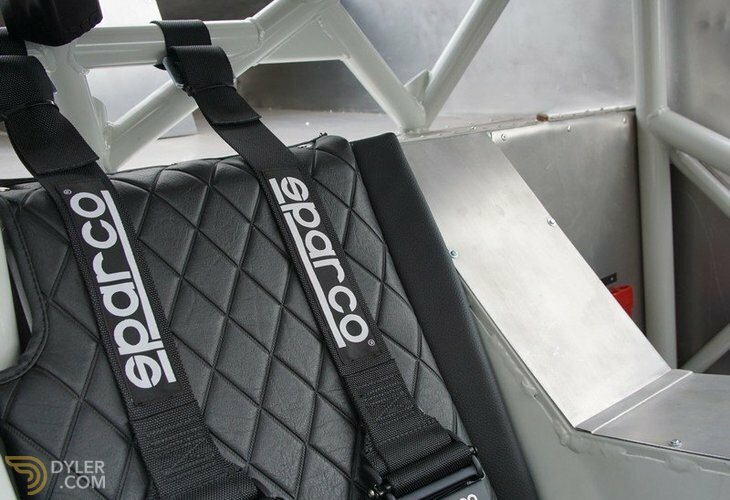 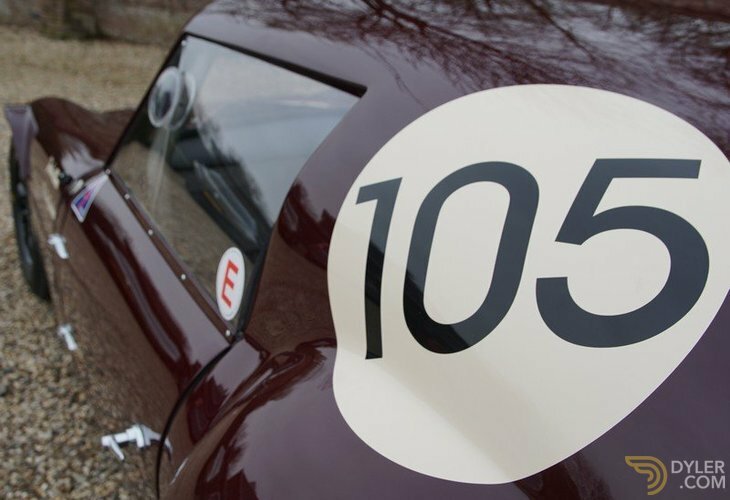 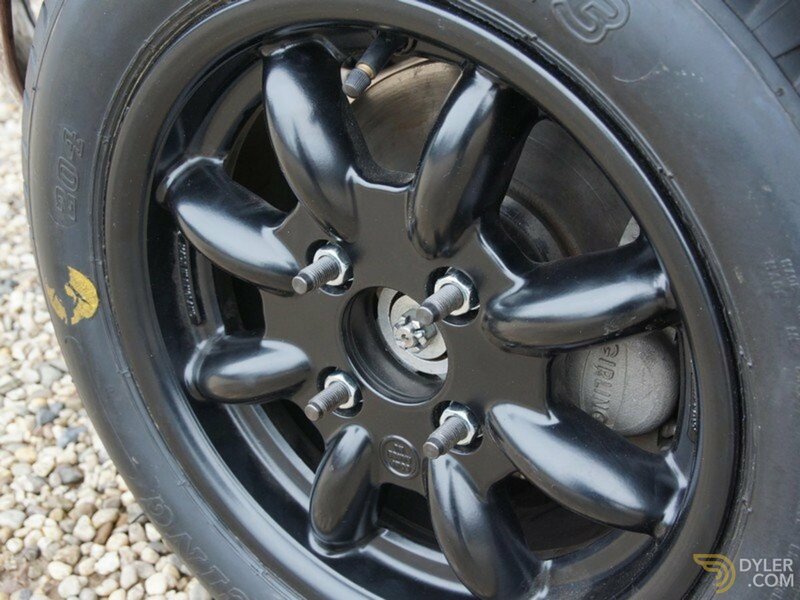 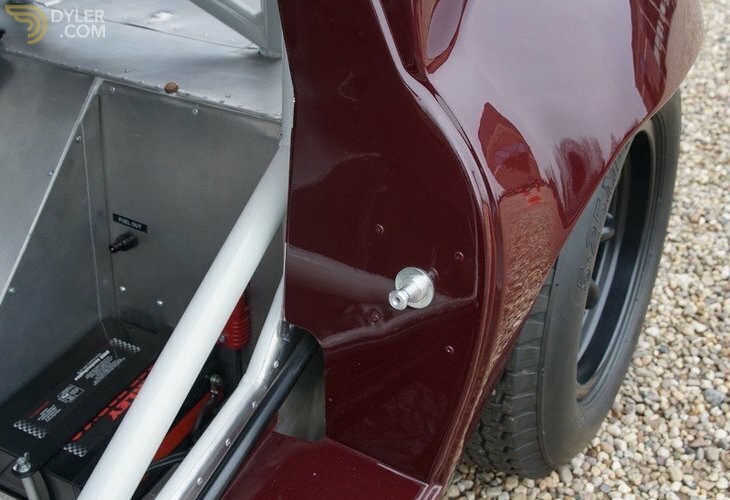 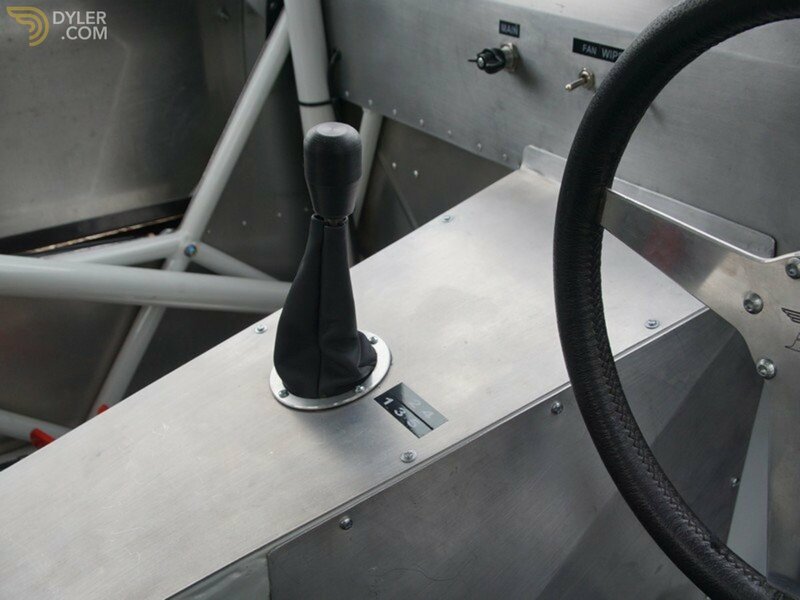 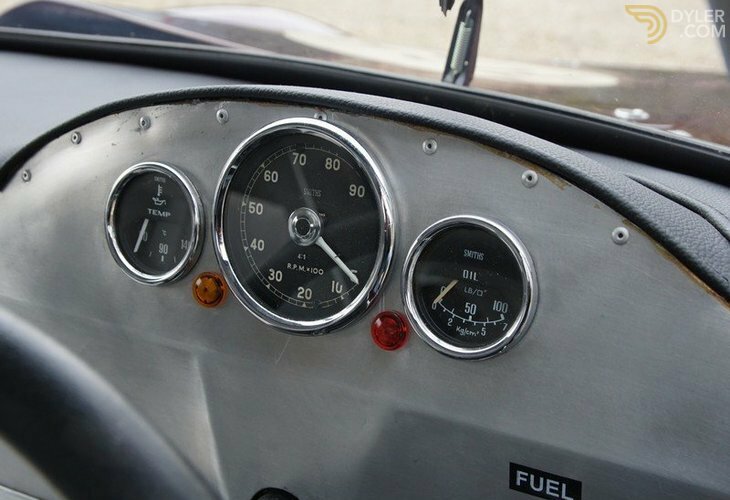 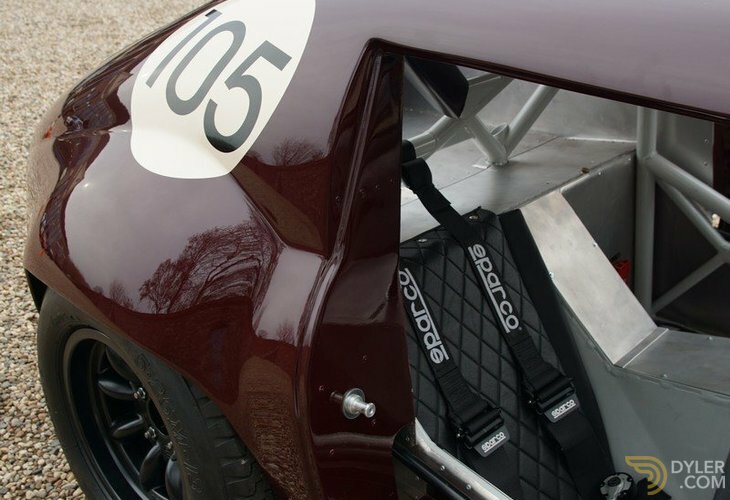 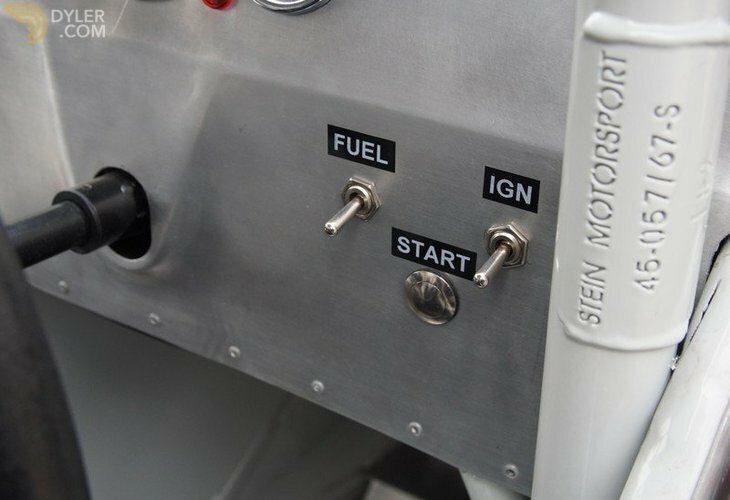 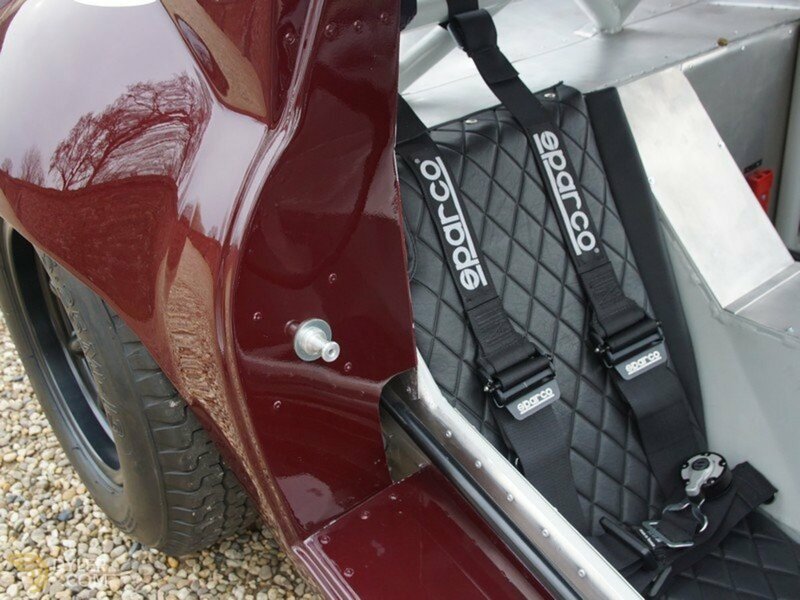 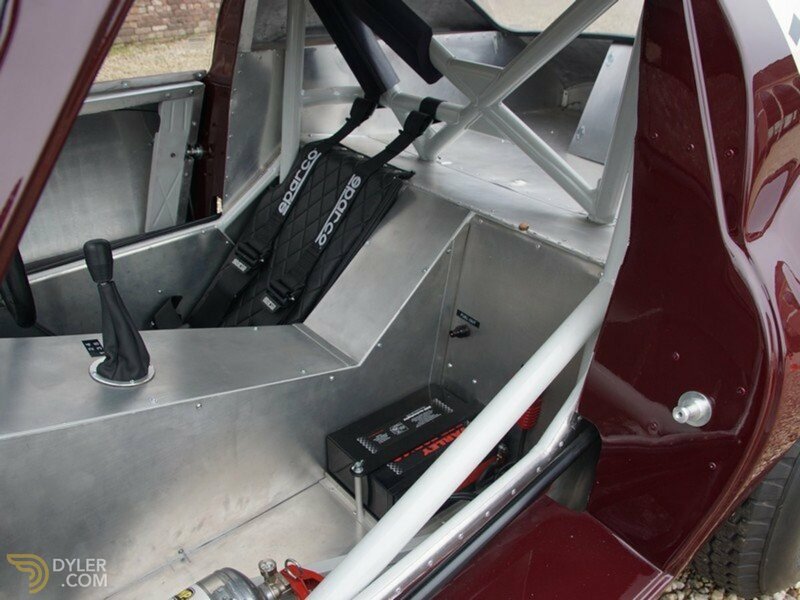 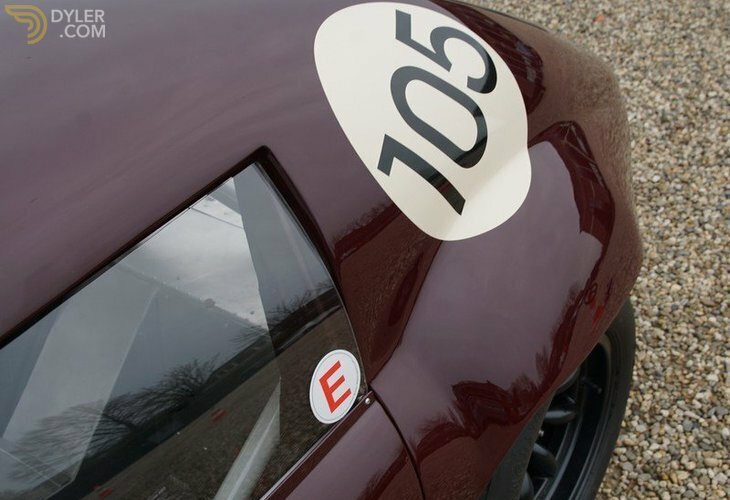 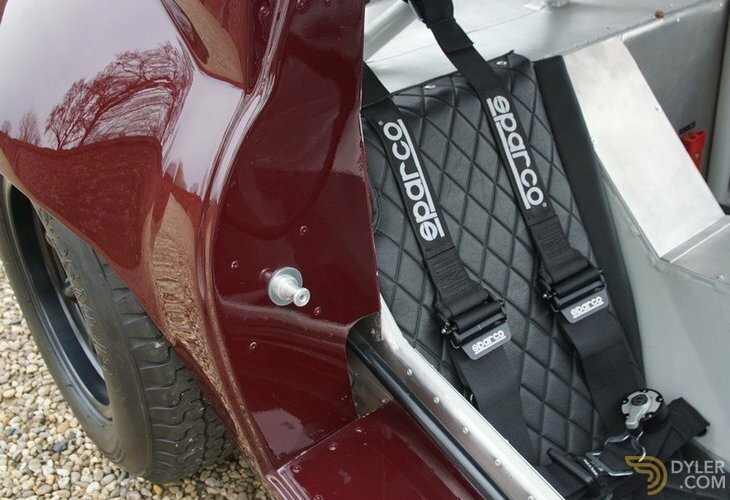 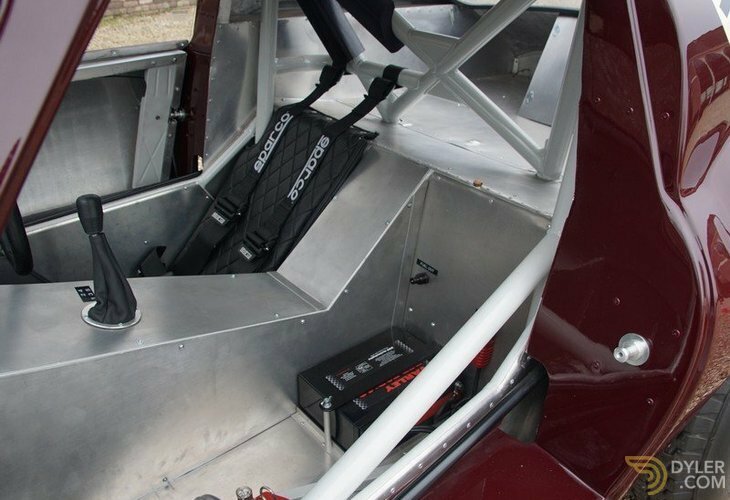 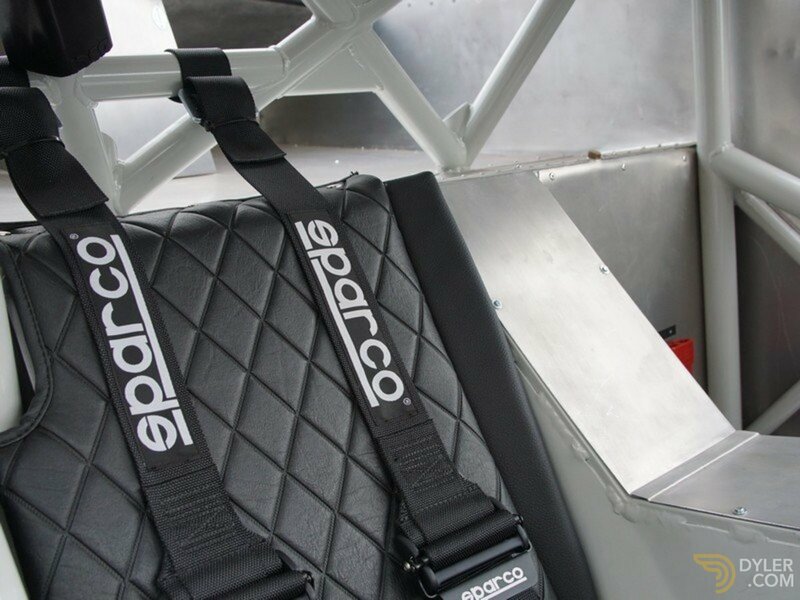 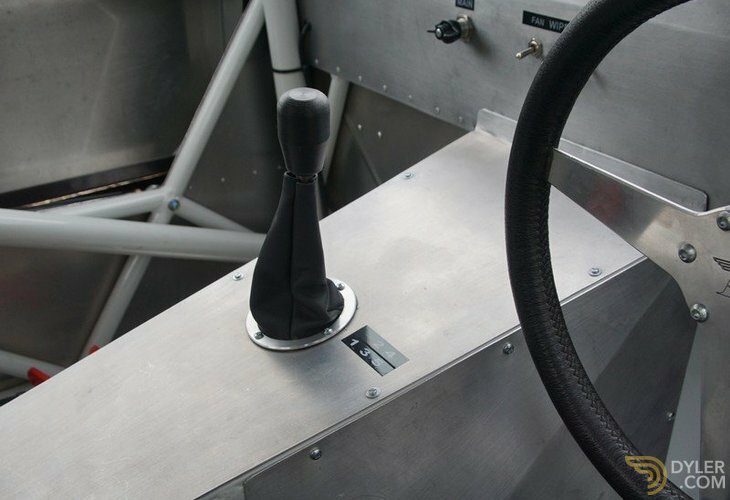 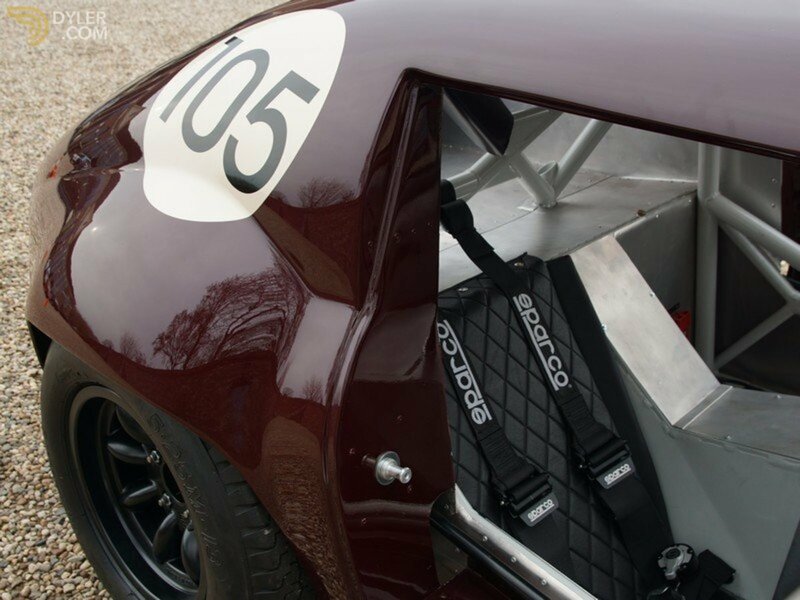 The powerful Ford engine delivers 130 Hp and in combination with a 490 kg low weight, 5-speed gearbox and disc brakes all-round explains this cars prowess at the many races it participated in. 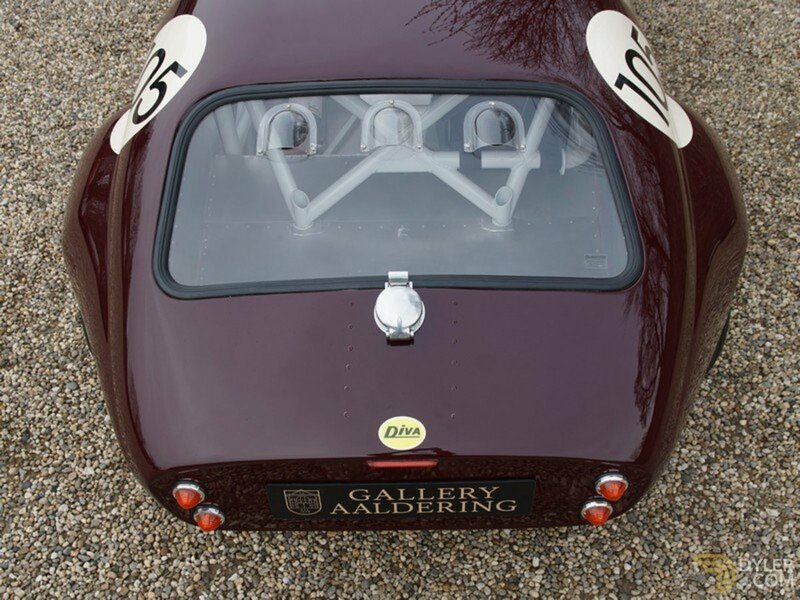 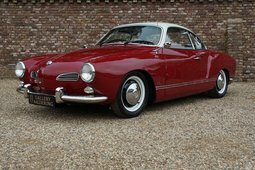 This is car number 3 of only 13 Typ C`s ever built. 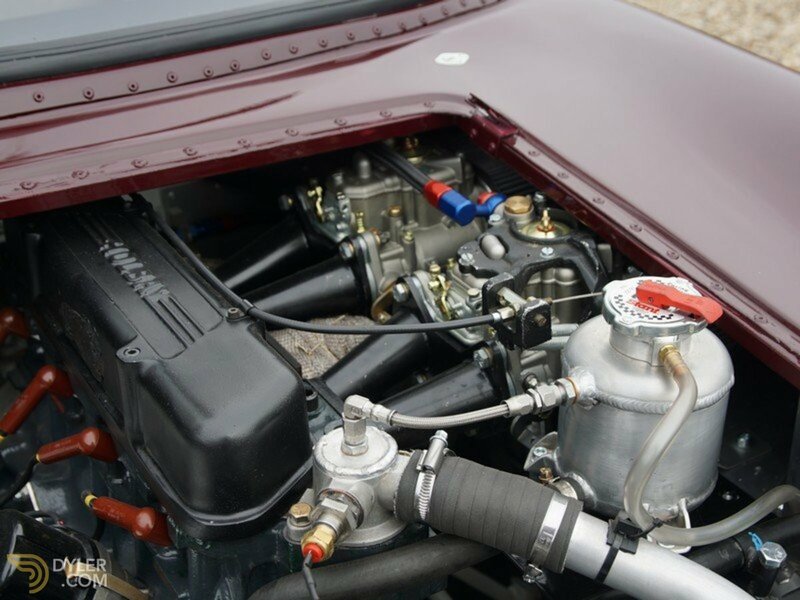 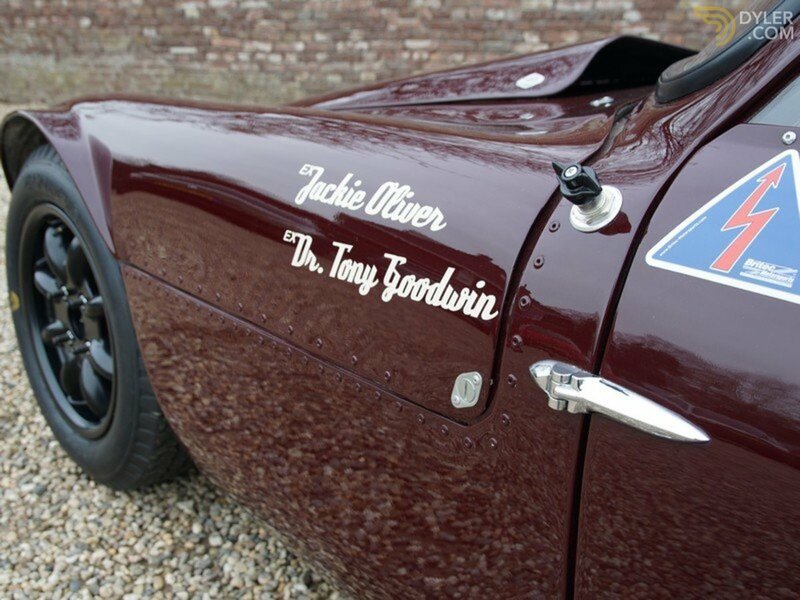 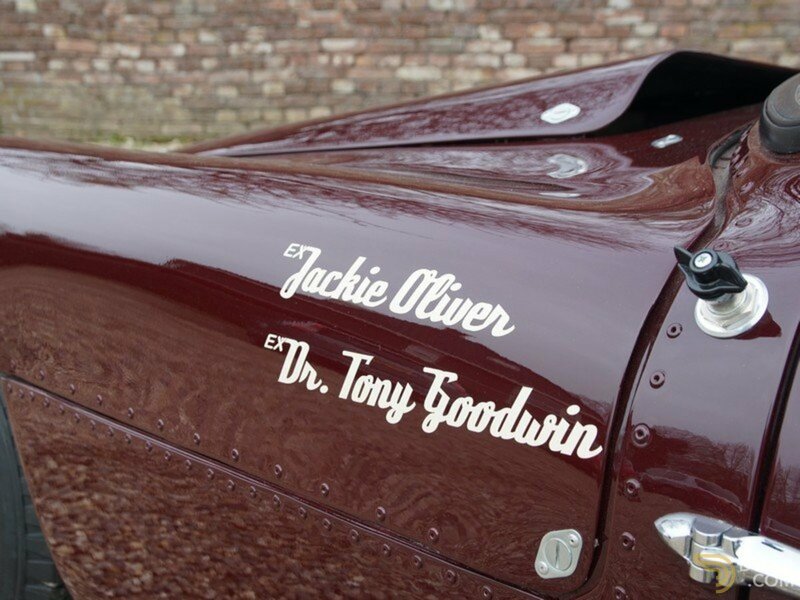 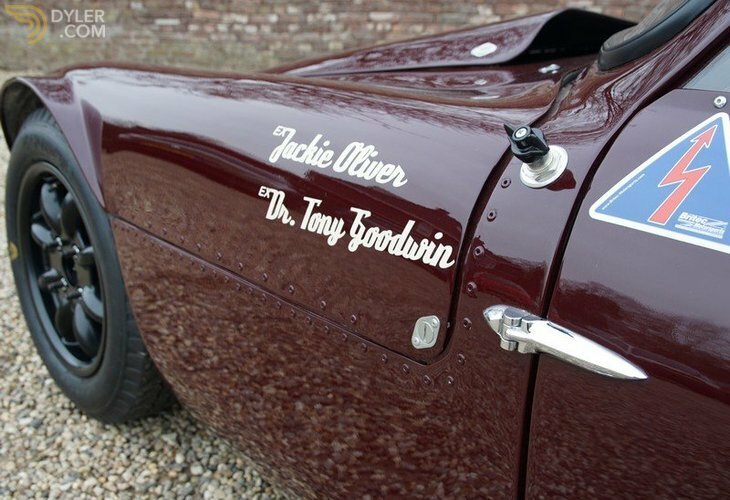 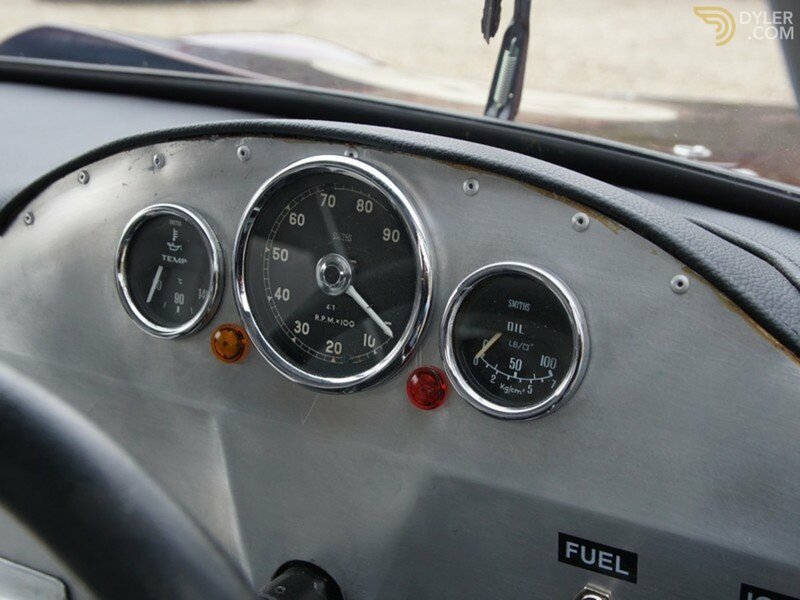 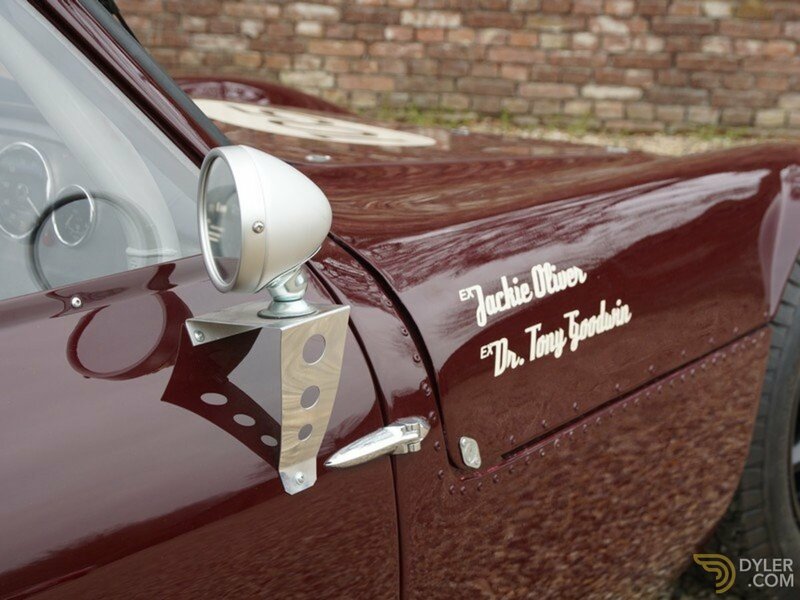 Both Jackie Oliver as well as Tunex owner, Don Sim bundled their efforts in restoring this car to its former glory. 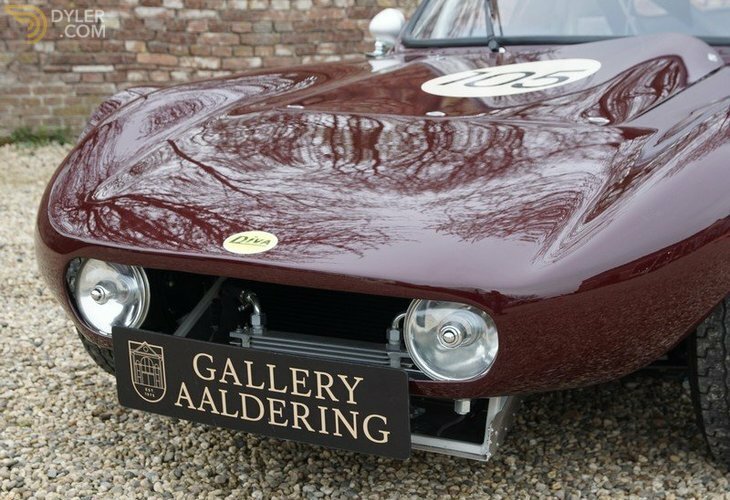 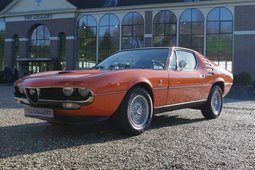 This extremely well documented and extensive restoration took place in the Netherlands. 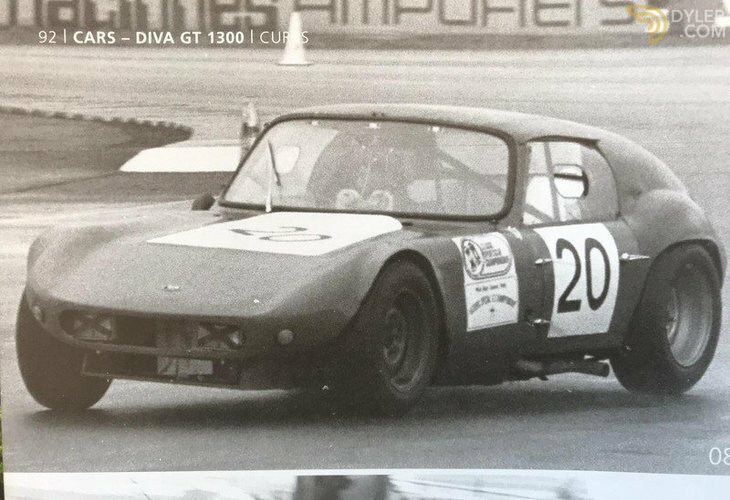 The August 2016 edition of ‘Curbbs’ featured an eight-page spread of this Diva.